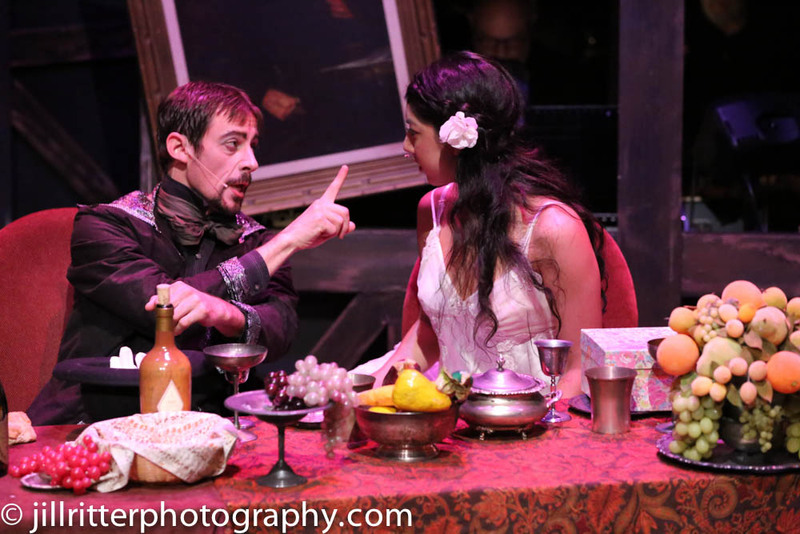 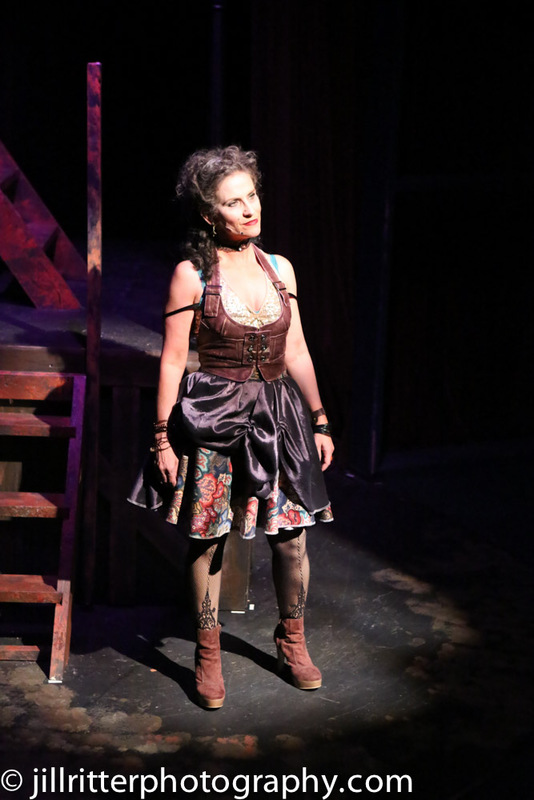 With 30 nominations across many categories, the Repertory Theatre of St. Louis brings a substantial presence into the 2016 St. Louis Theater Circle Awards. 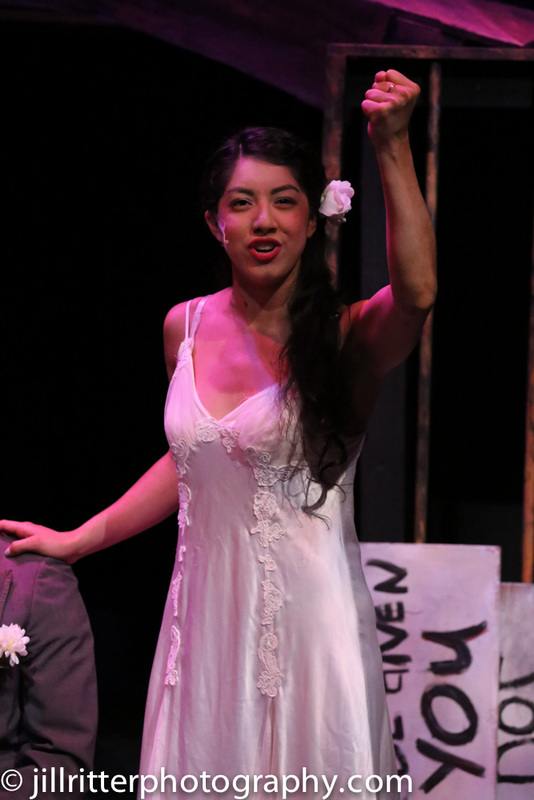 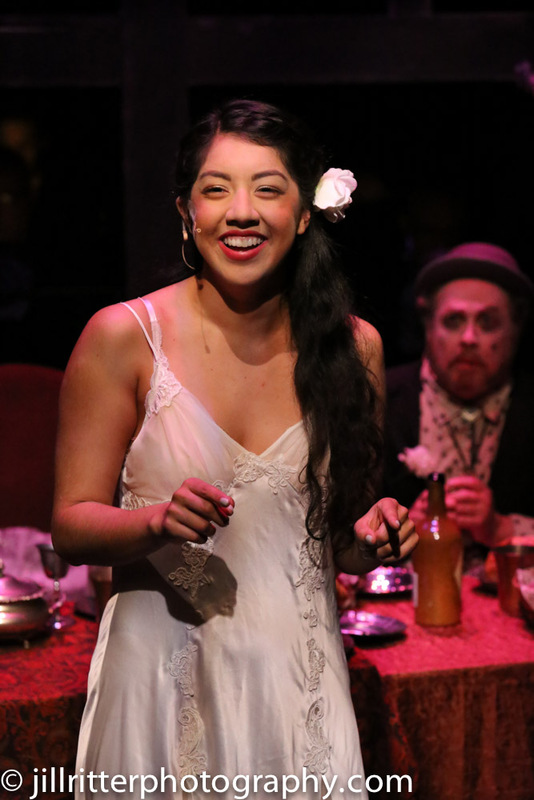 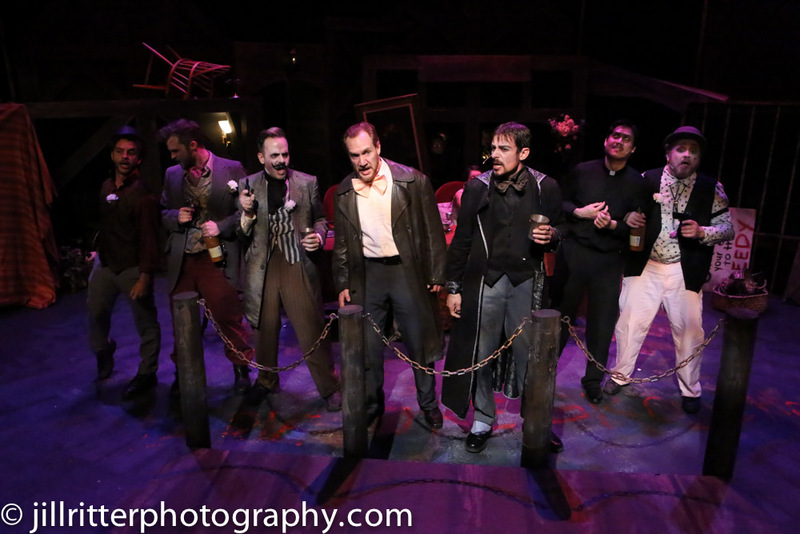 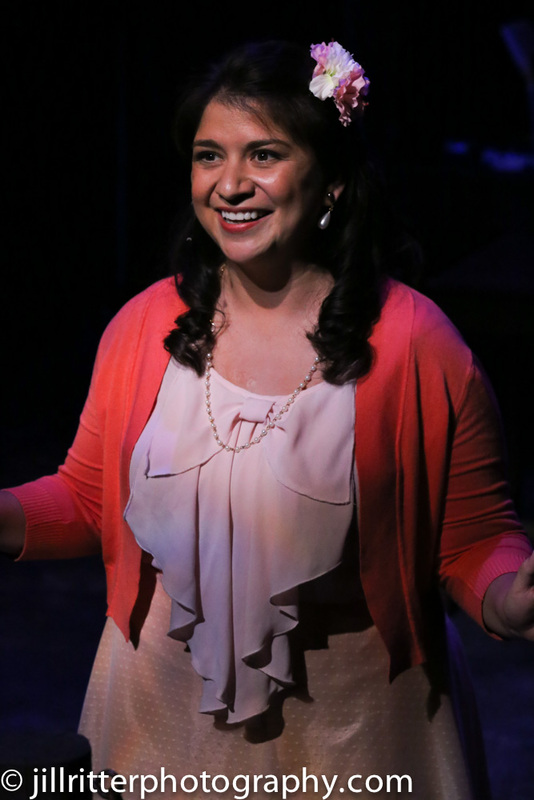 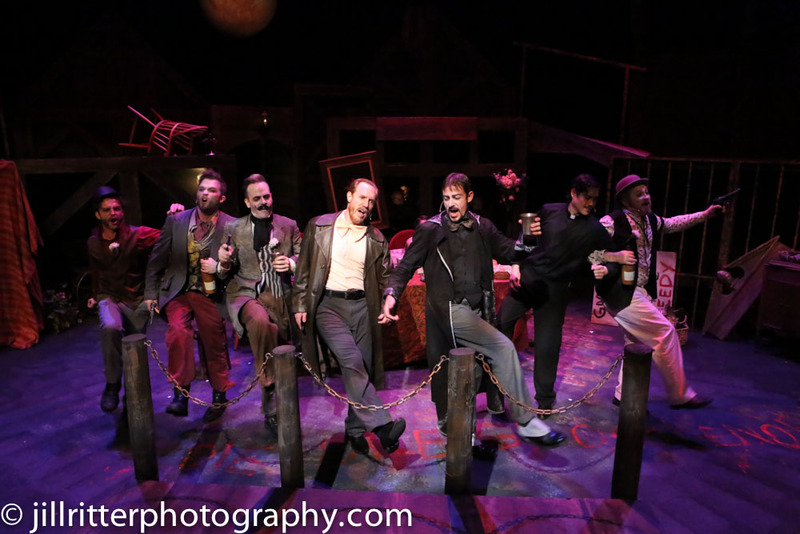 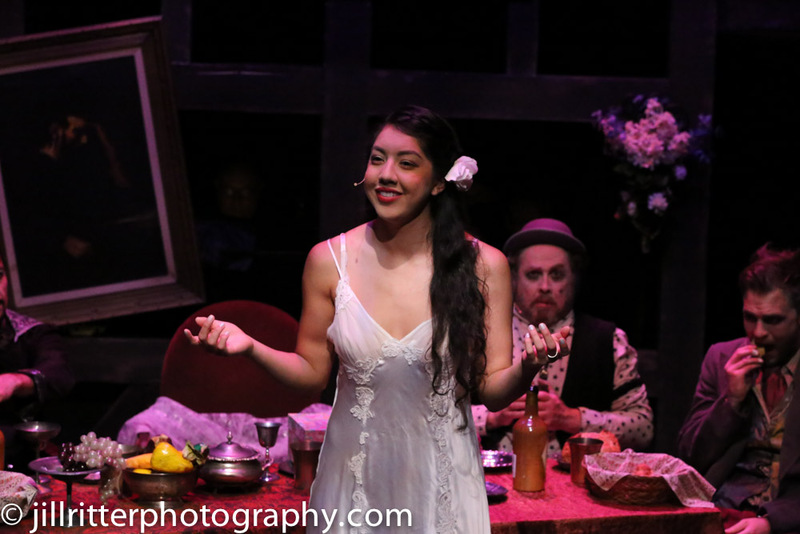 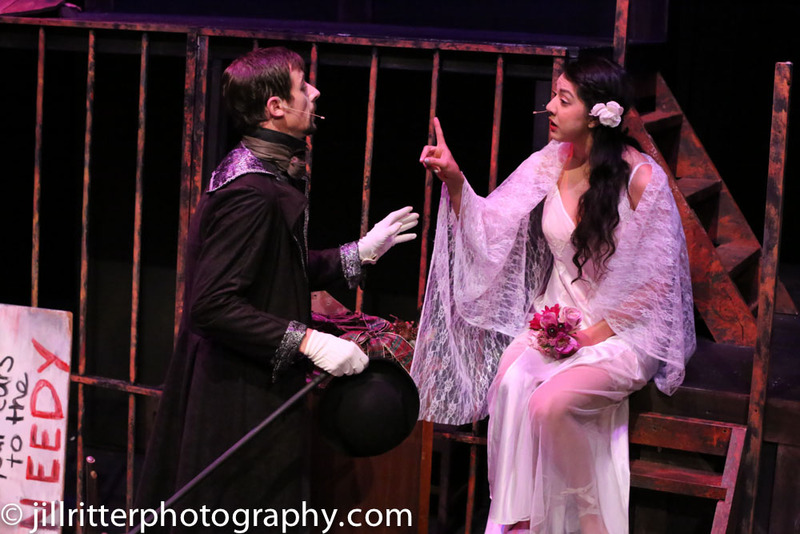 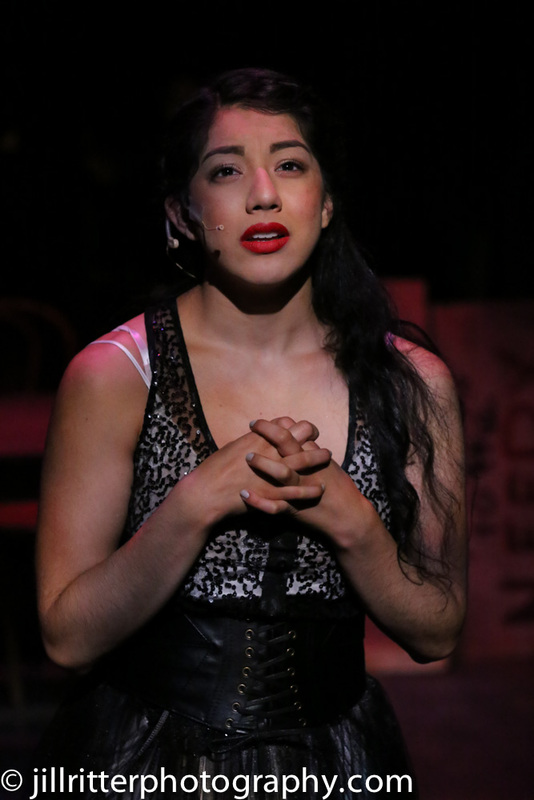 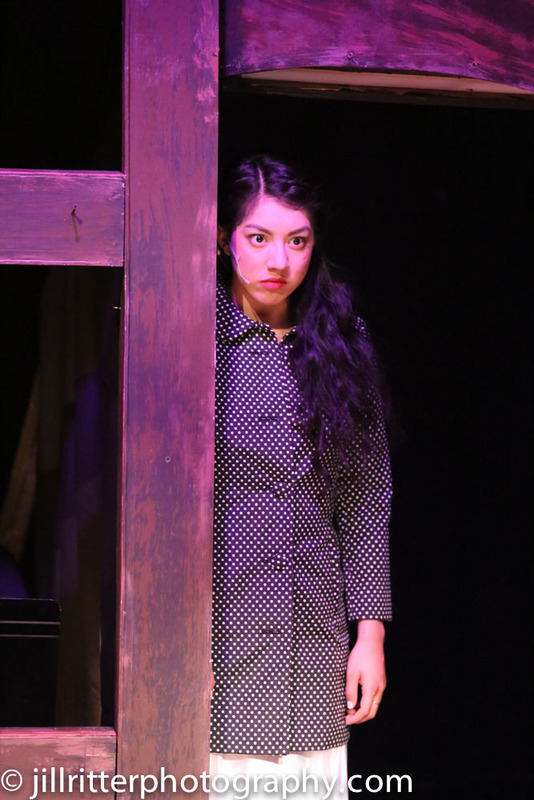 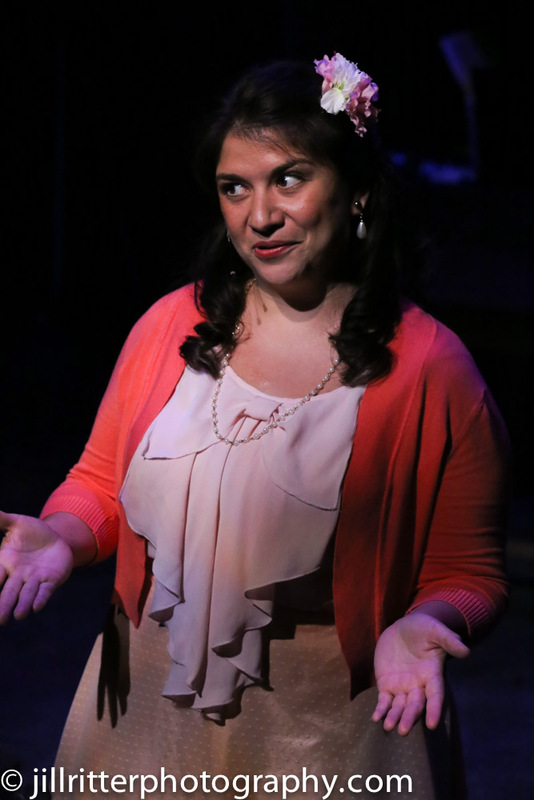 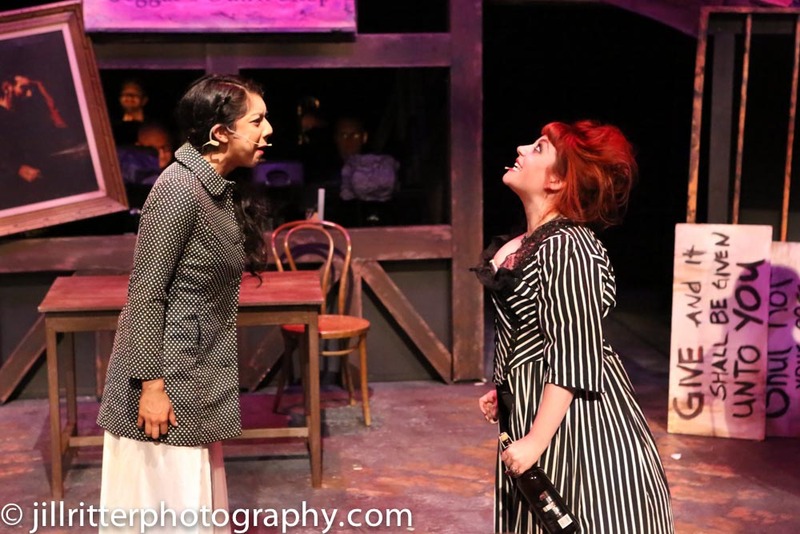 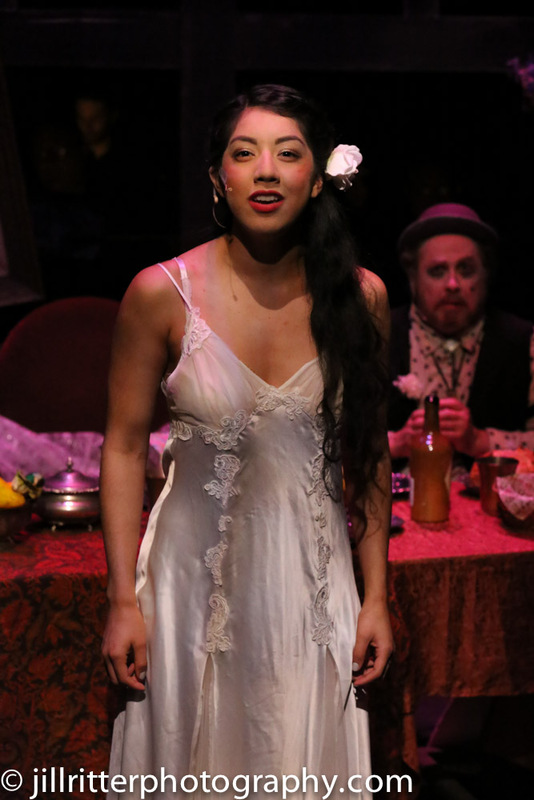 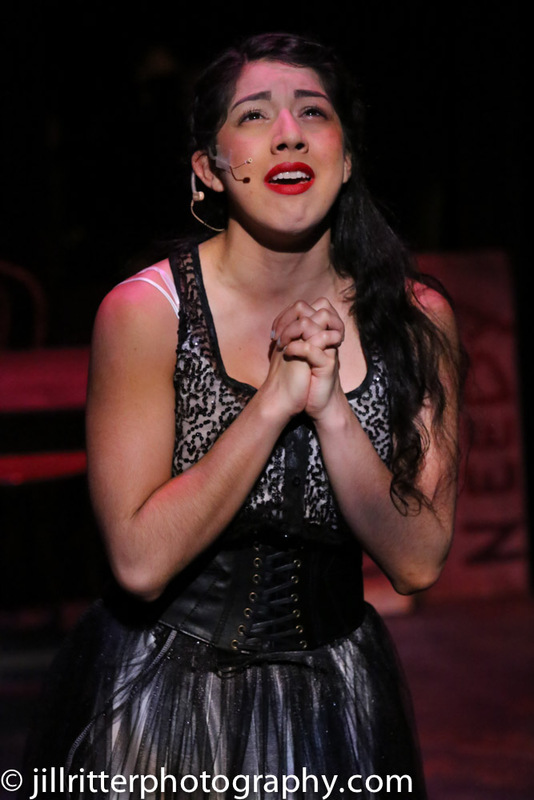 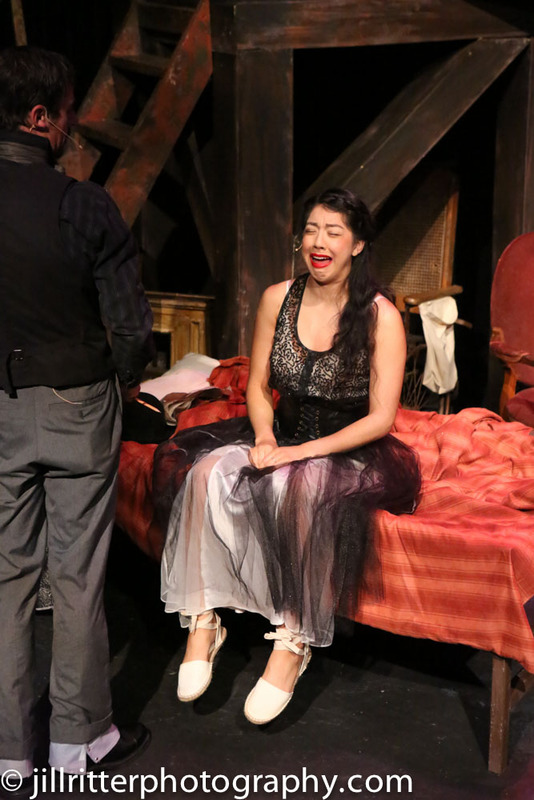 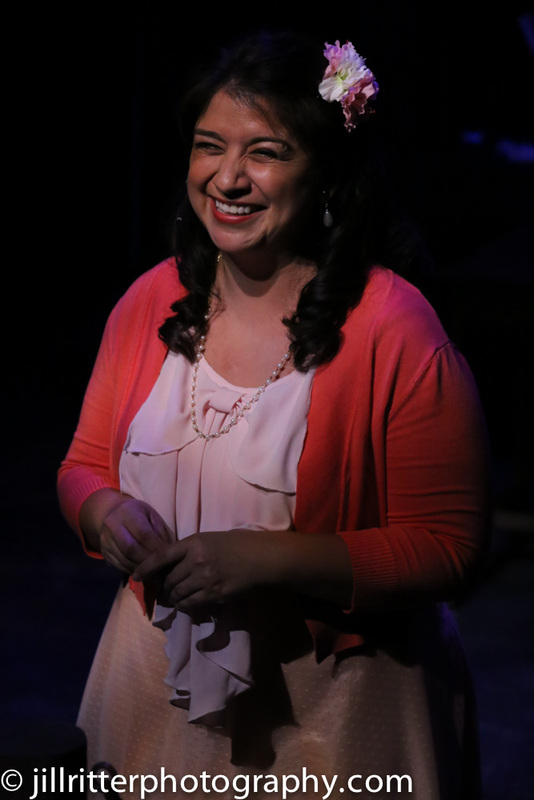 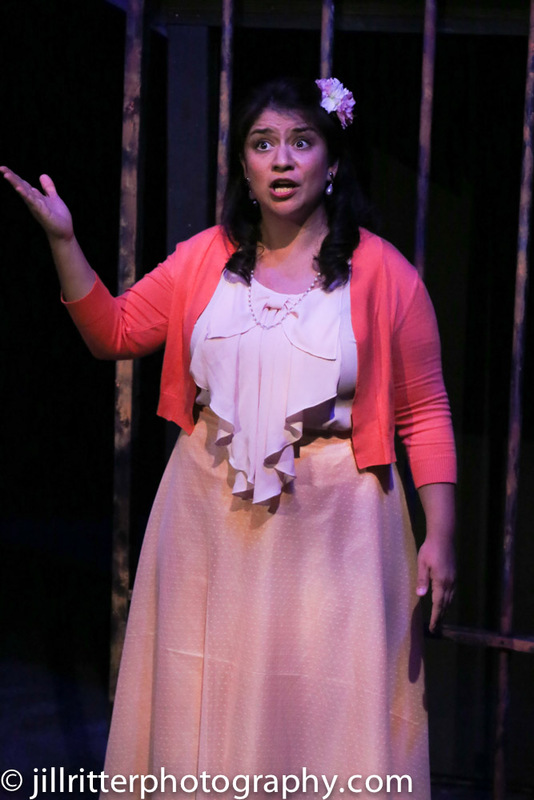 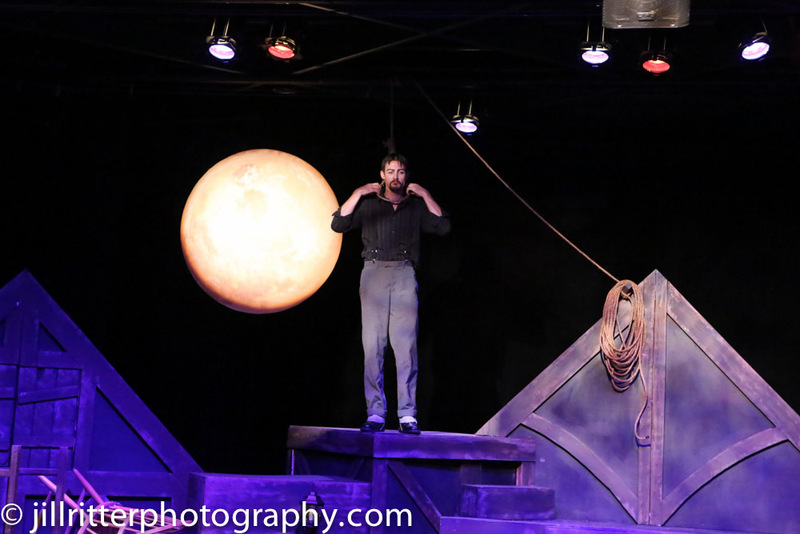 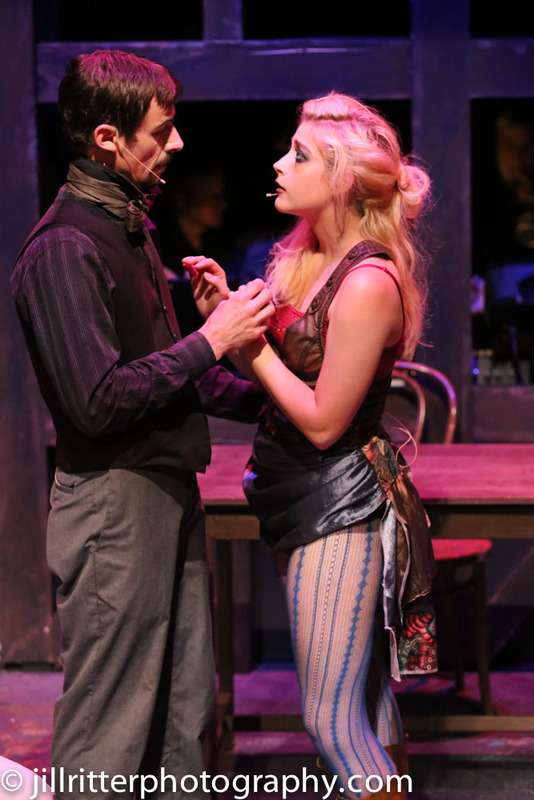 The Rep received the most nominations, followed by the Muny with 15 and Stray Dog Theatre with 14. 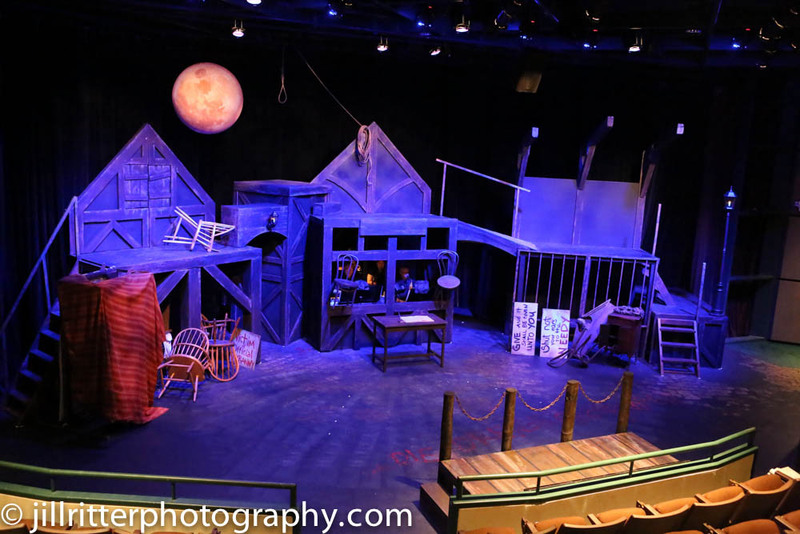 In all, 21 theater companies received nominations for 50 different shows that played here in 2015. 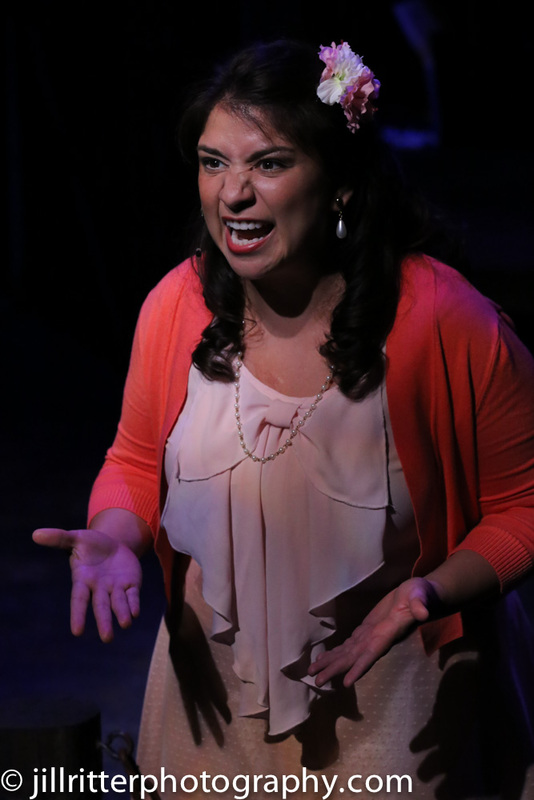 In many categories, the nominations go to individual artists. 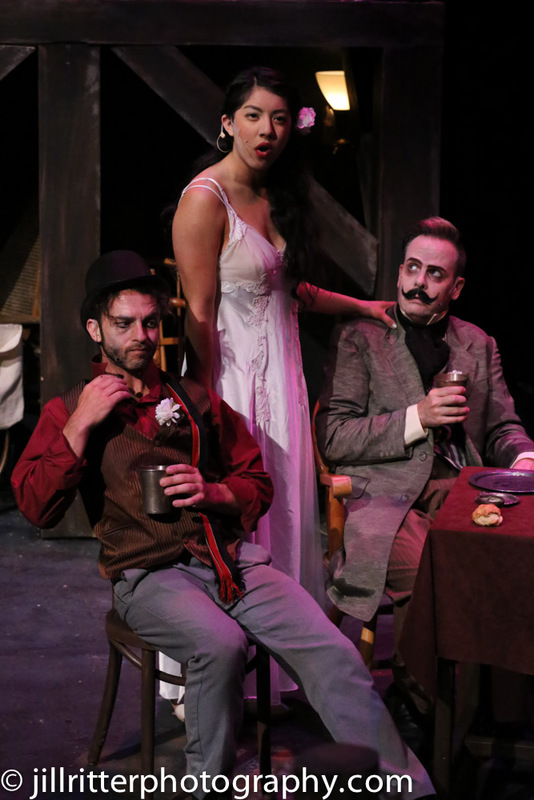 This year, two of them received three nominations each. 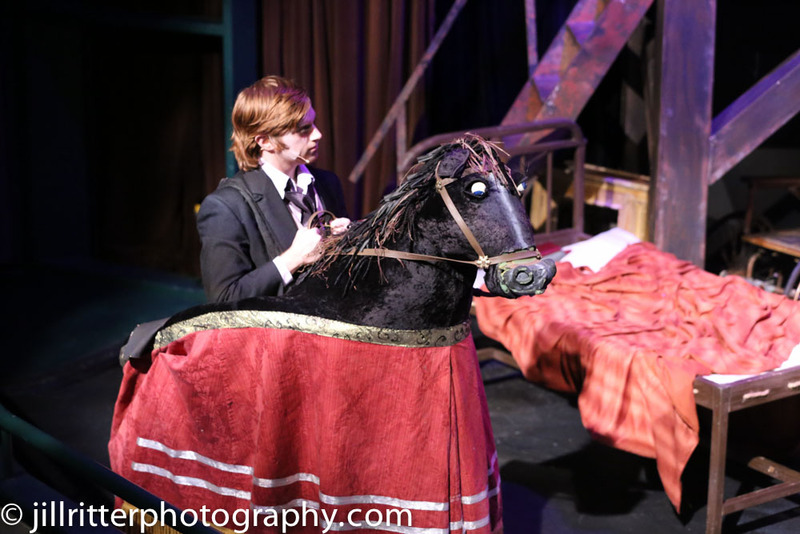 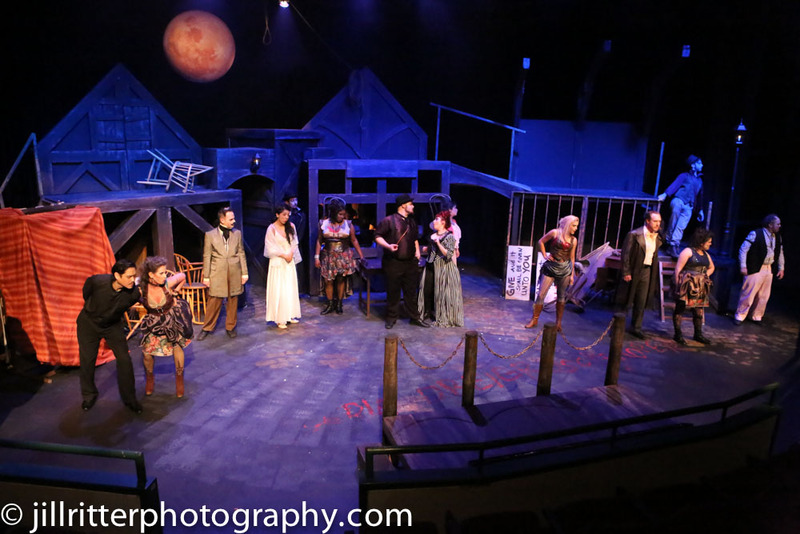 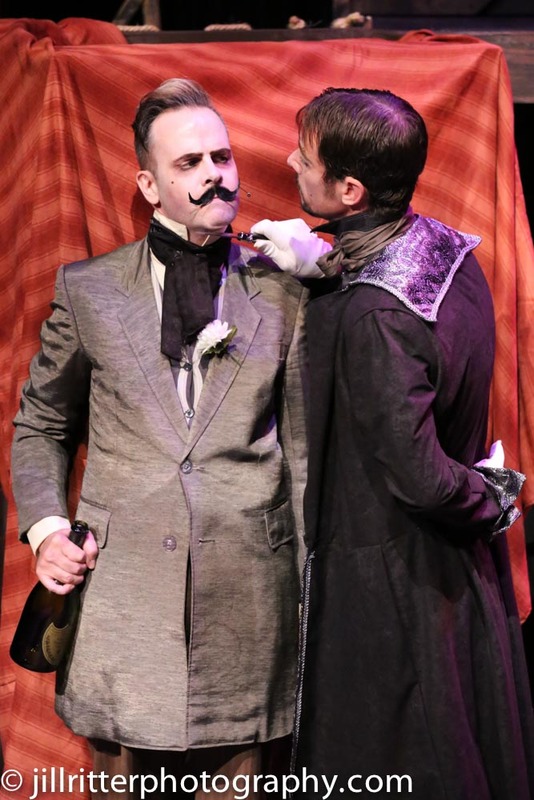 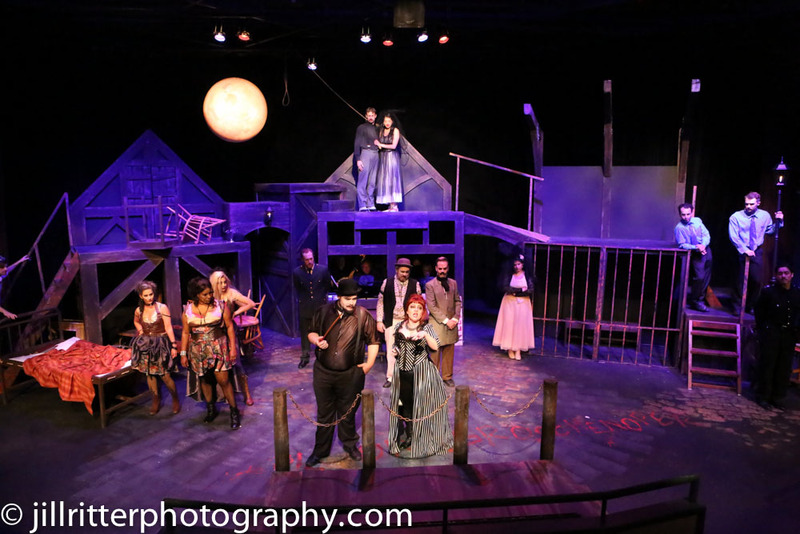 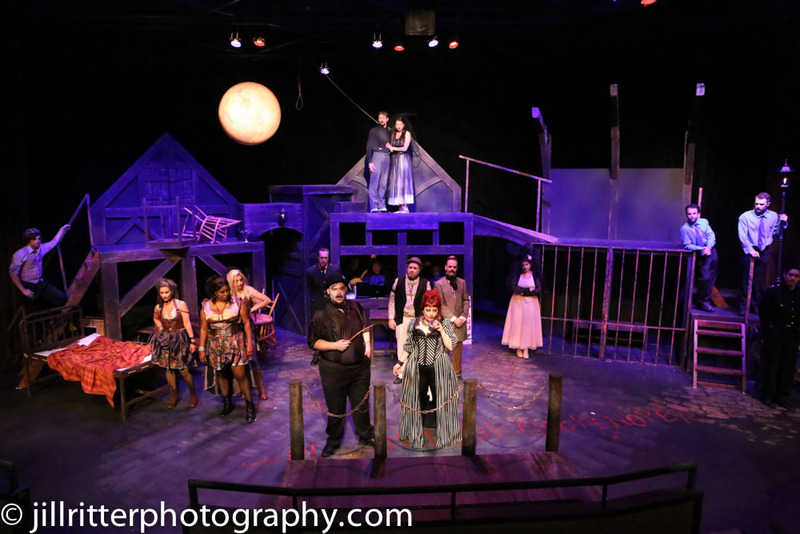 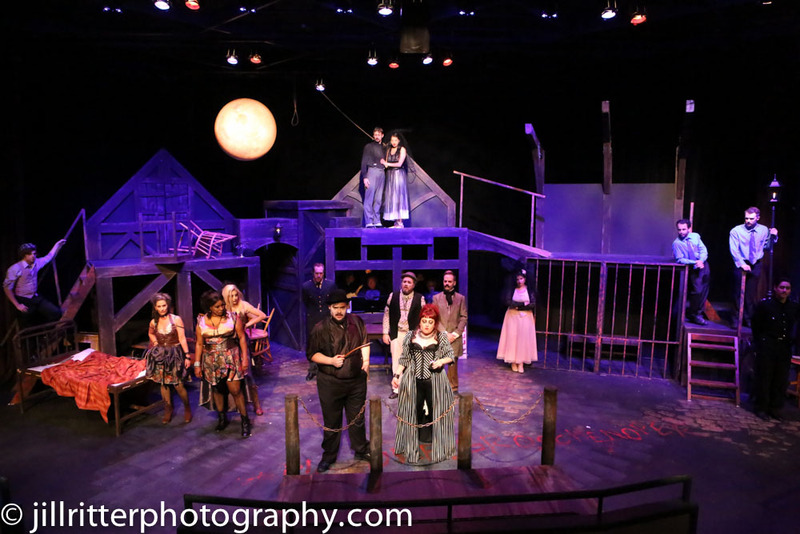 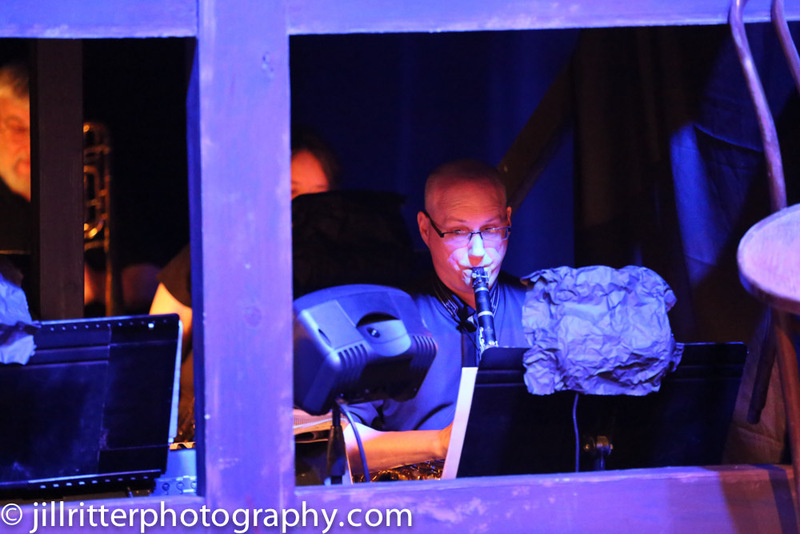 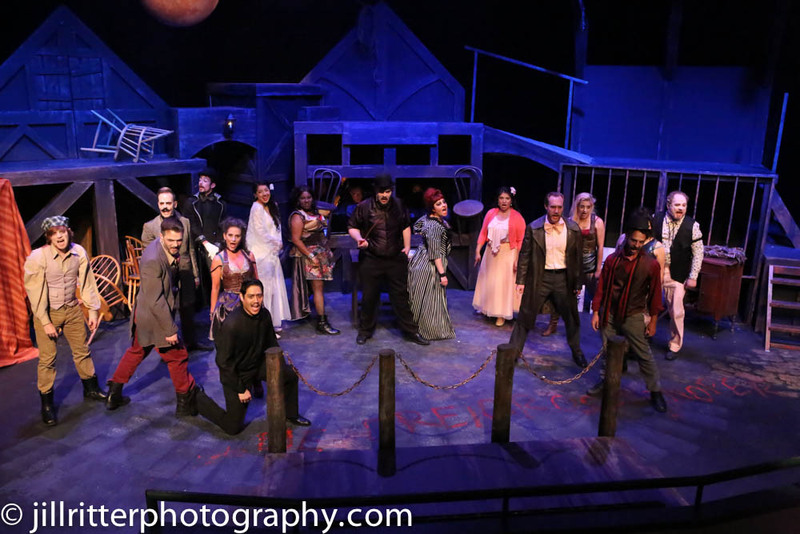 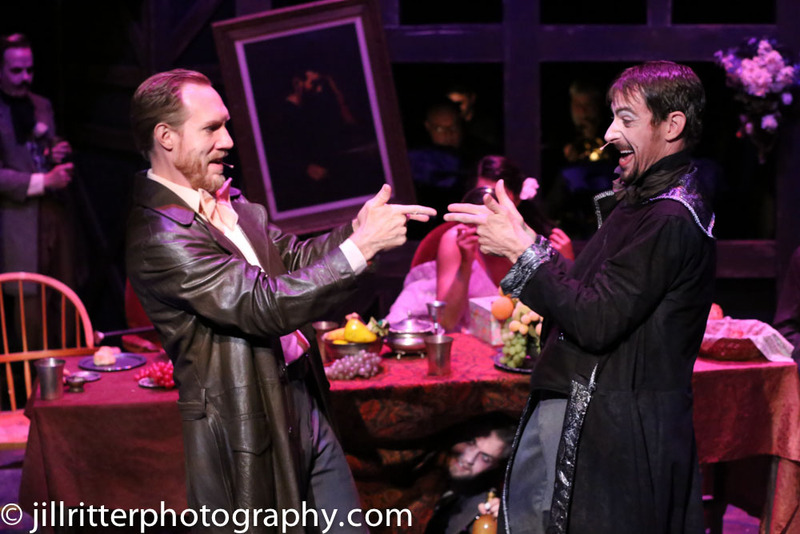 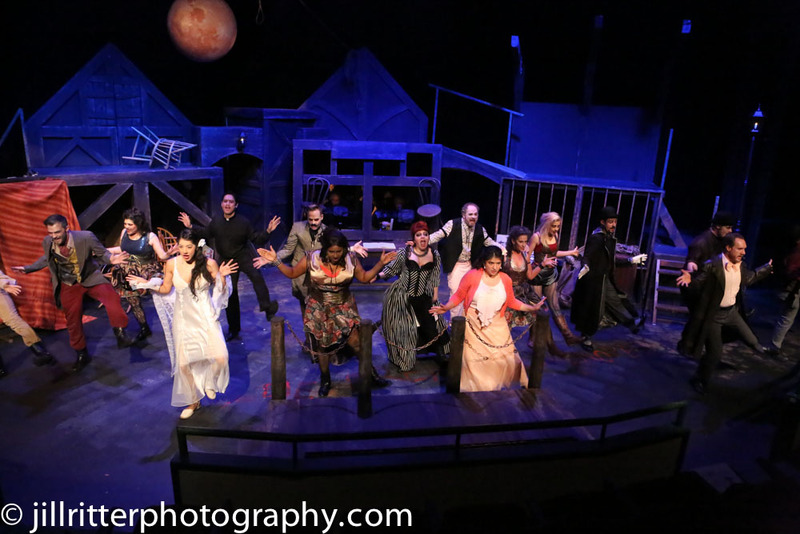 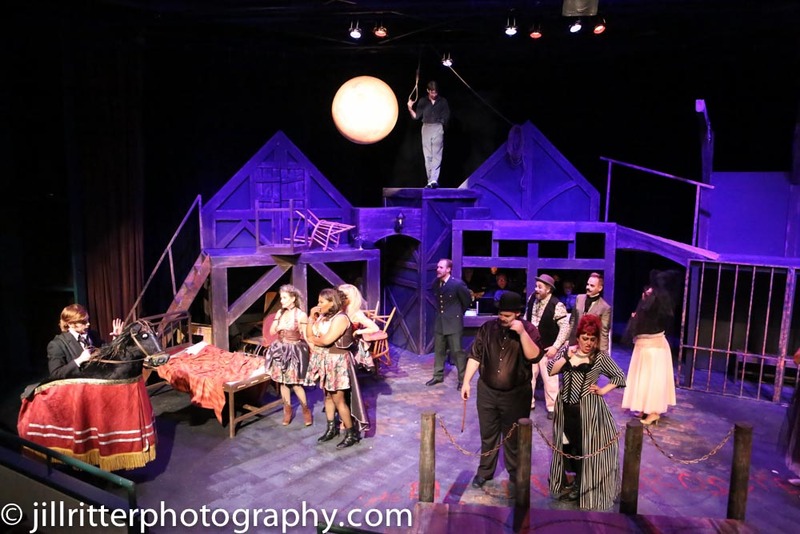 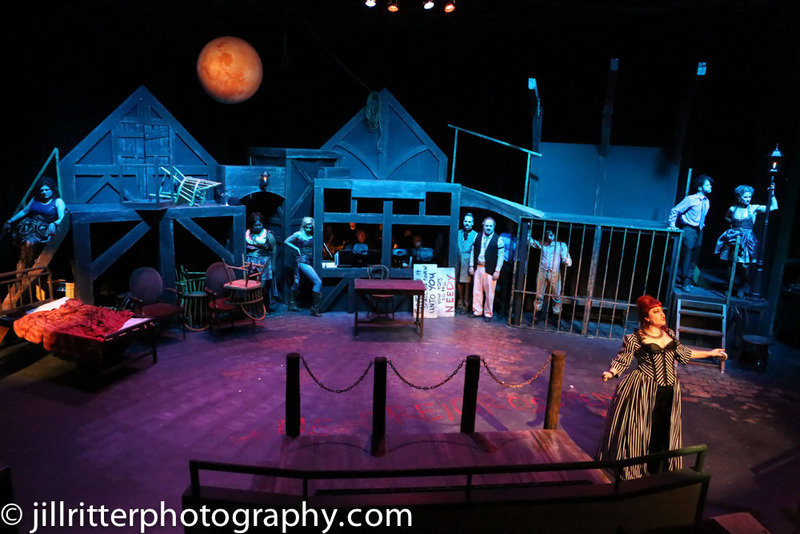 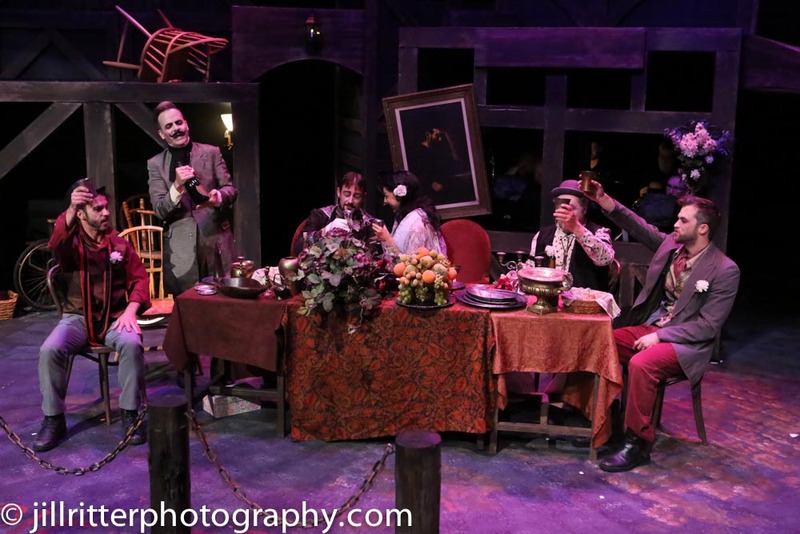 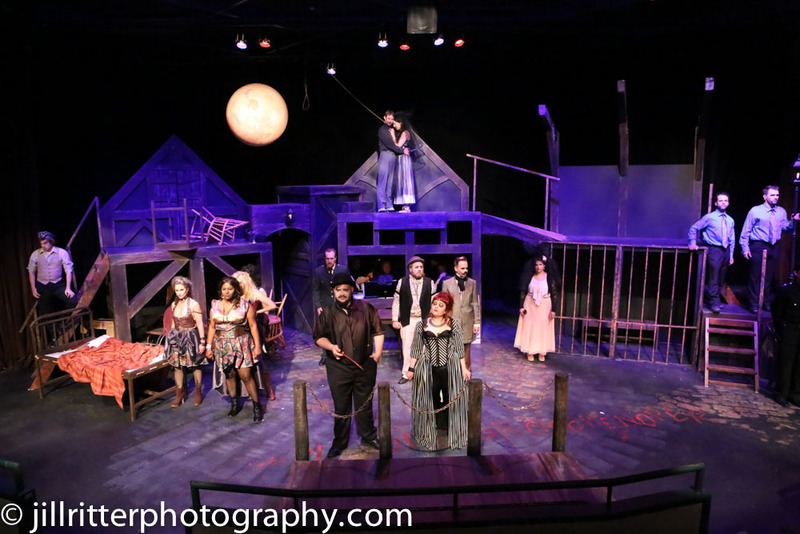 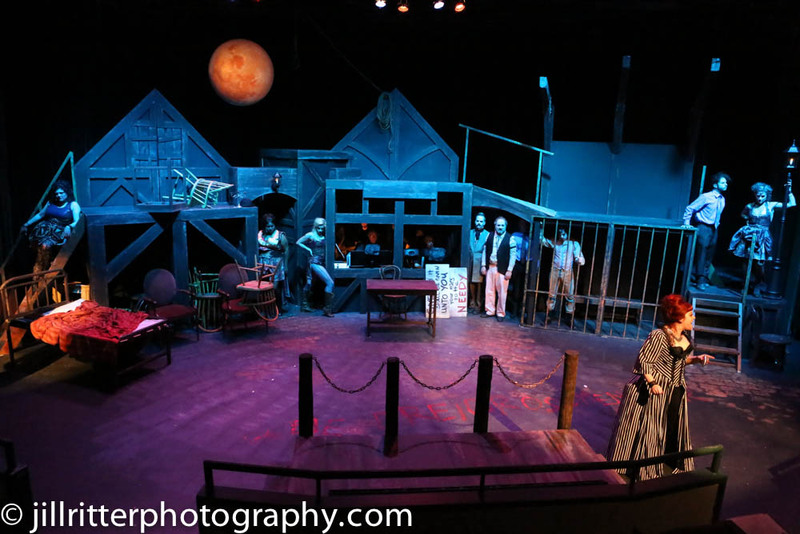 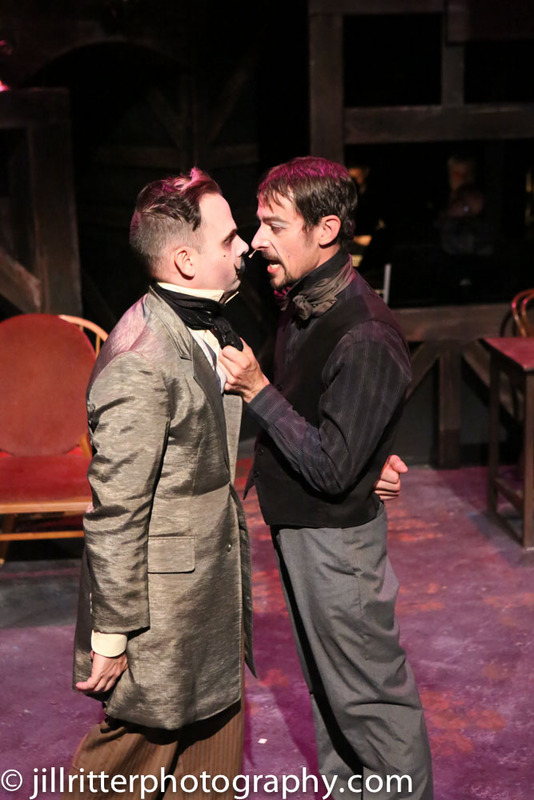 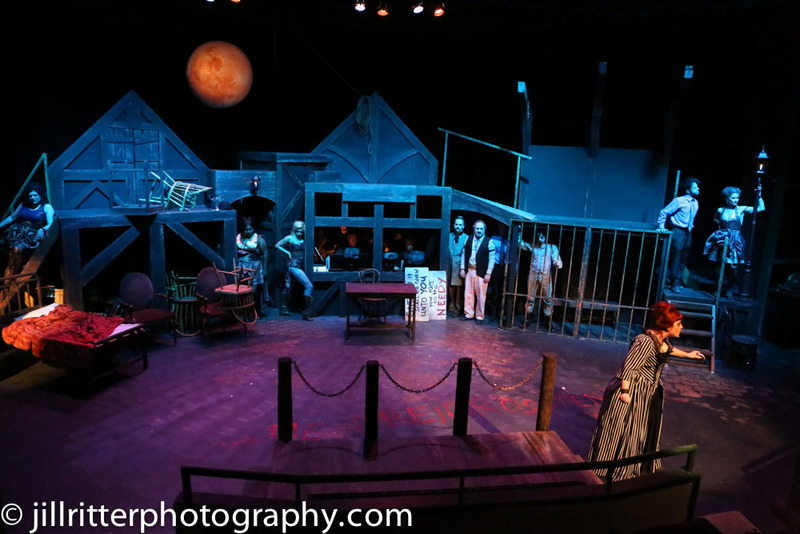 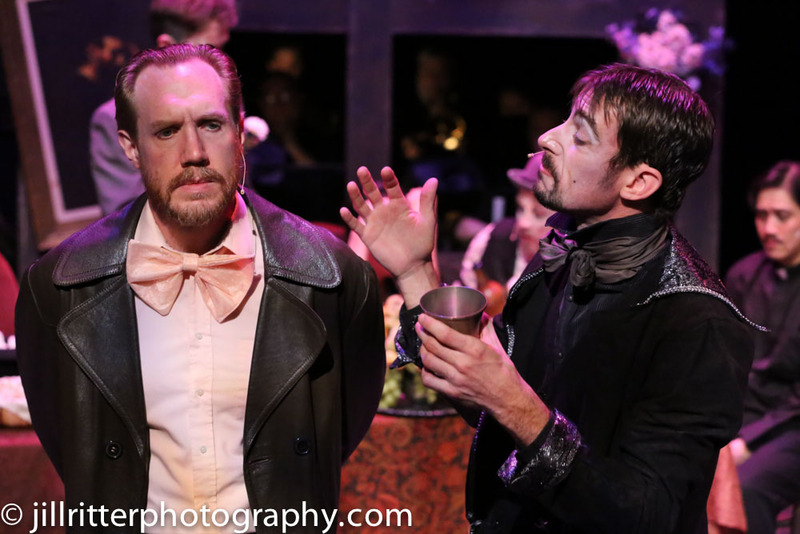 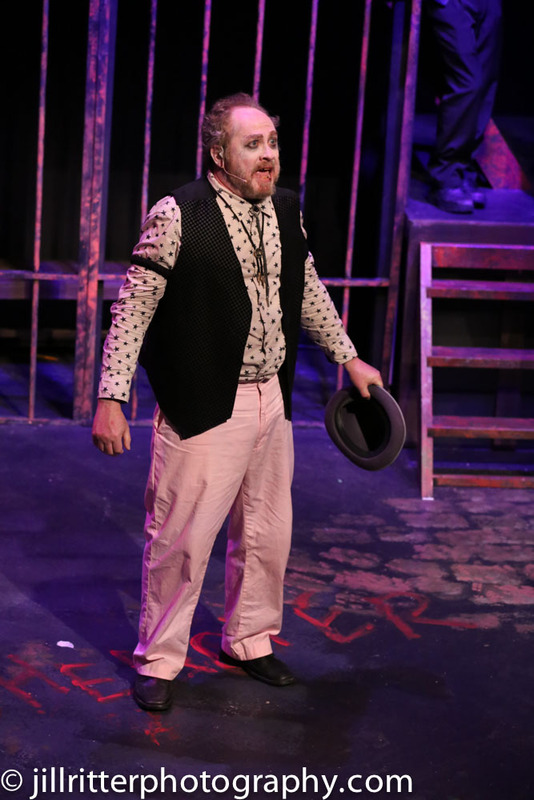 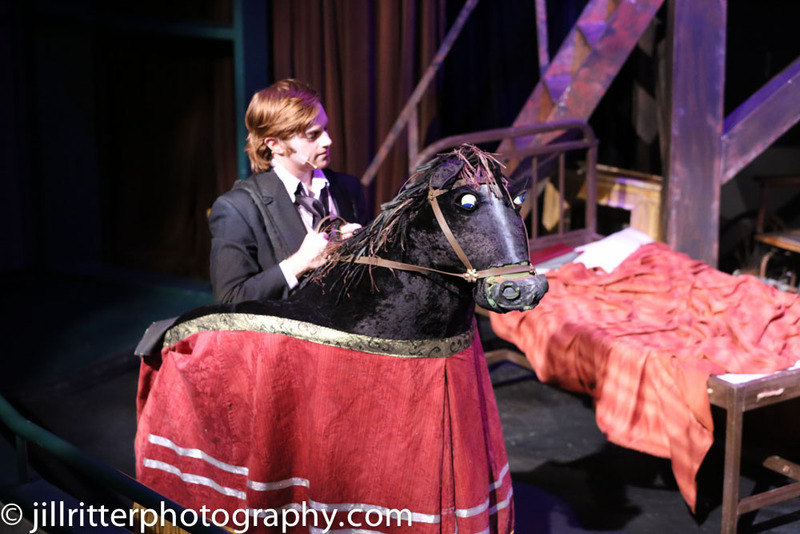 Rob Lippert is nominated for outstanding set design in a musical for “Dogfight” and “The Mystery of Edwin Drood” at Stray Dog Theatre and for “Heathers” at New Line Theatre. 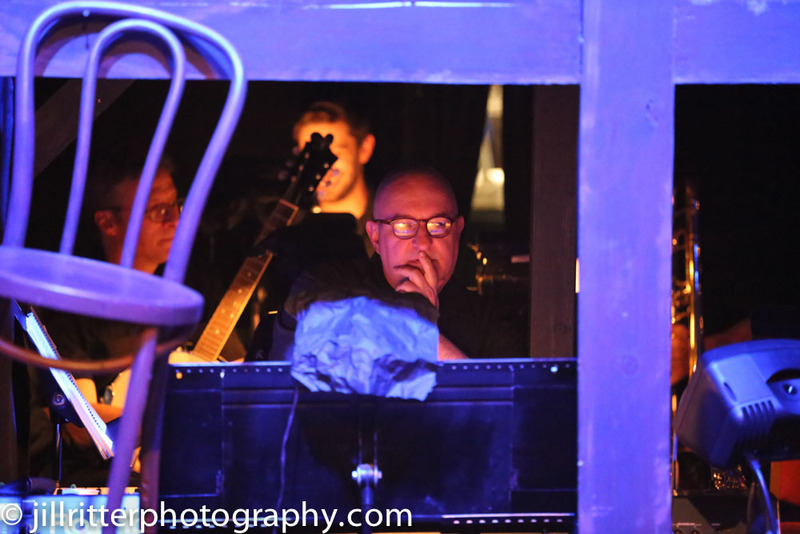 Rusty Wandall is nominated for outstanding sound design in a play for “Angel Street” and “I and You” at the Rep and for “Antony and Cleopatra” at Shakespeare Festival St. Louis. 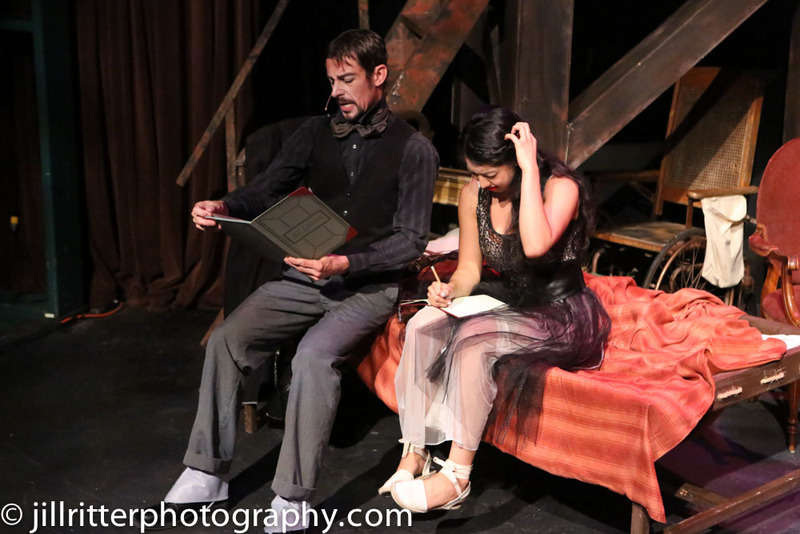 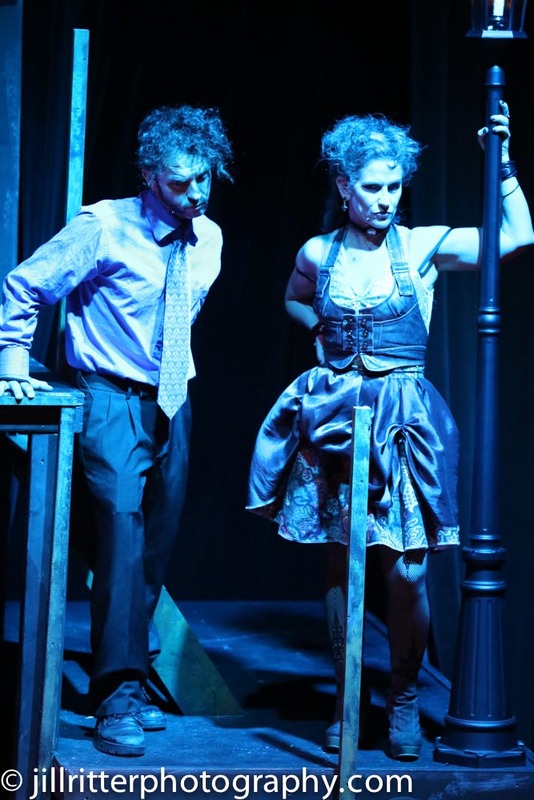 In a curious twist, married actors Kari Ely and Peter Mayer are nominated for parallel awards in a pair of dark comedies that played at the St. Louis Actors’ Studio. 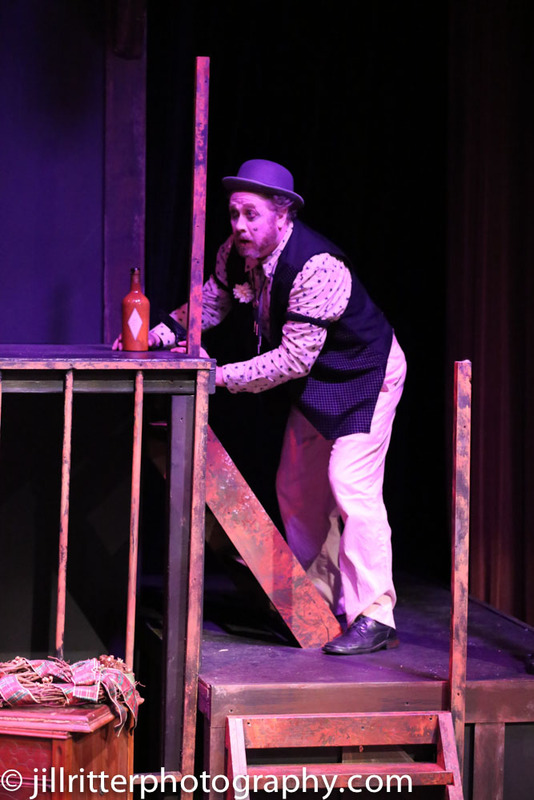 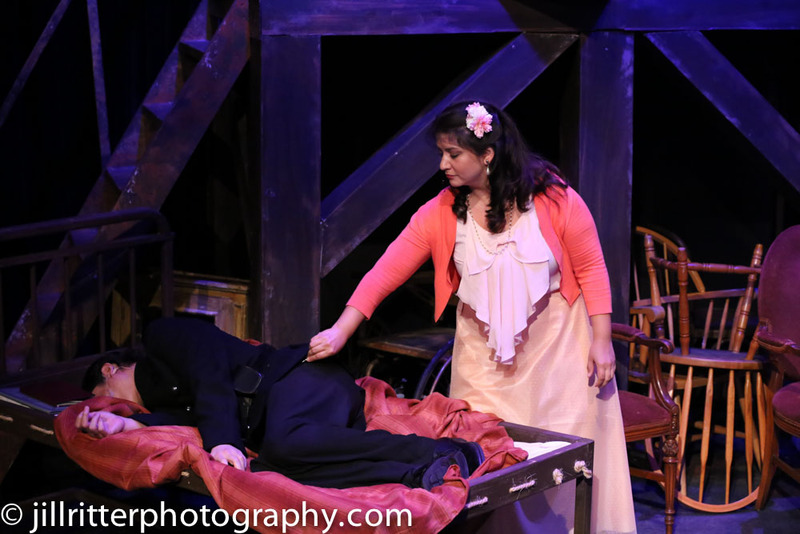 Ely, who played Martha in “Who’s Afraid of Virginia Woolf?,” is nominated for outstanding actress in a comedy, and Mayer, who played a grouchy resident of an assisted-living center in “The Gin Game,” is nominated for outstanding actor in a comedy. 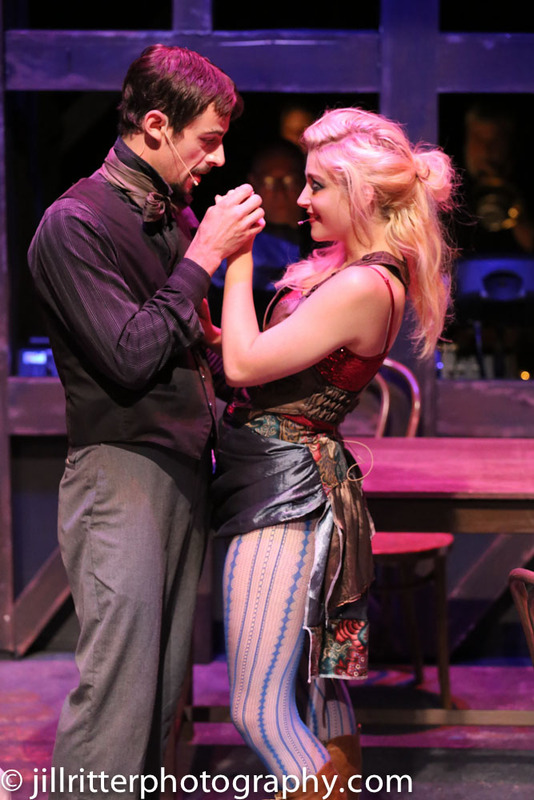 To make things more complicated, the couple’s onstage partners, William Roth and Linda Kennedy, are nominated in the same categories. 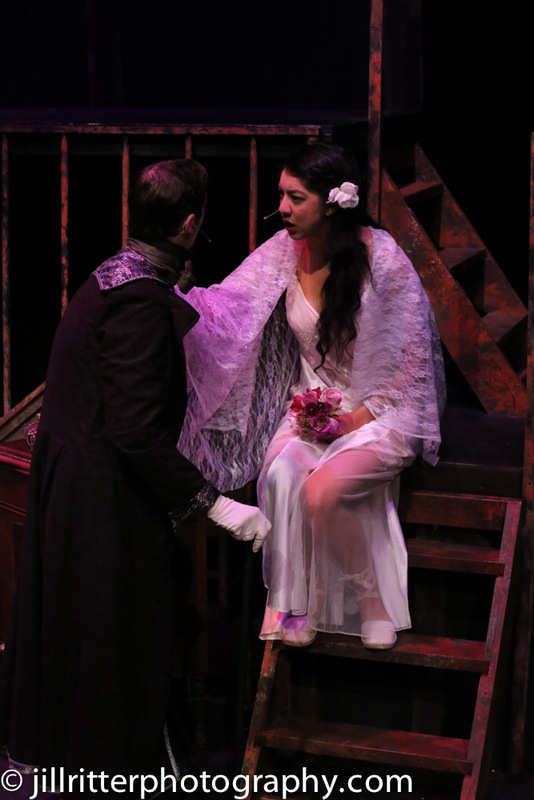 The awards will be presented on March 21 at the Skip Viragh Center for the Arts at Chaminade College Preparatory School, 425 South Lindbergh Boulevard. 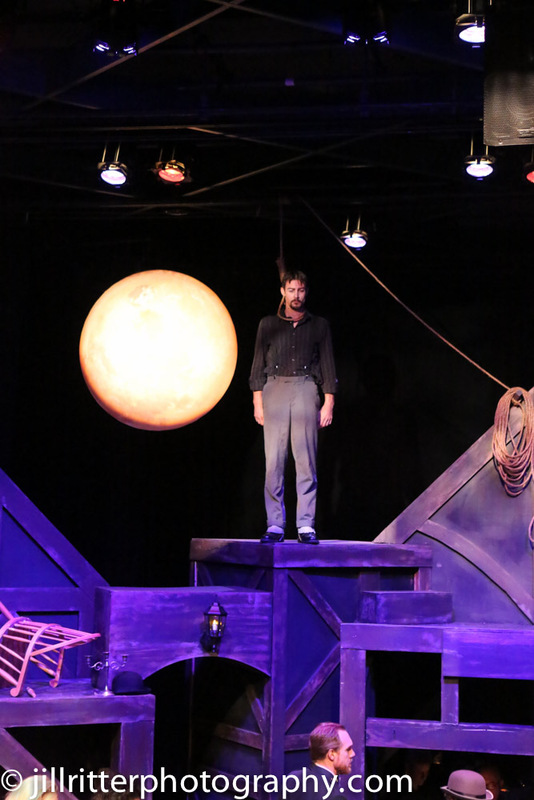 They also will be carried live on HEC-TV; HEC and stltoday.com will stream the ceremony, too. 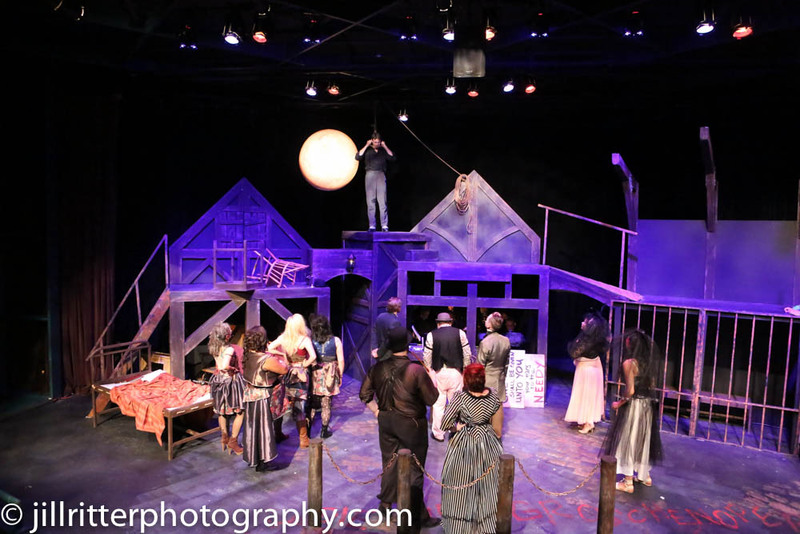 The Circle Awards are open to the public. 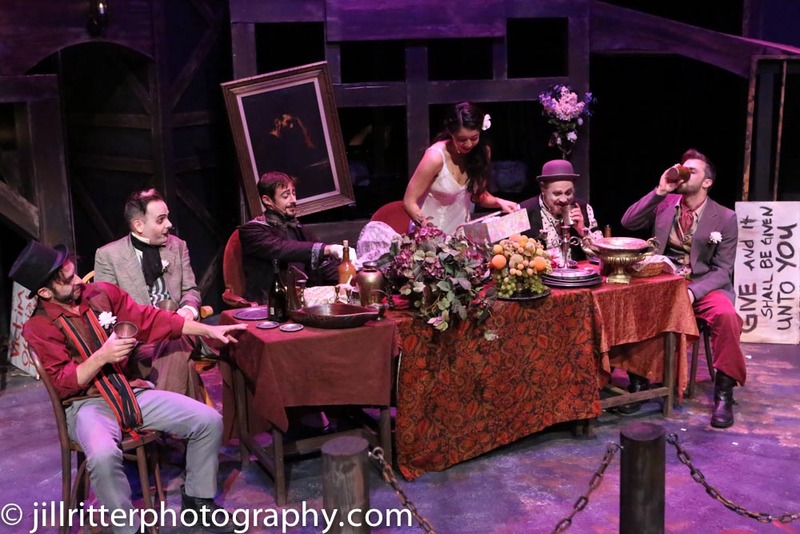 Tickets, $15, are available at brownpapertickets.com. 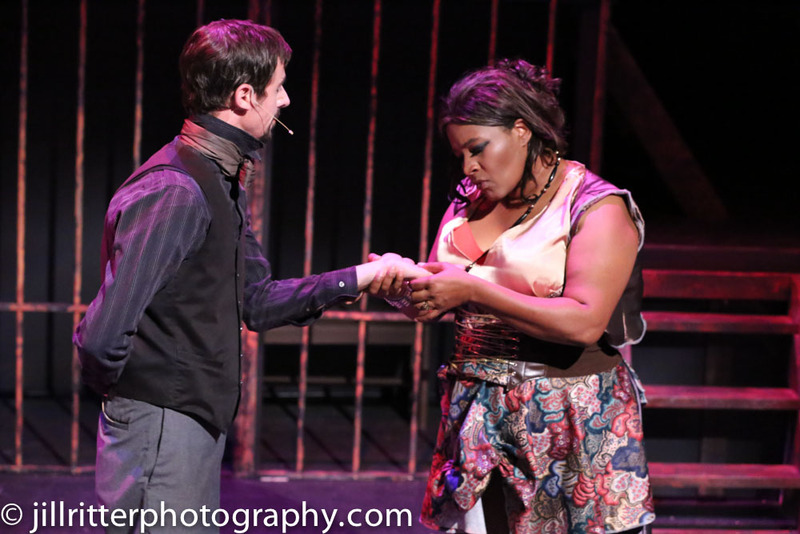 For more information, visit the St. Louis Theater Circle on Facebook. 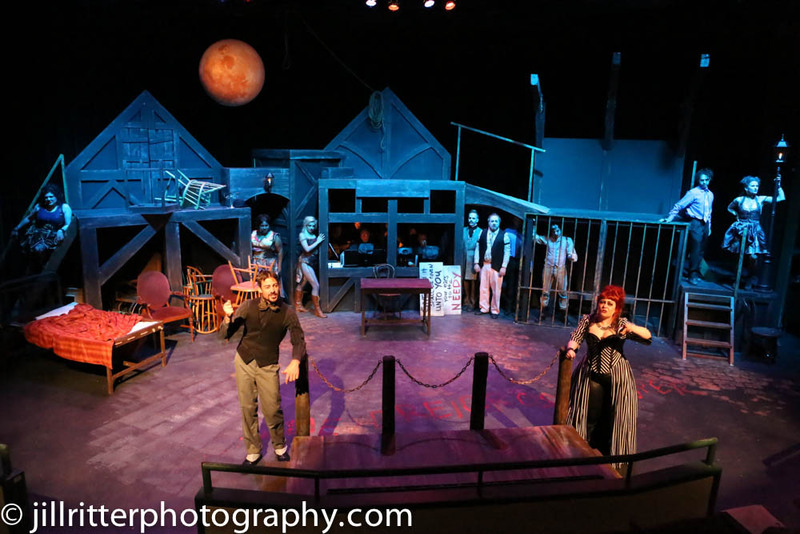 25 Years of New Line Theatre! 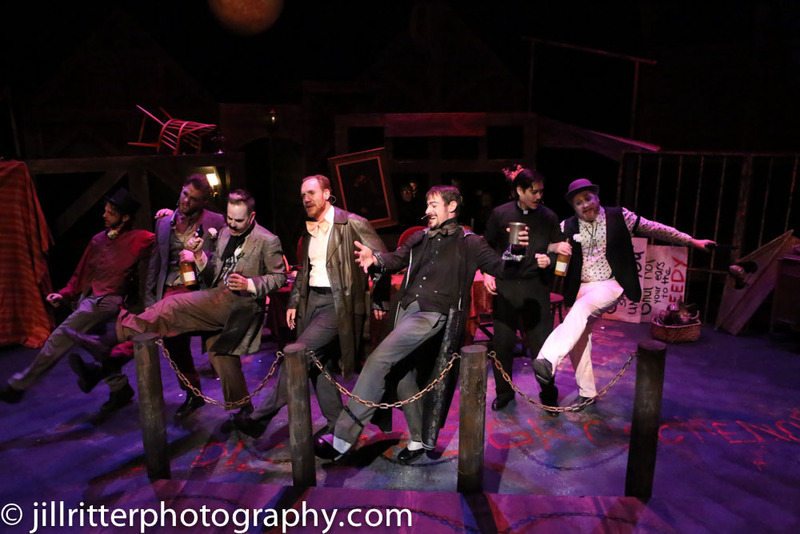 Jill Ritter LIndberg Macheath’s gang celebrate the boss’ wedding. 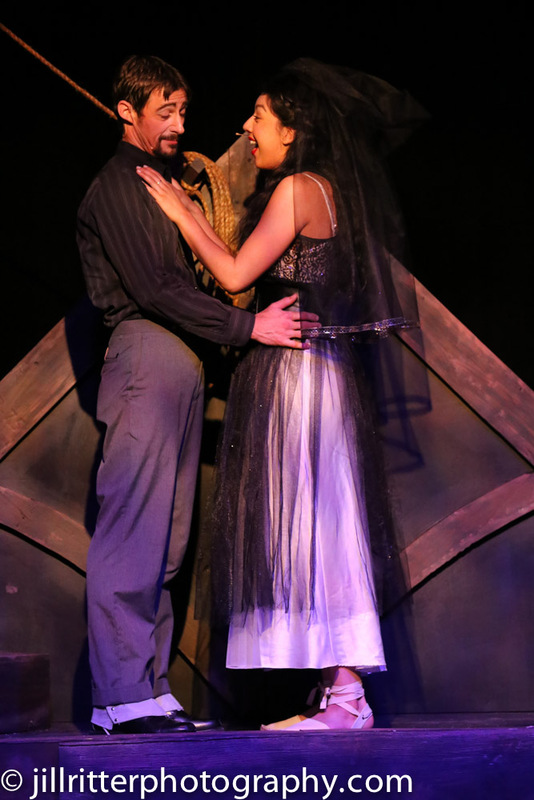 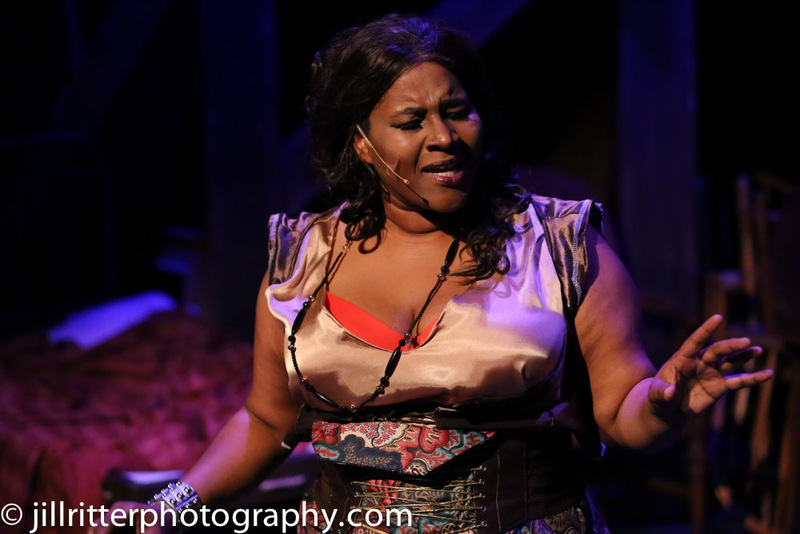 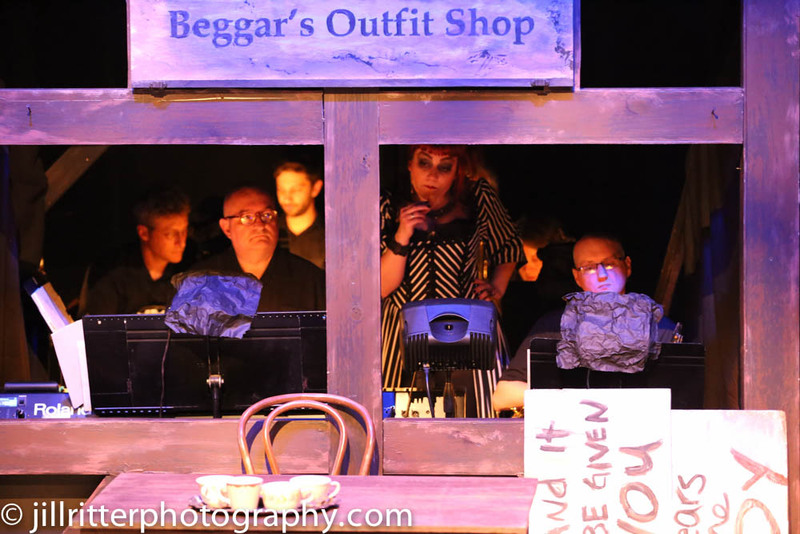 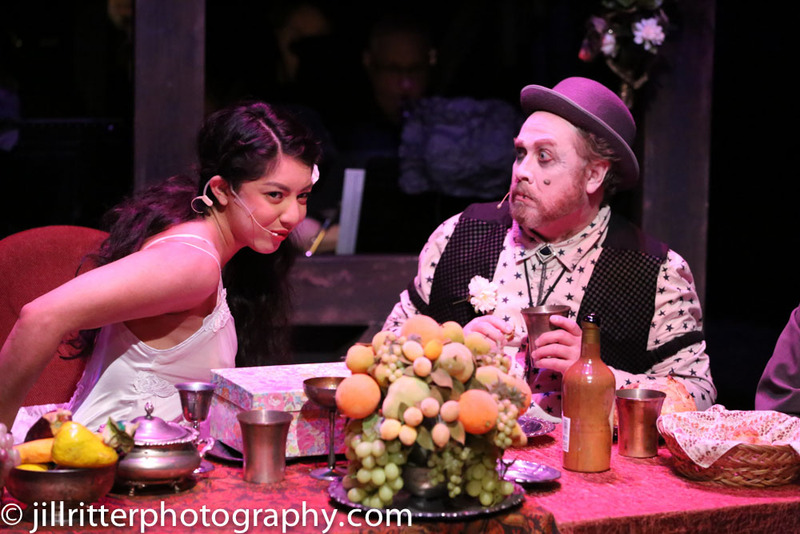 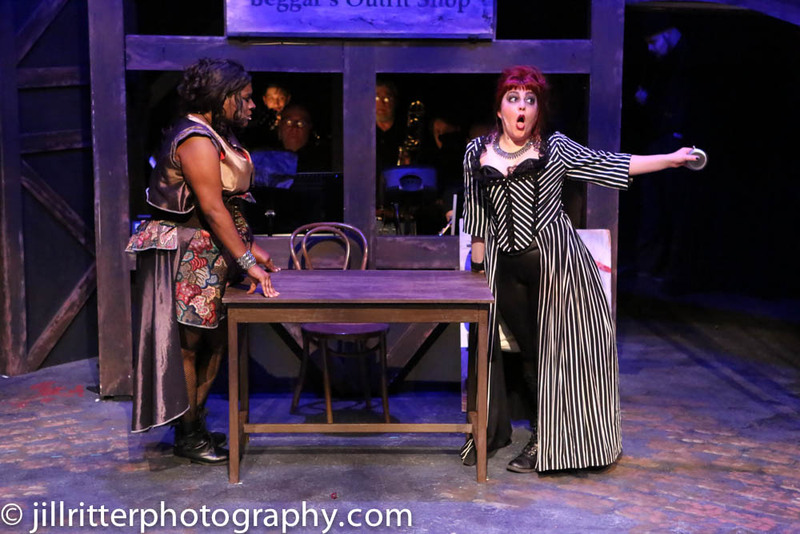 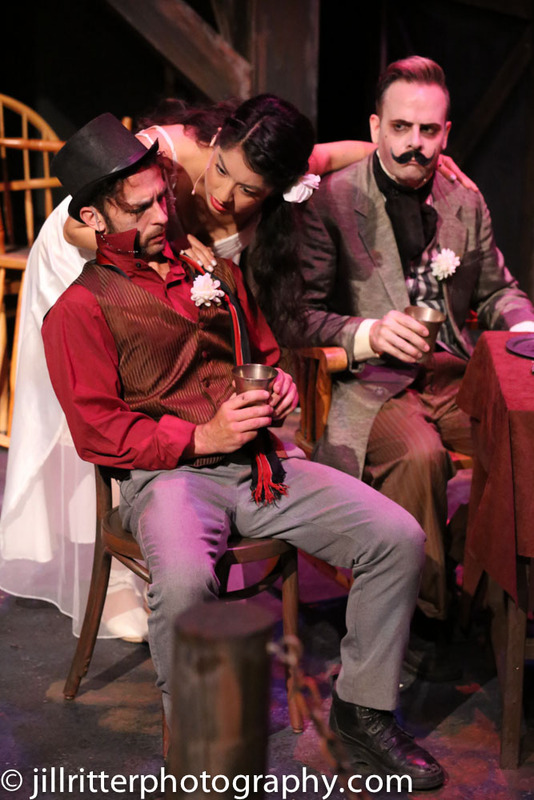 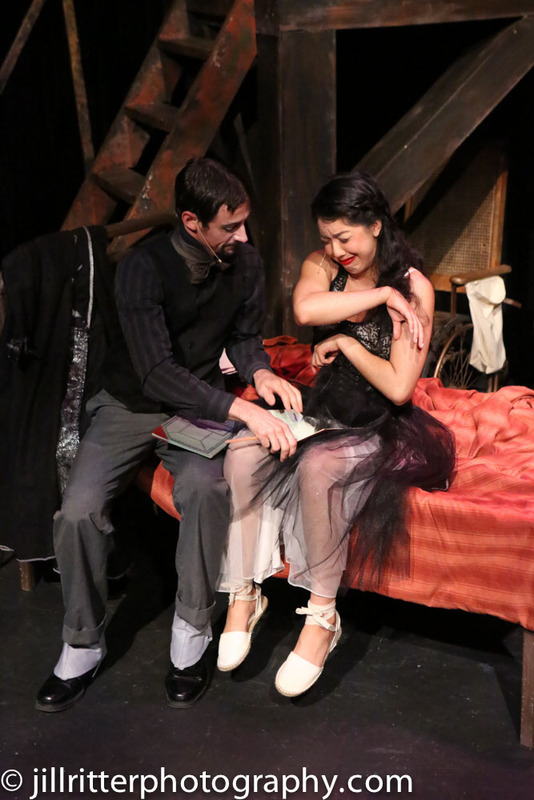 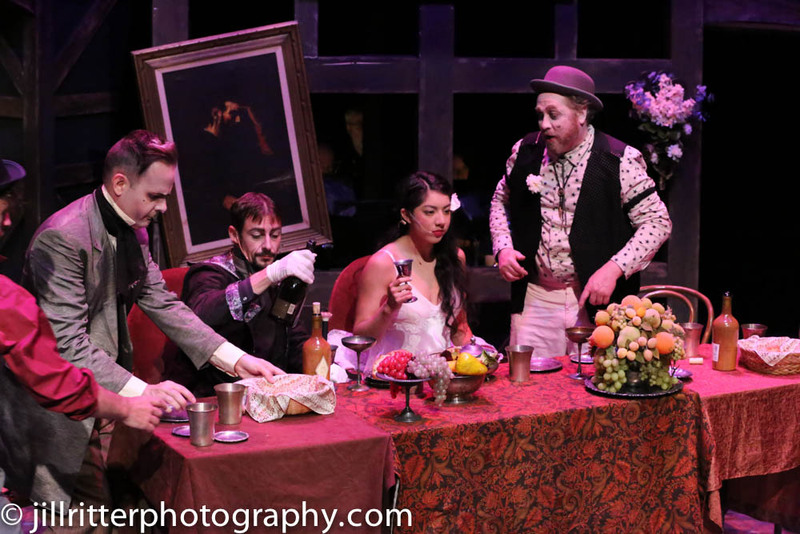 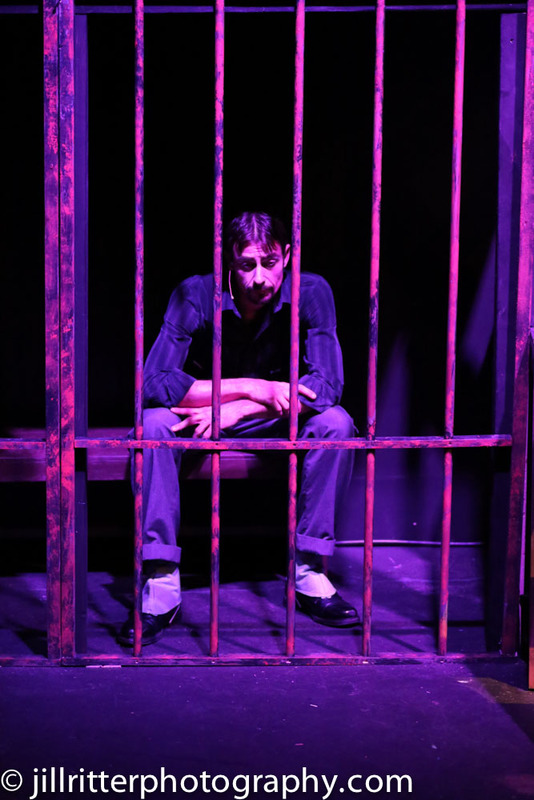 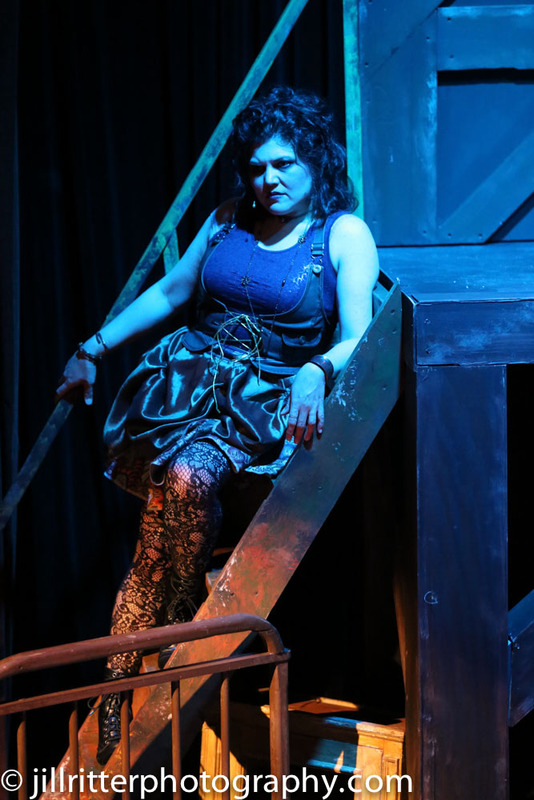 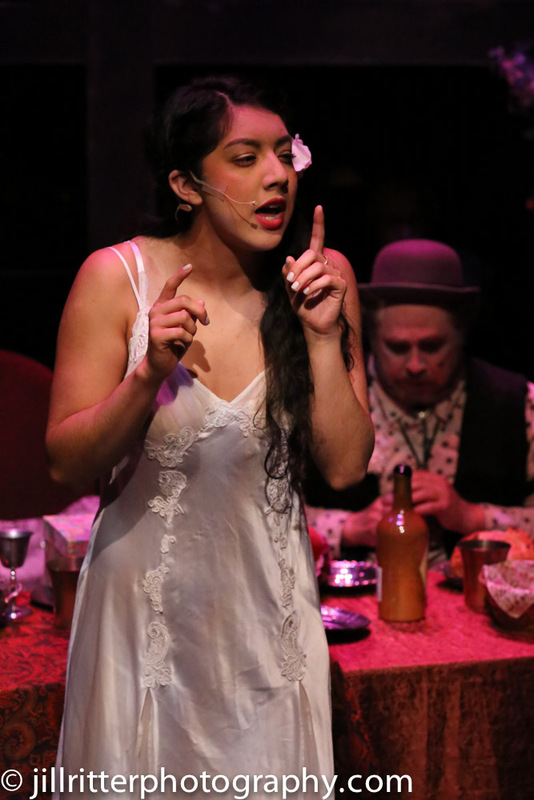 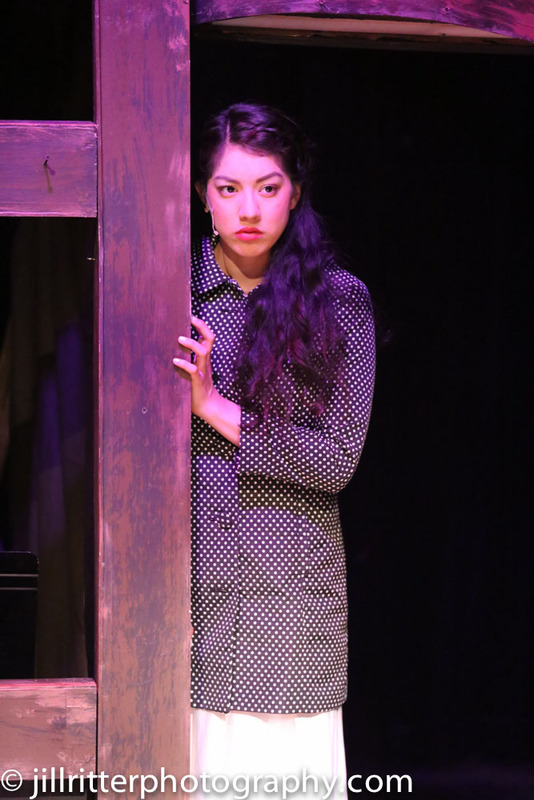 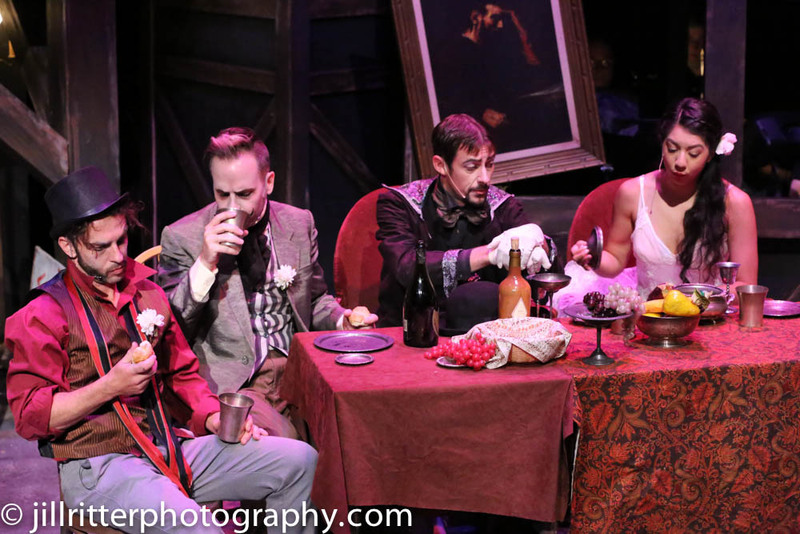 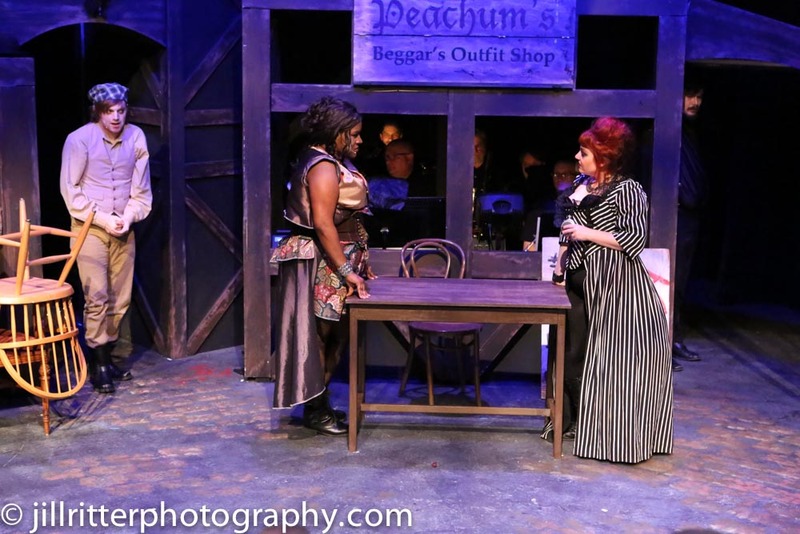 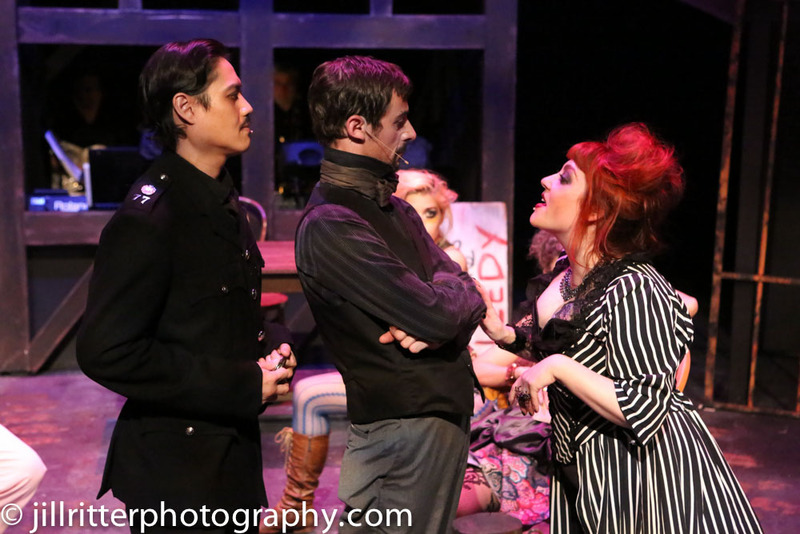 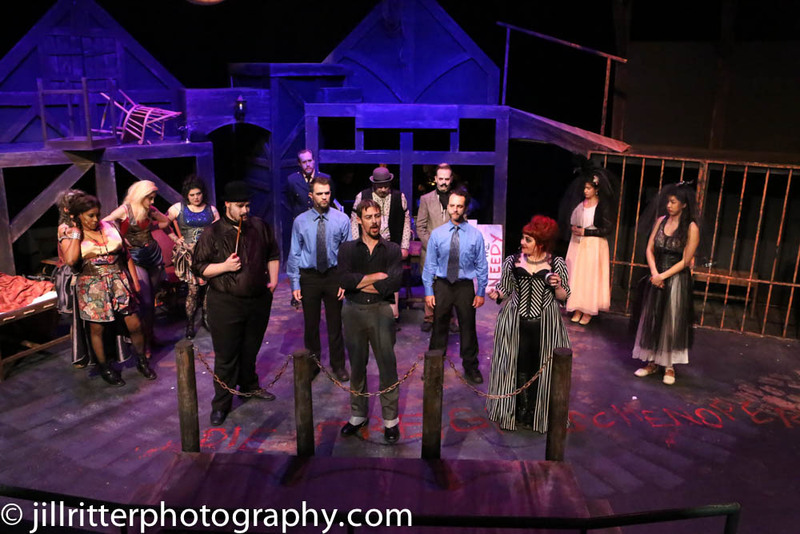 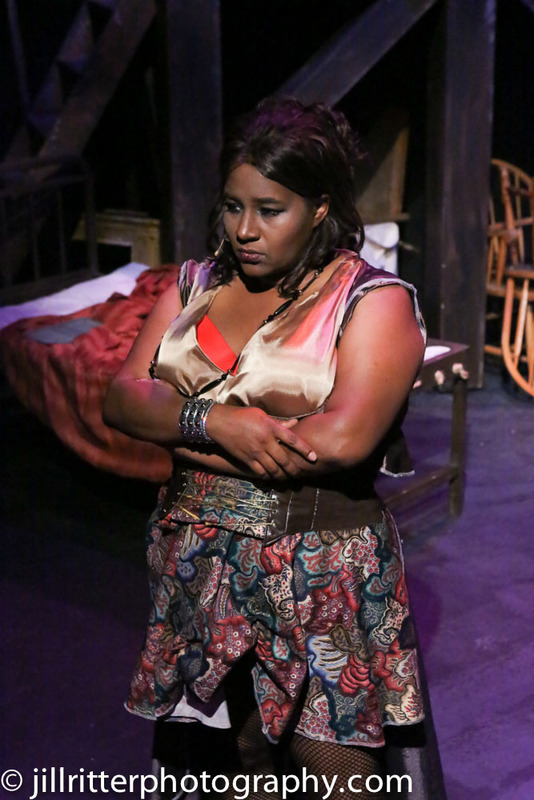 Bertolt Brecht and Kurt Weill’s The Threepenny Opera has everything you could want from a musical: a jazzy score, a diverse cast of shady characters and a ruthless compunction for wallowing in vice, sin and corruption. 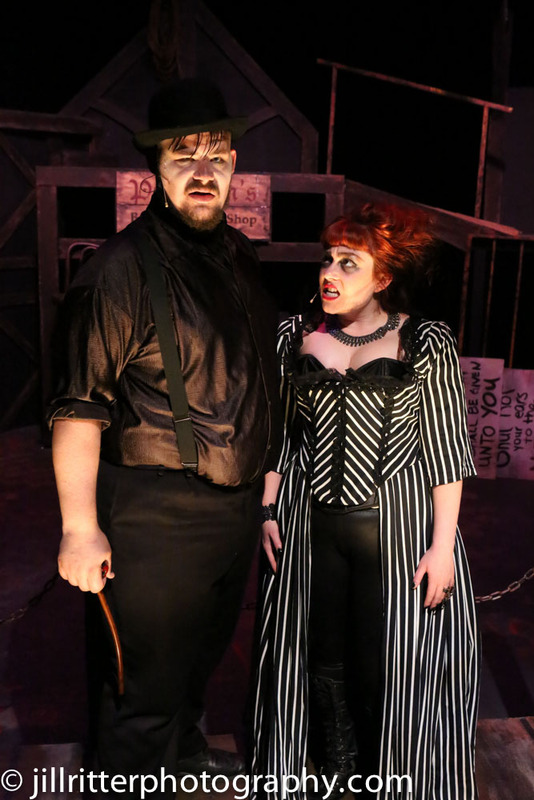 New Line Theatre mounted a savage production of the show that rubbed our faces in society’s filth and failings, and made us enjoy it despite the horrors on display. 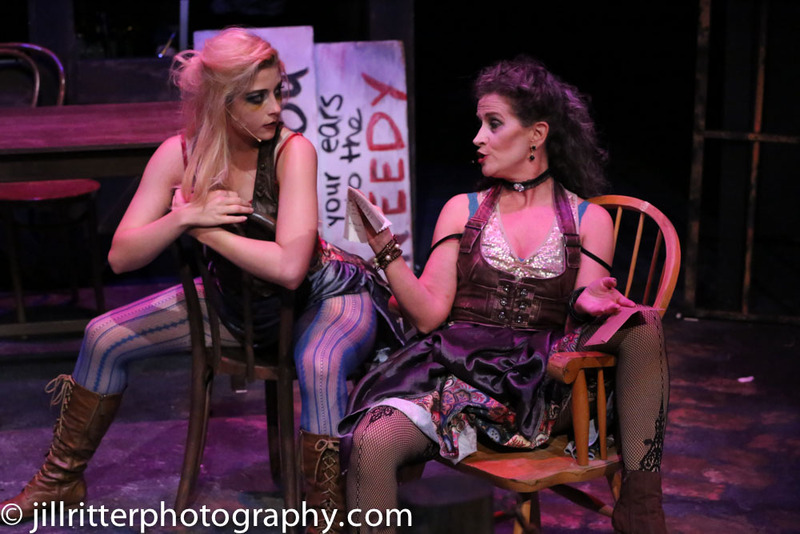 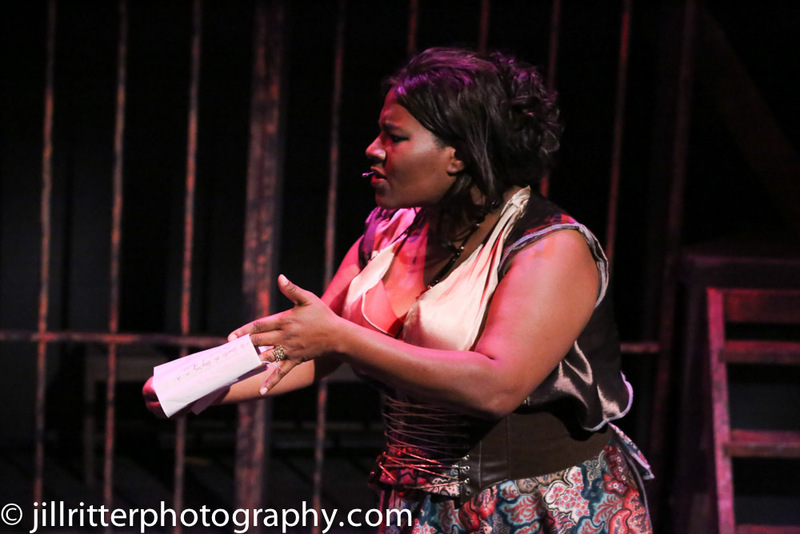 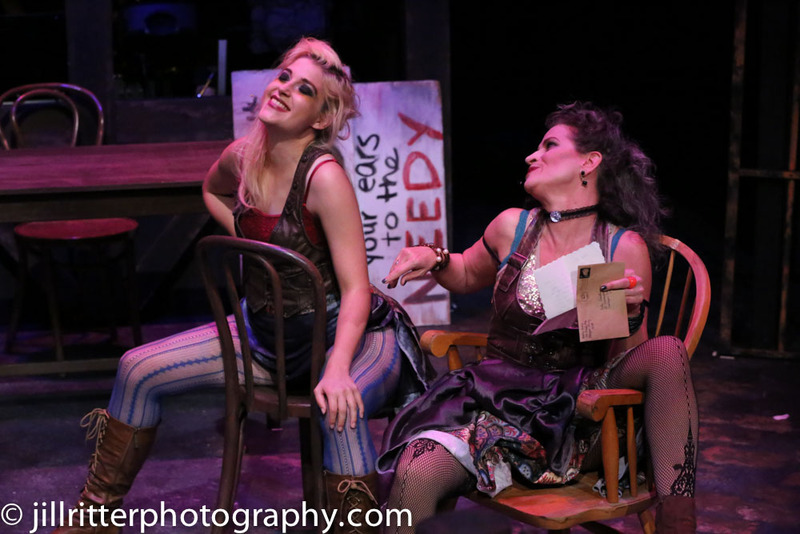 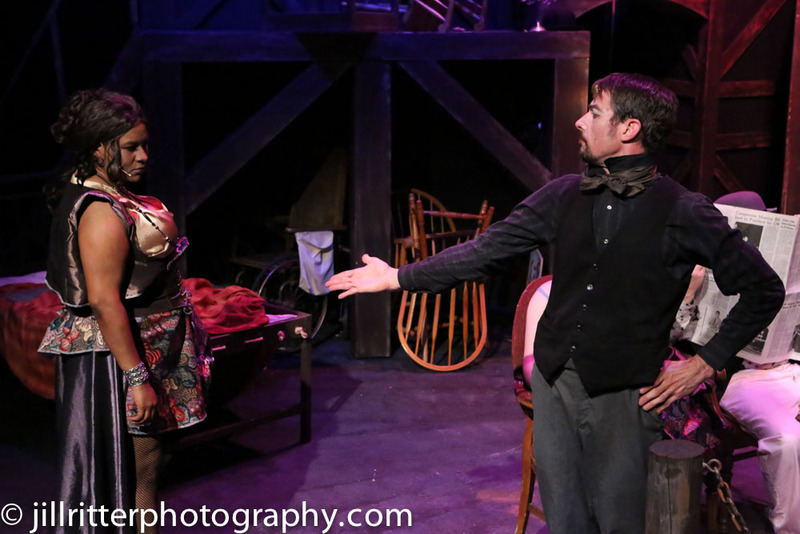 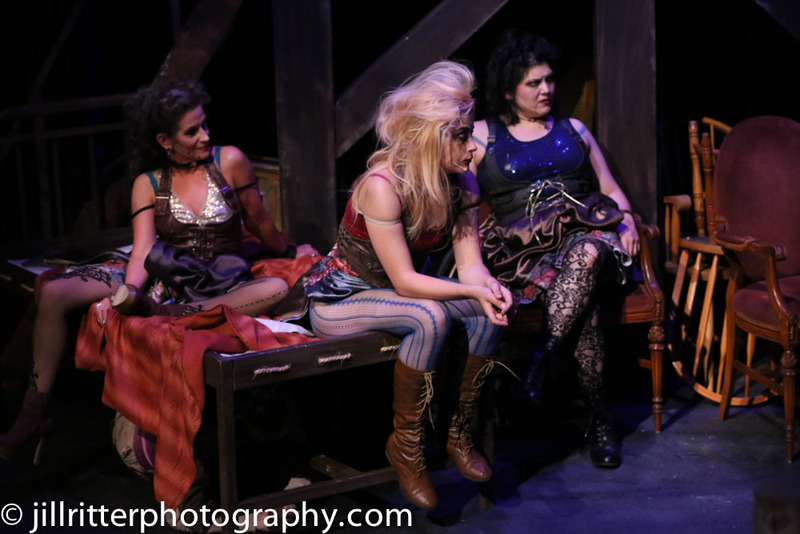 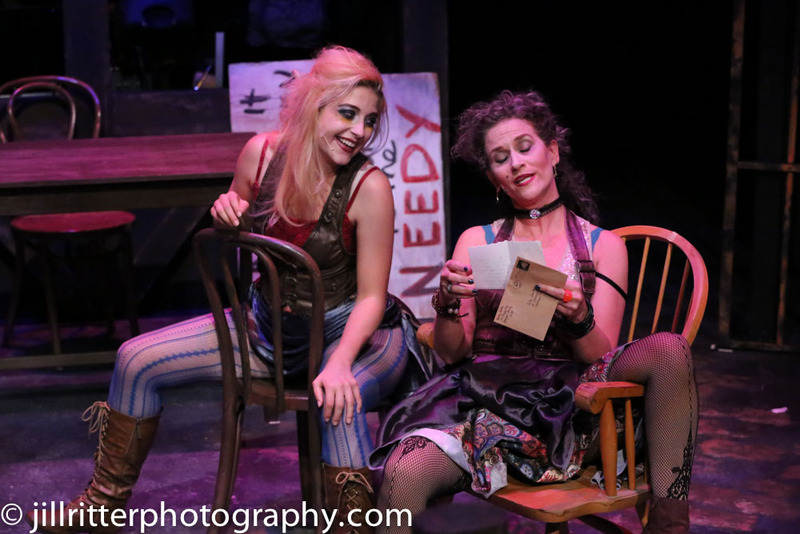 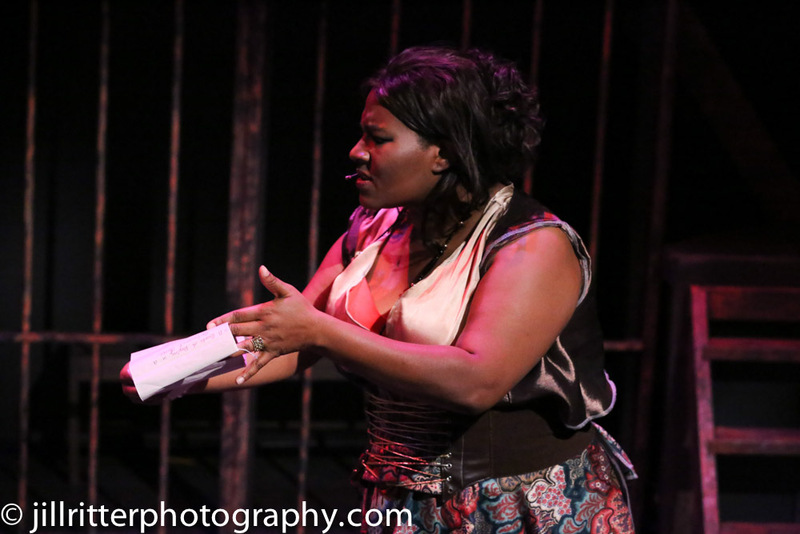 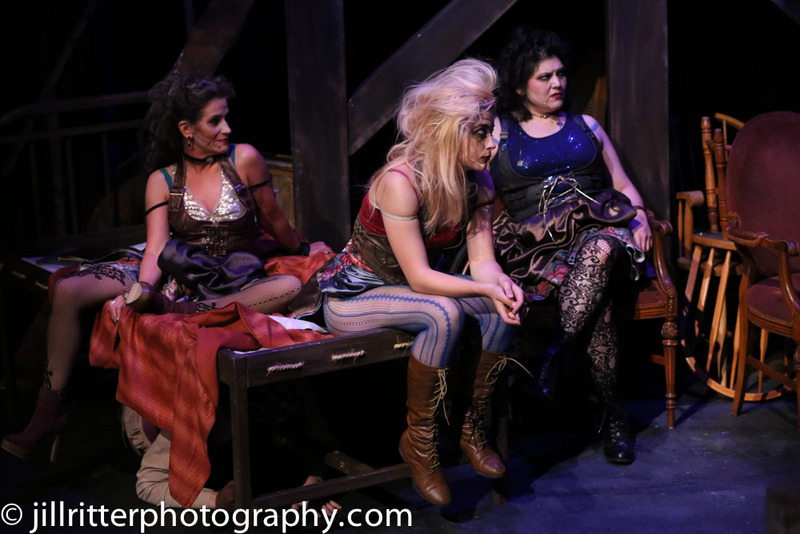 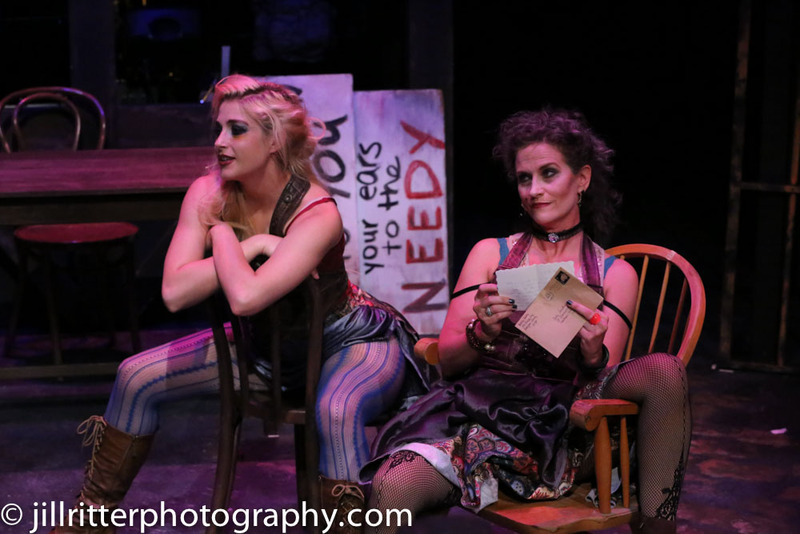 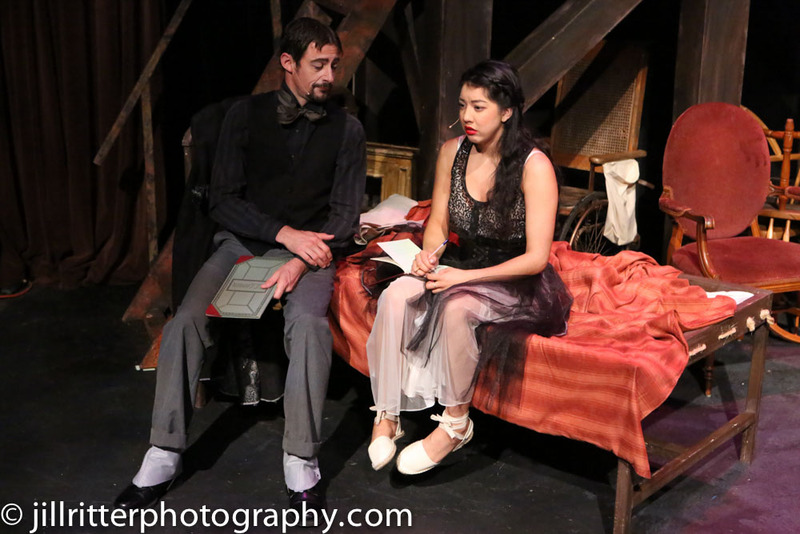 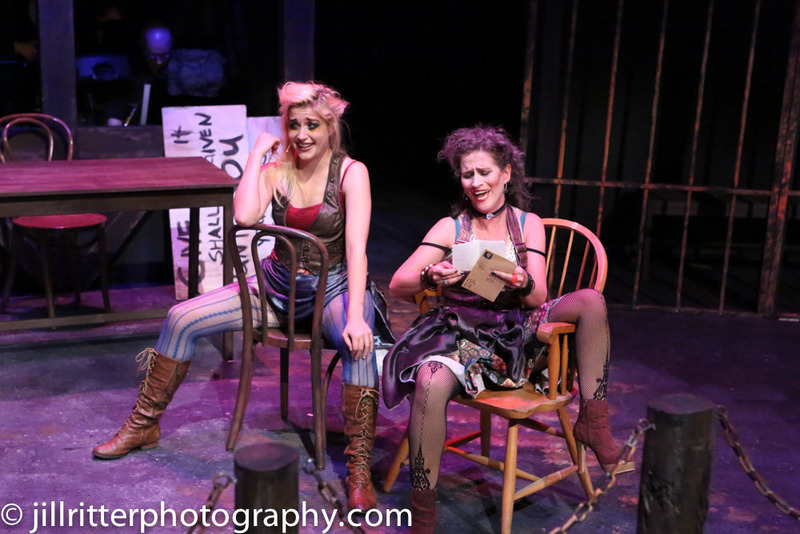 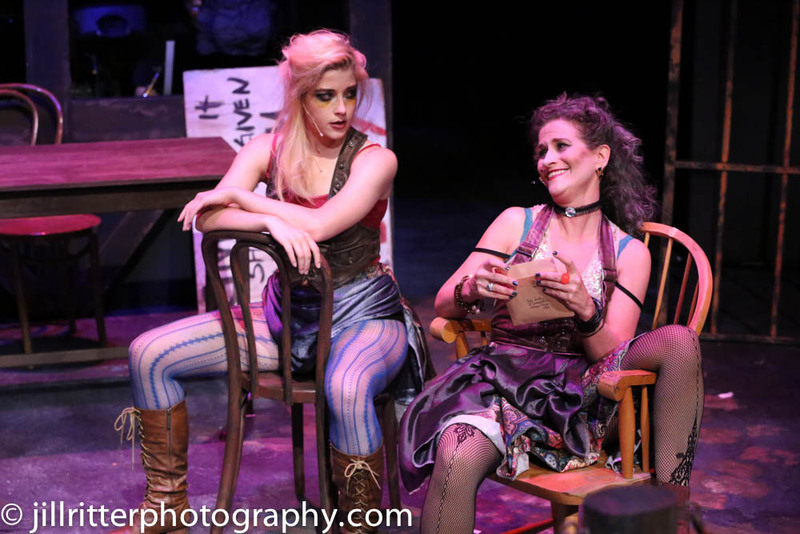 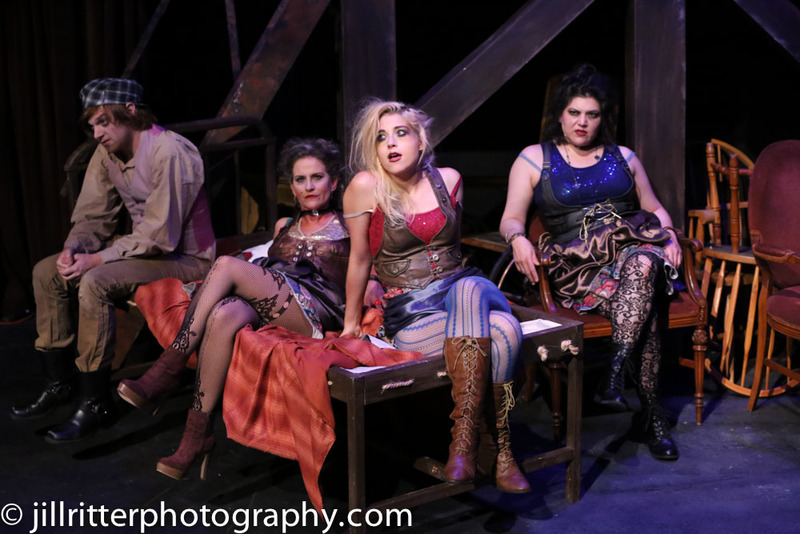 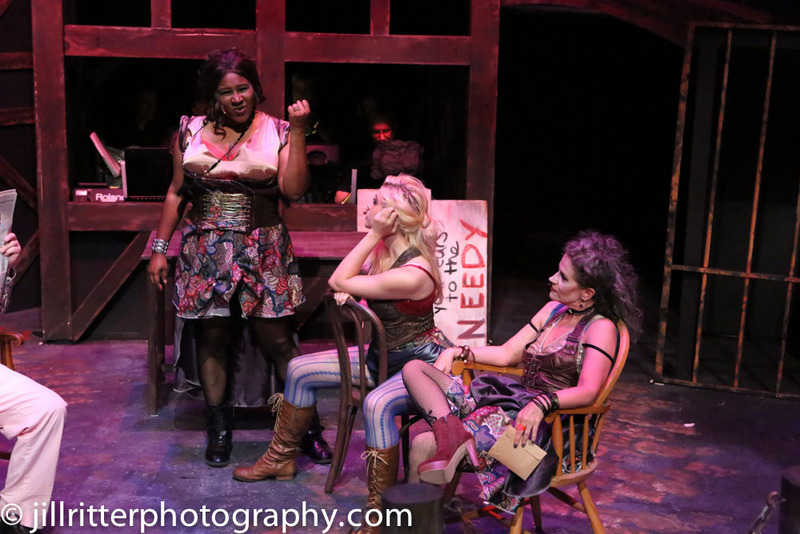 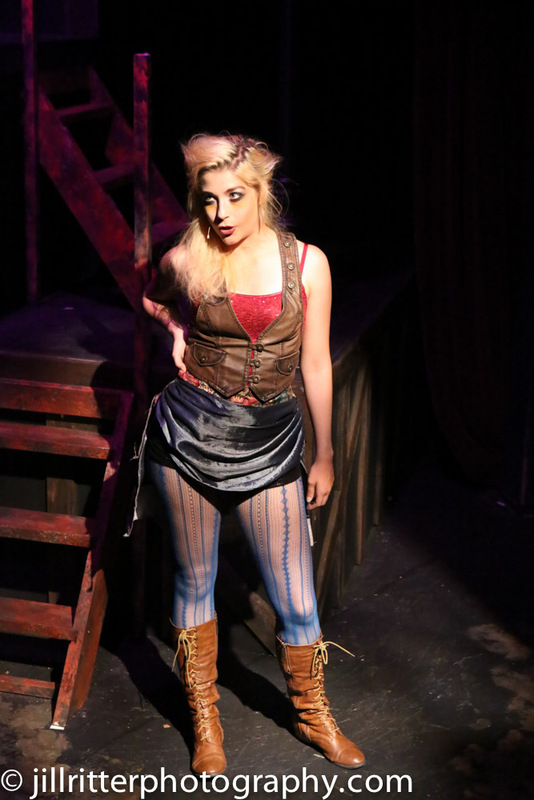 Threepenny is a sharp, cynical work that subverts your expectations at every turn, and the New Line cast embraced this ethos thoroughly. 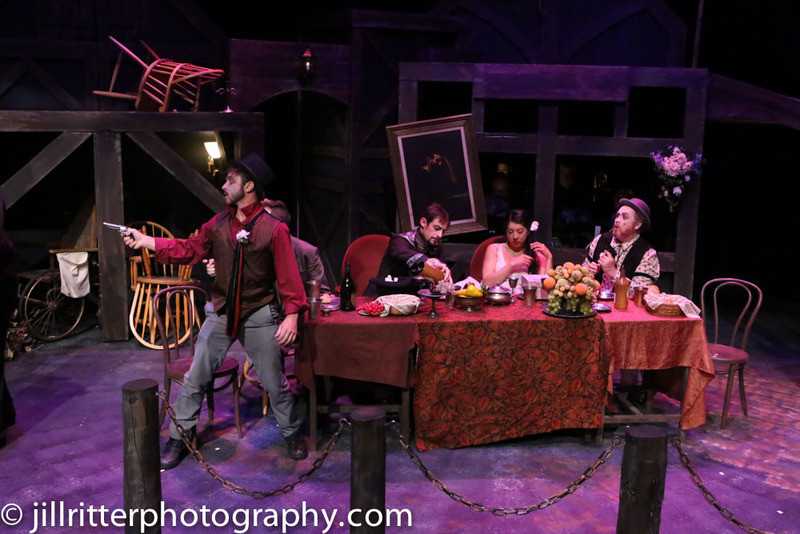 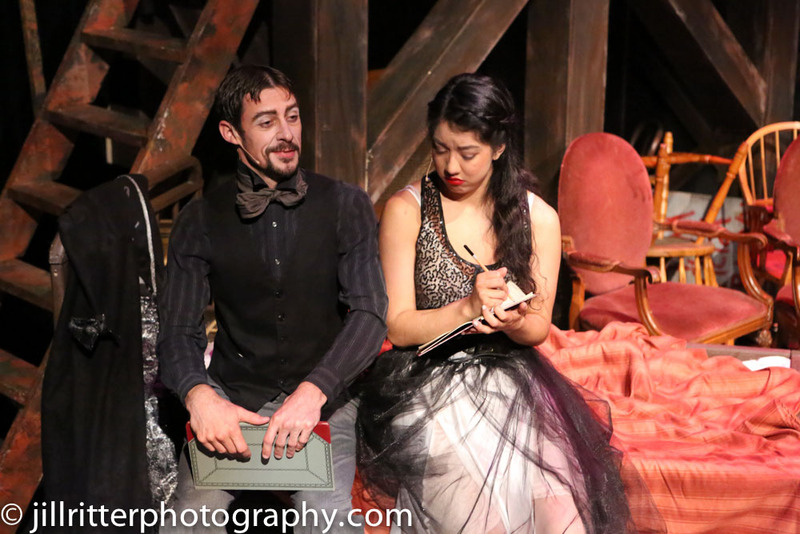 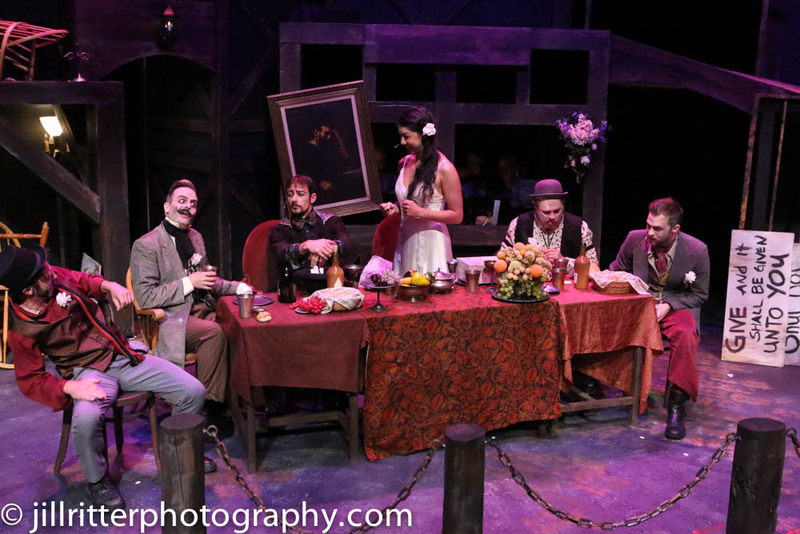 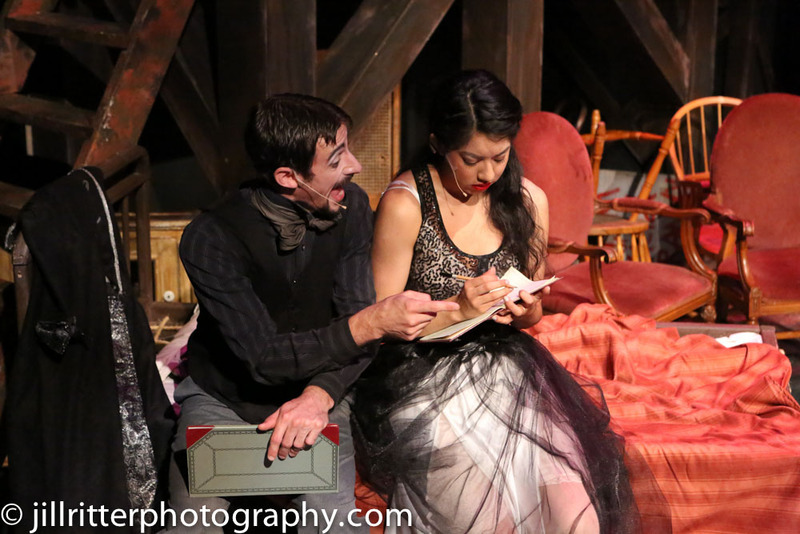 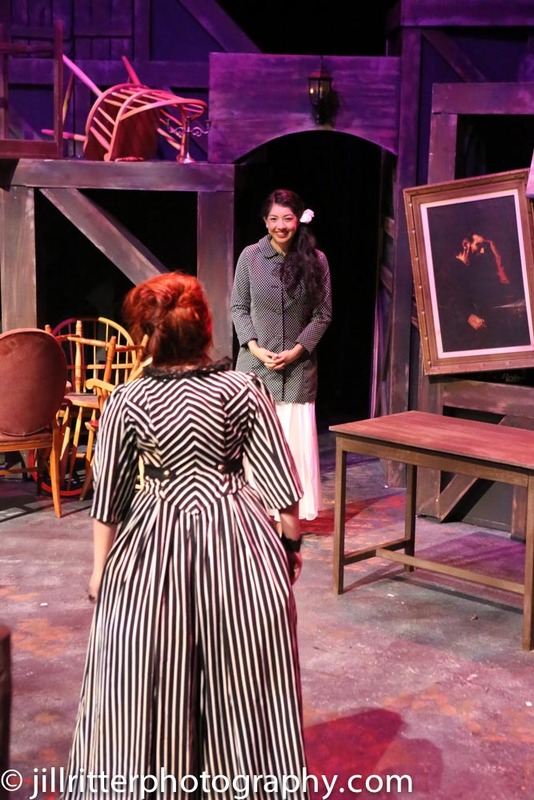 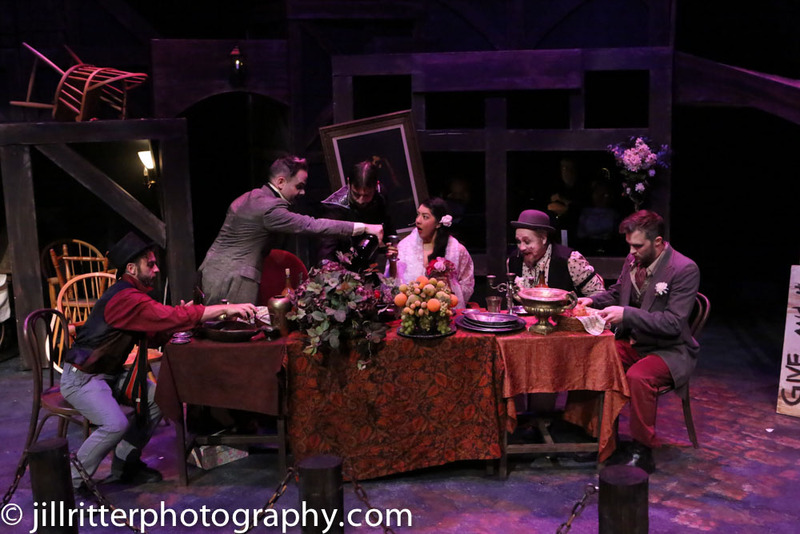 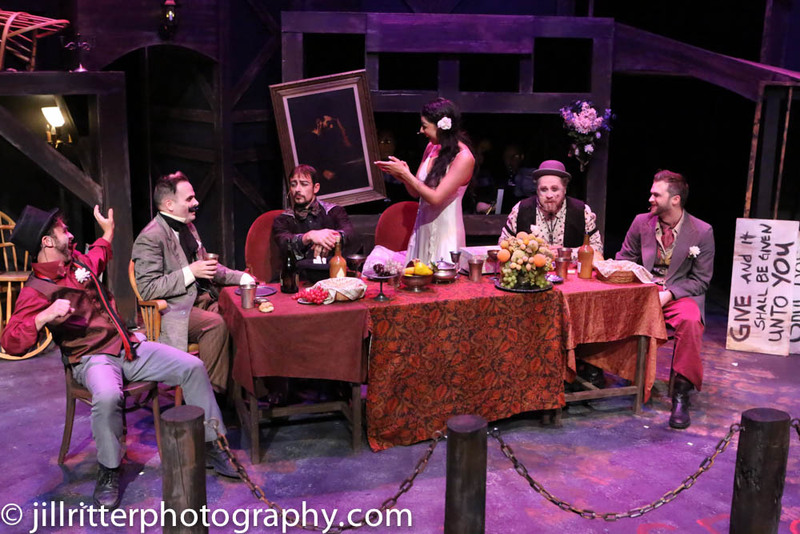 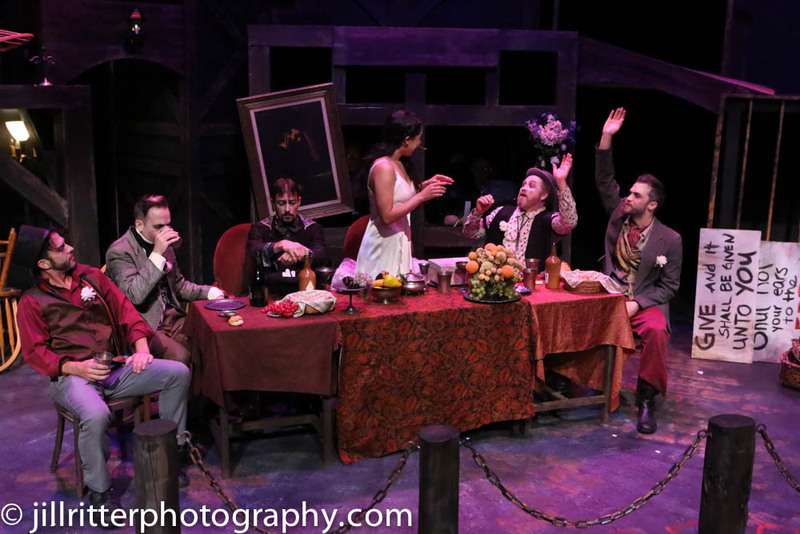 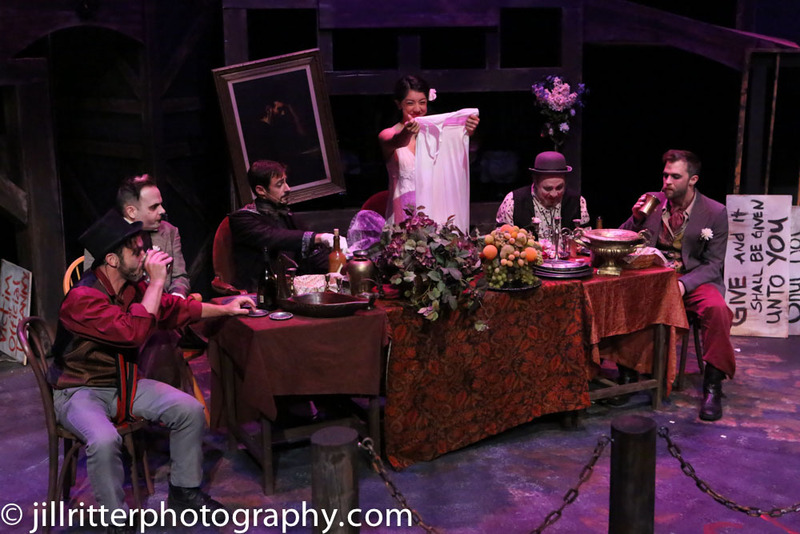 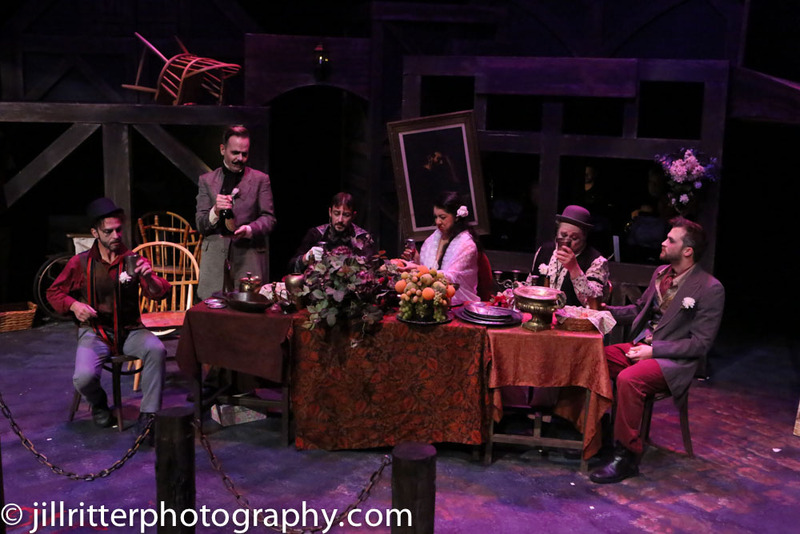 Scenic designer Rob Lippert built a grimy nocturne for them to play in, and the cast gleefully cheated and backstabbed their way through it. 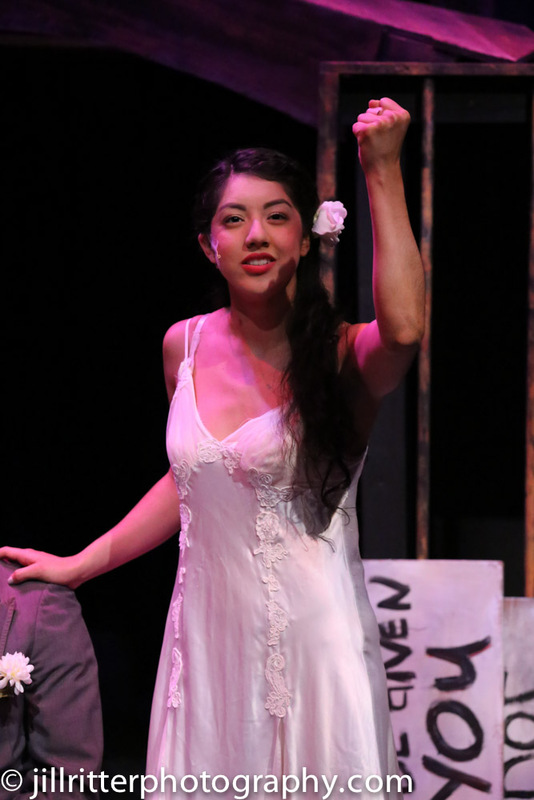 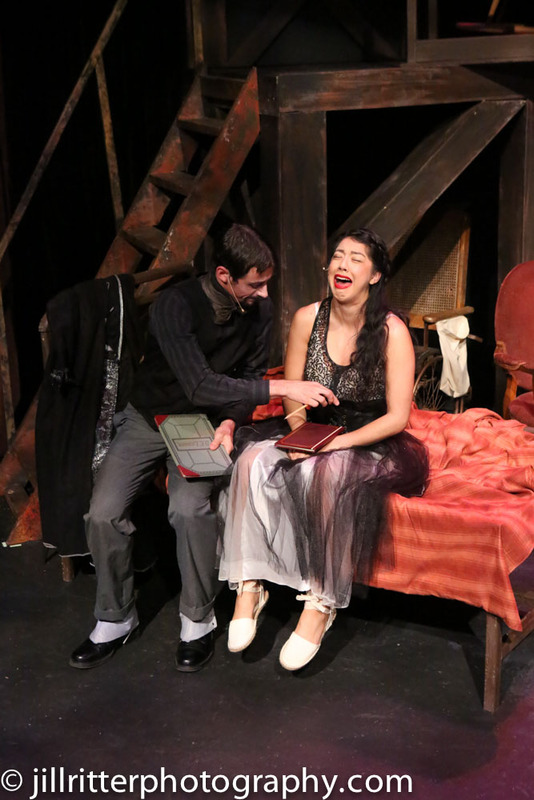 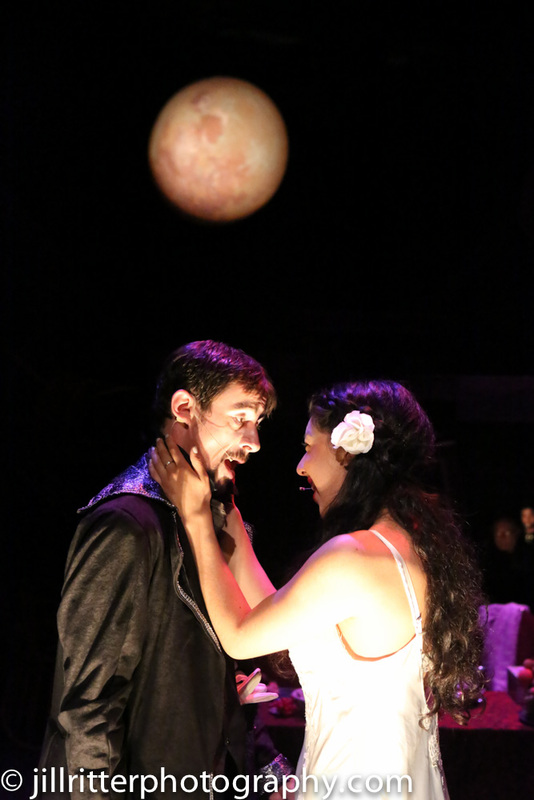 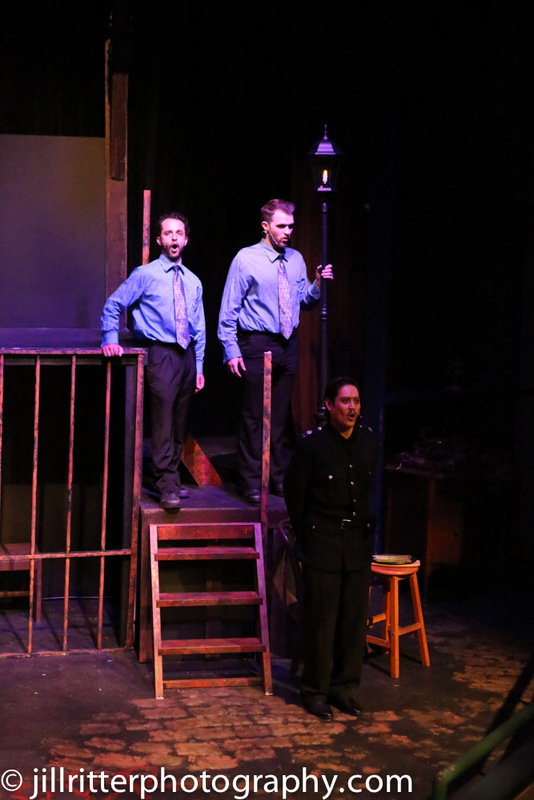 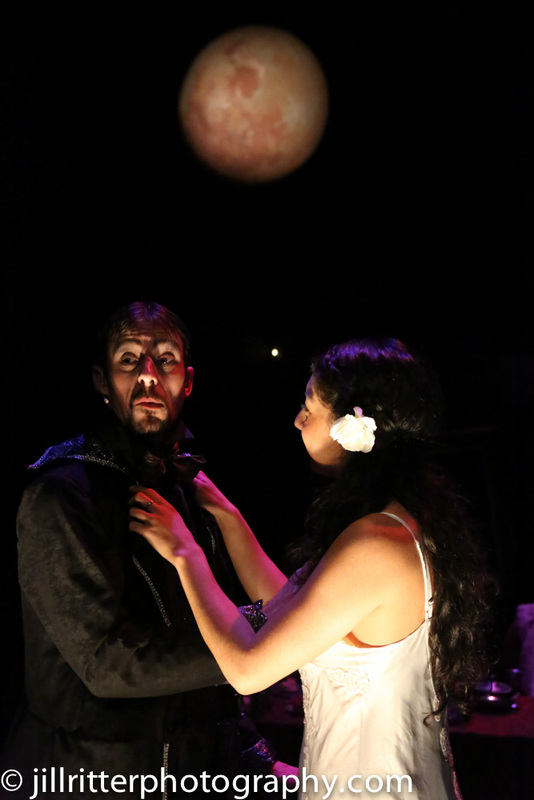 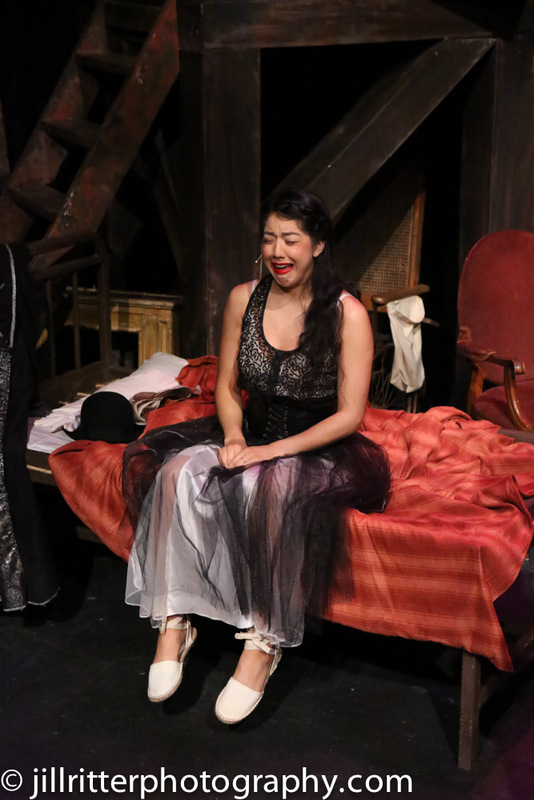 Familiar tunes such as “Army Song” and “Jealousy Duet” sounded fresh and intoxicating — so fresh that Brecht’s mordant lyrics were shocking all over again. 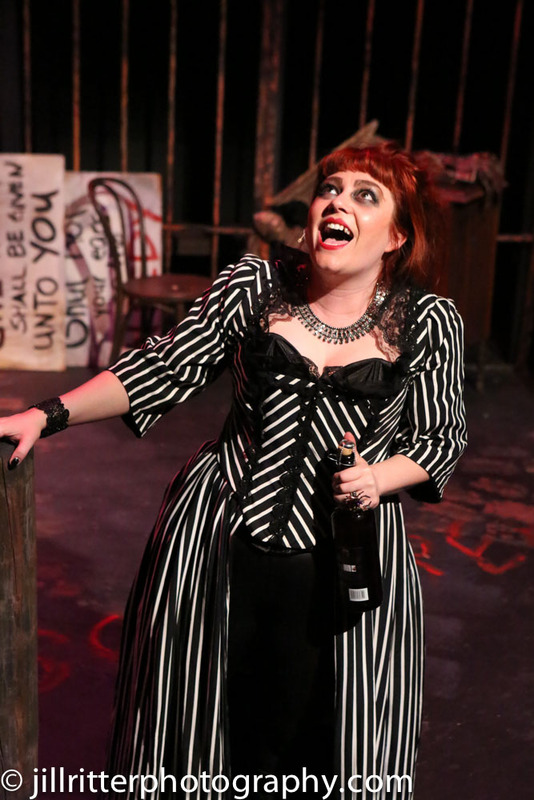 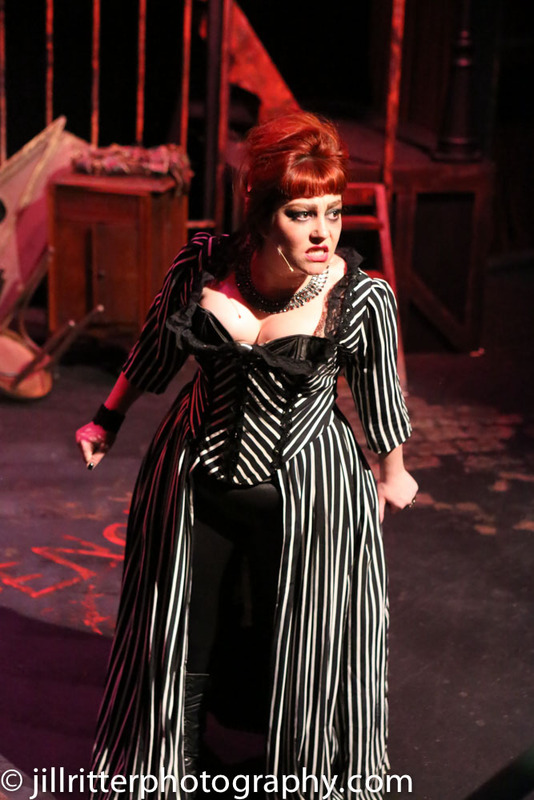 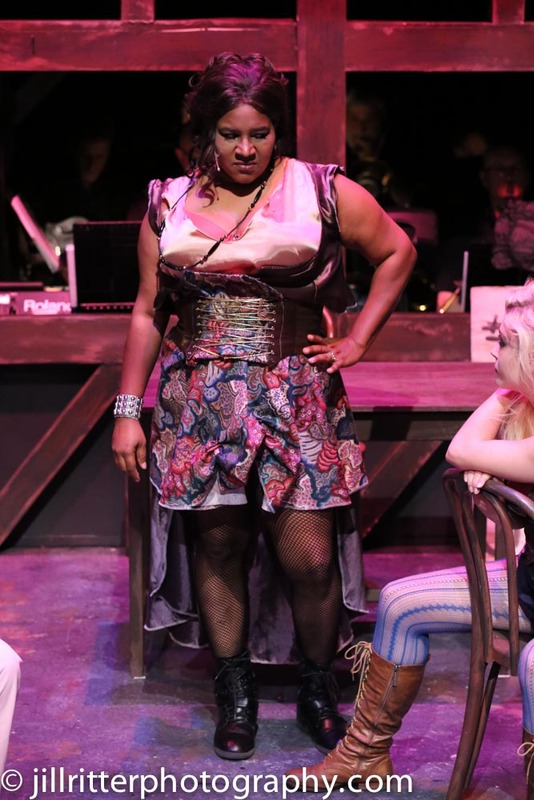 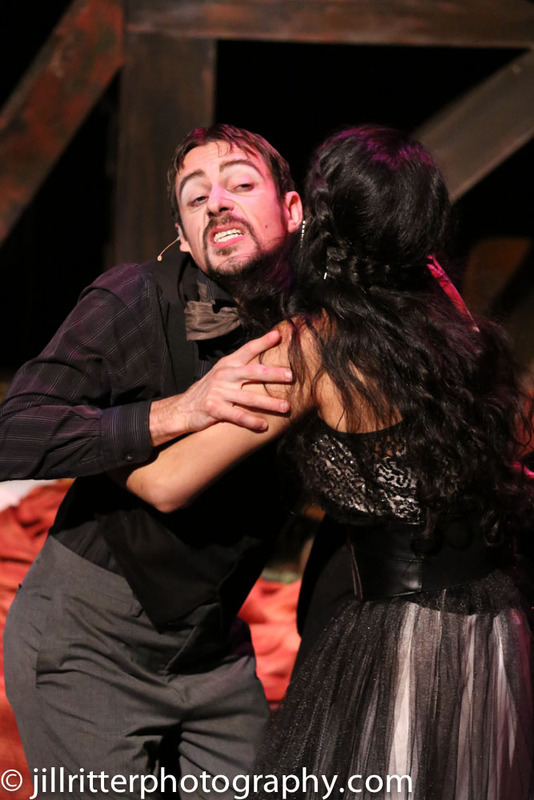 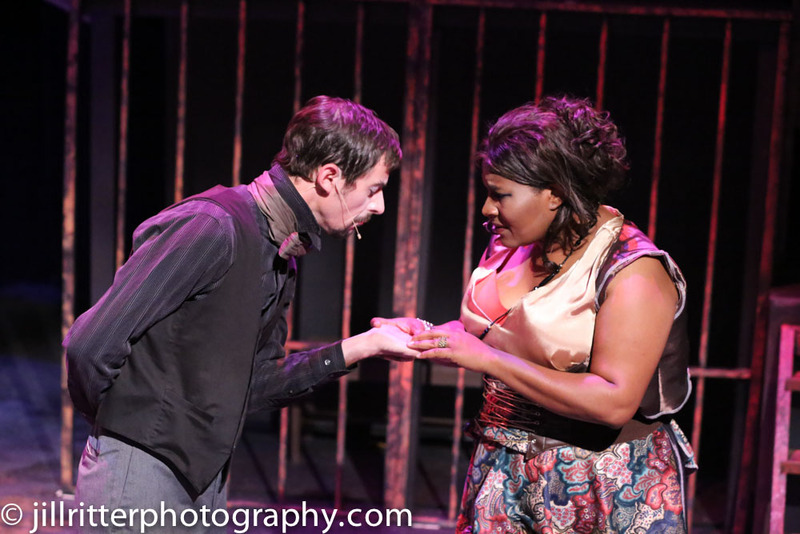 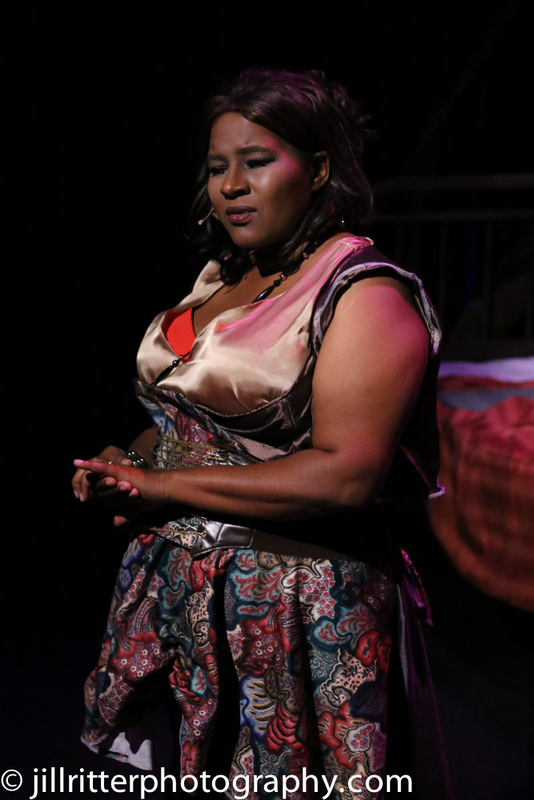 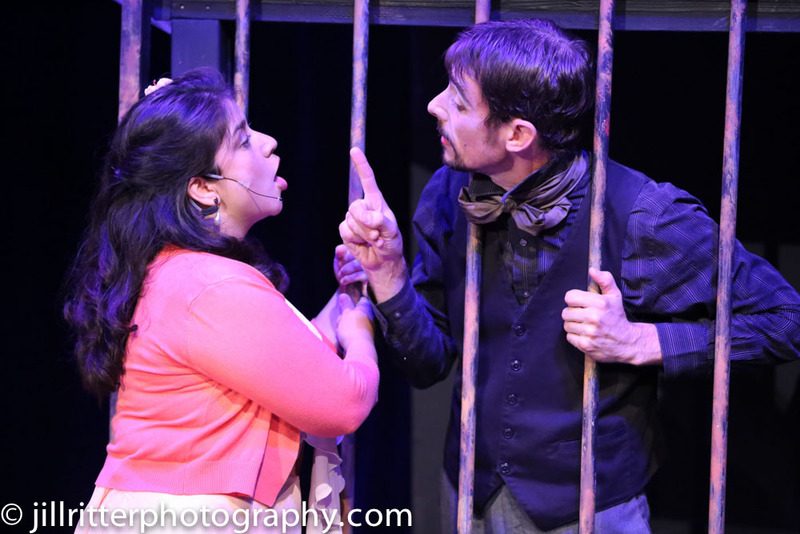 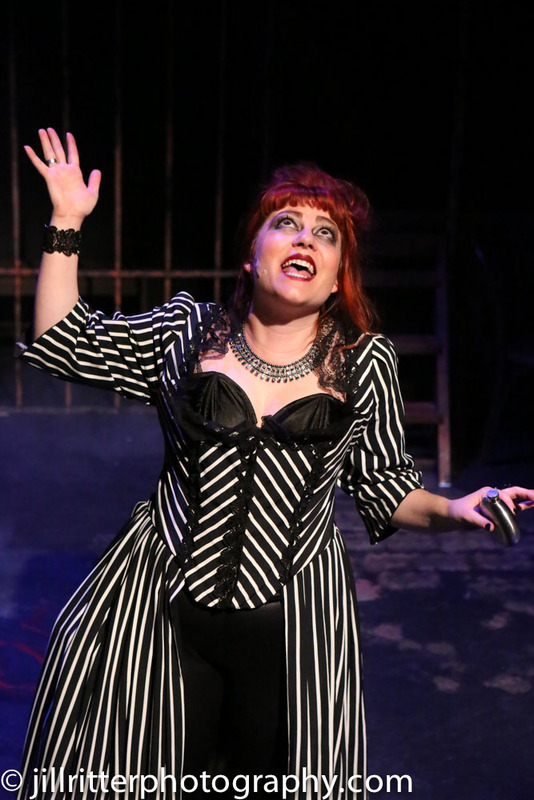 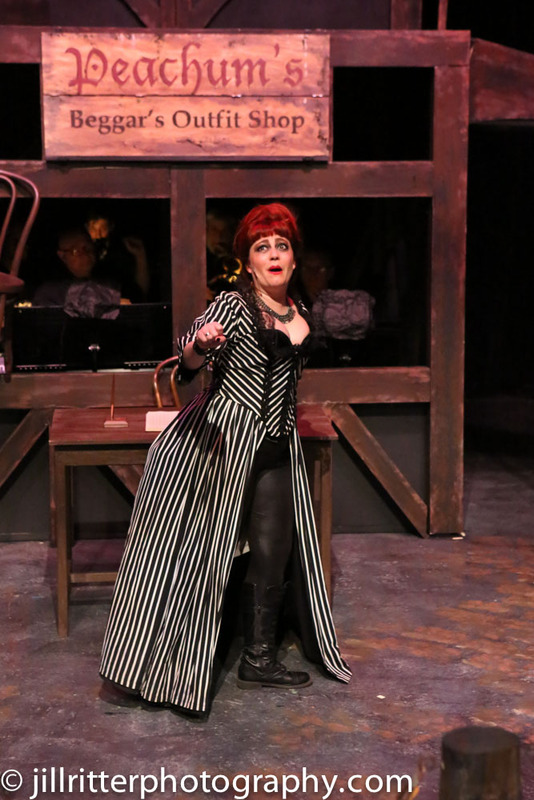 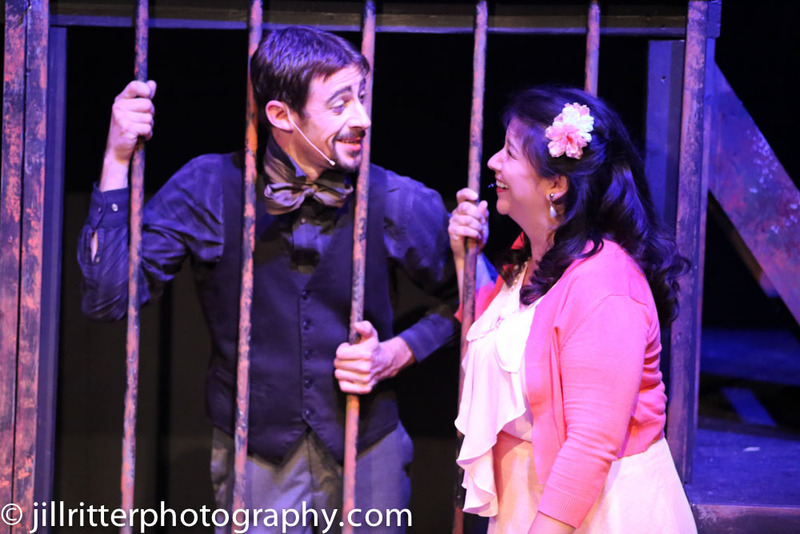 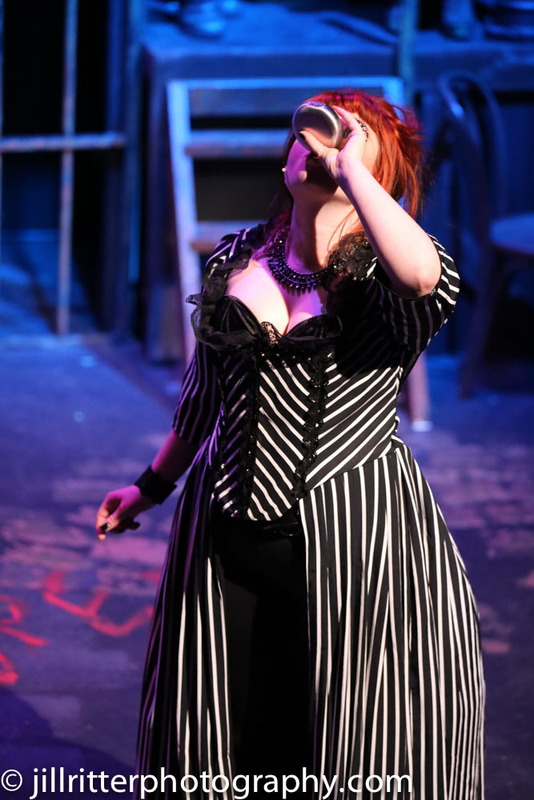 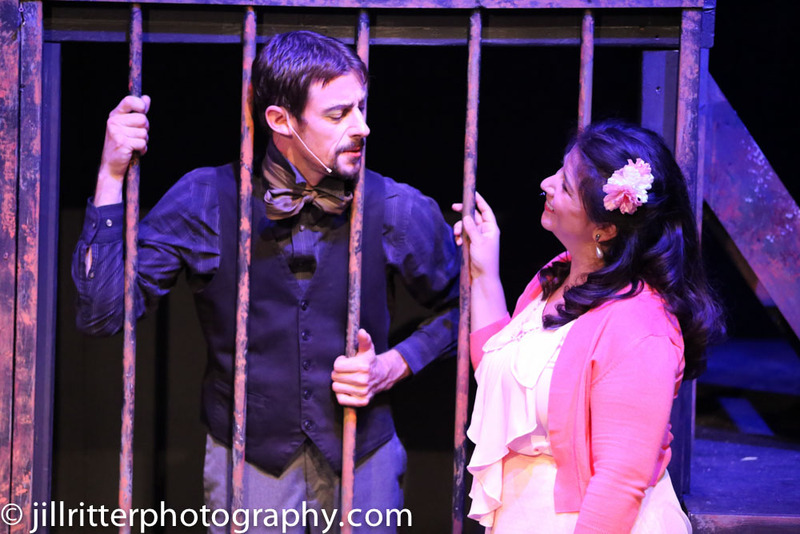 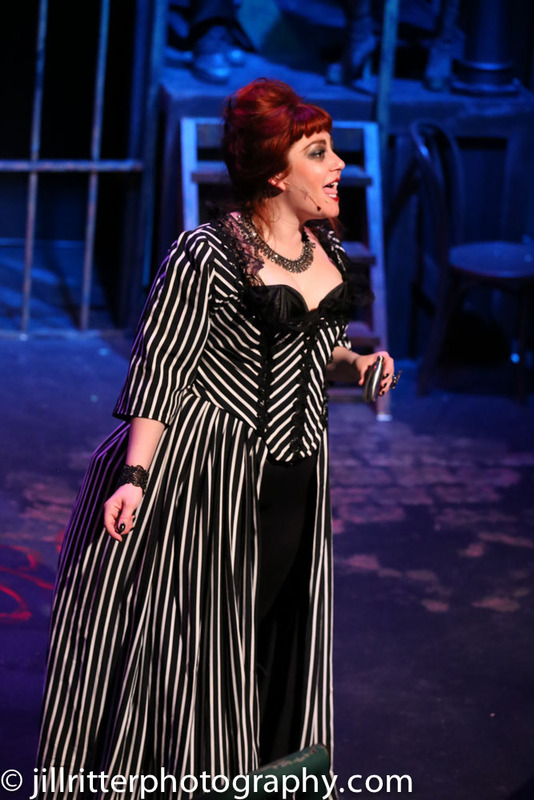 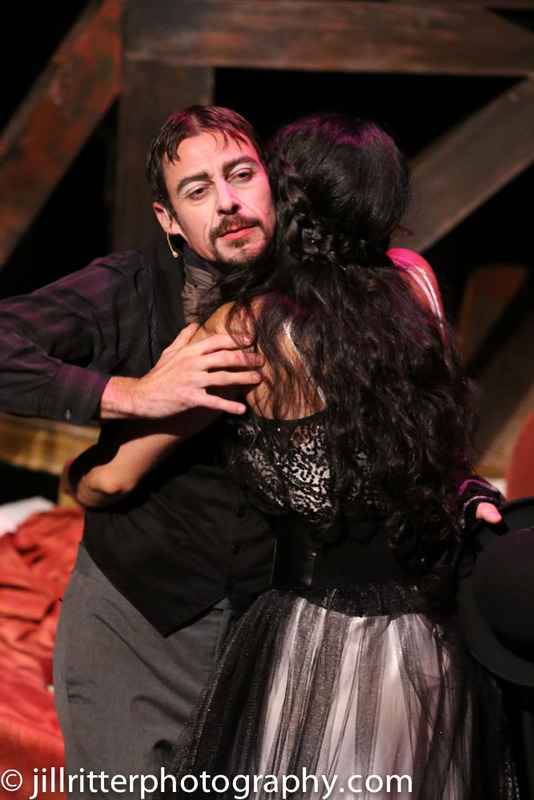 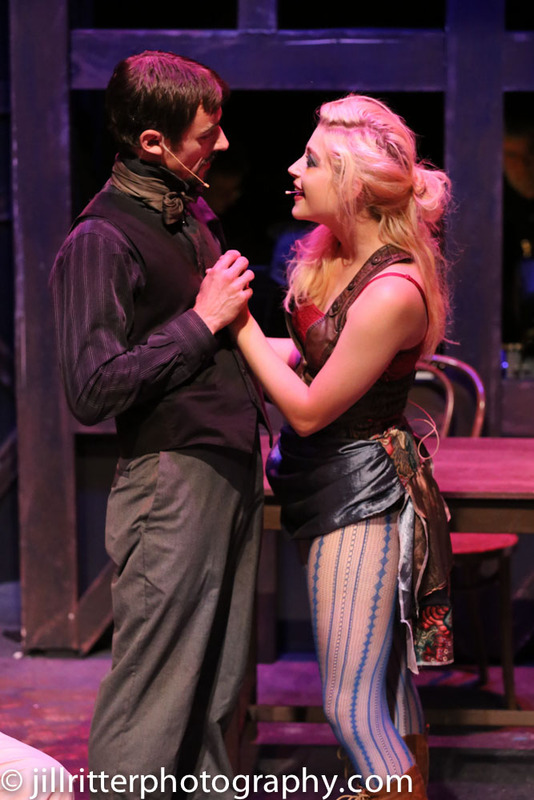 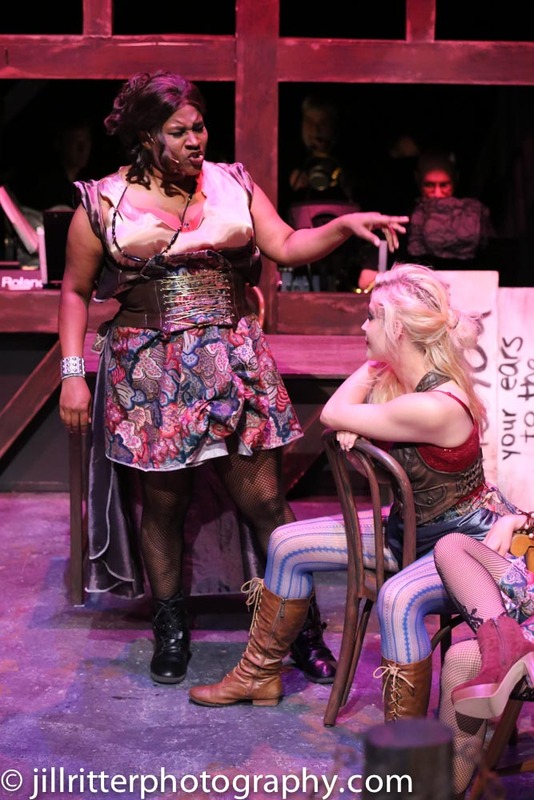 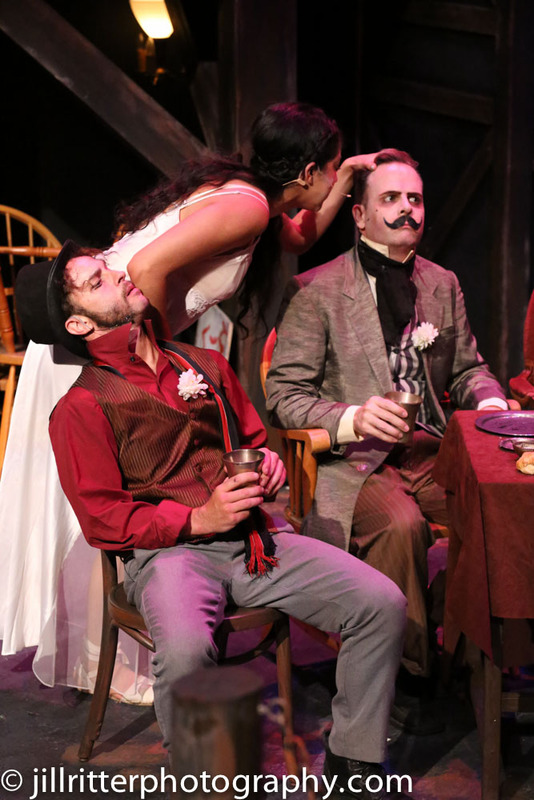 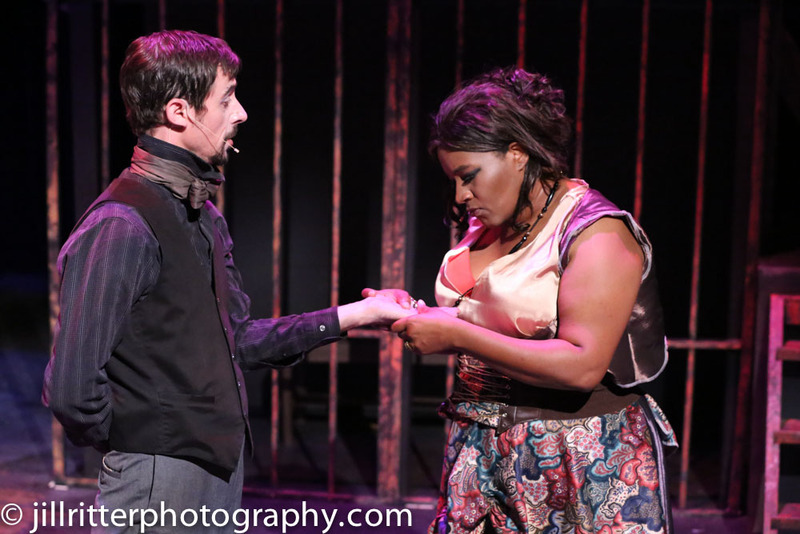 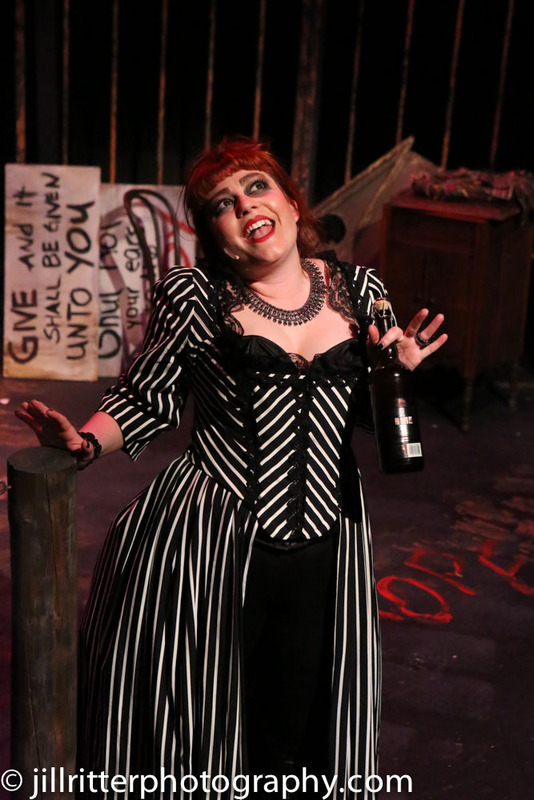 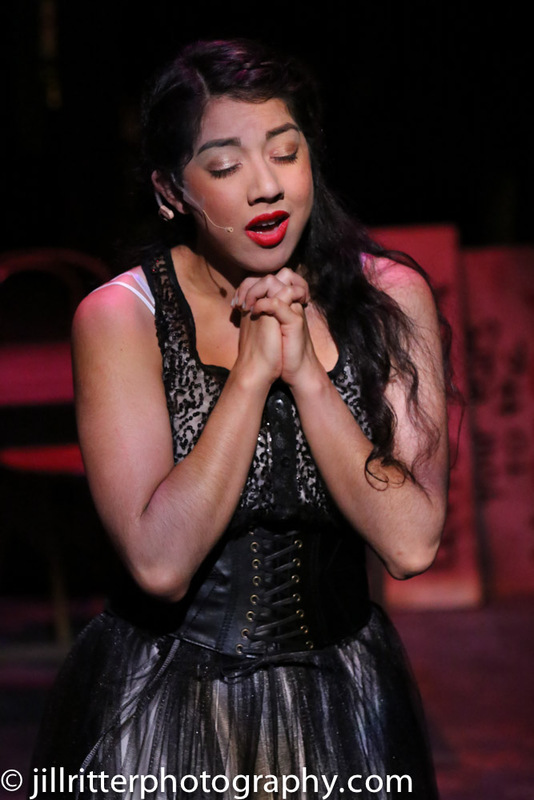 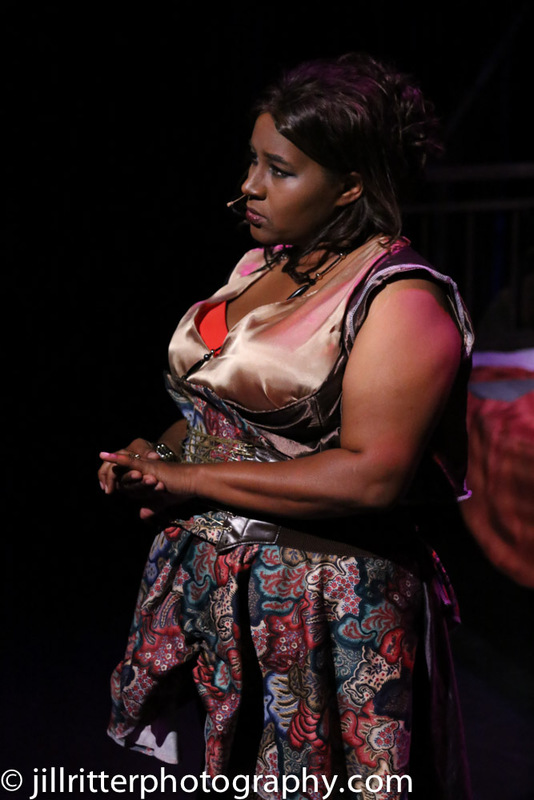 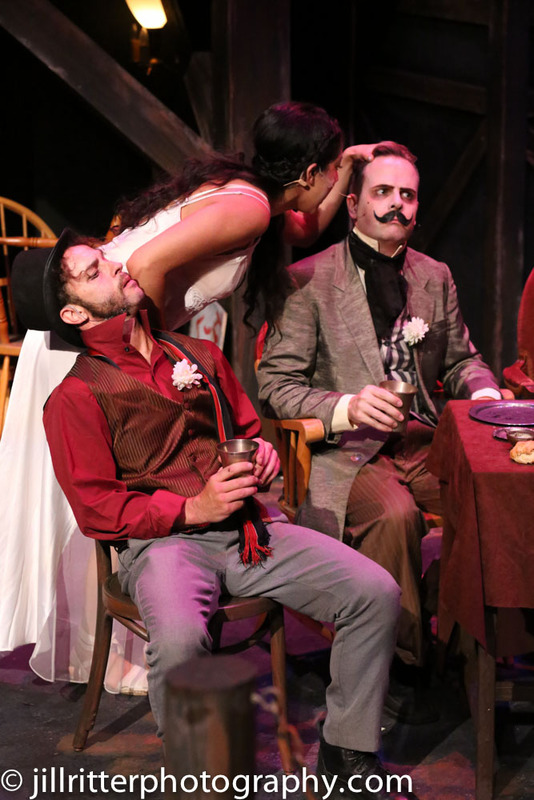 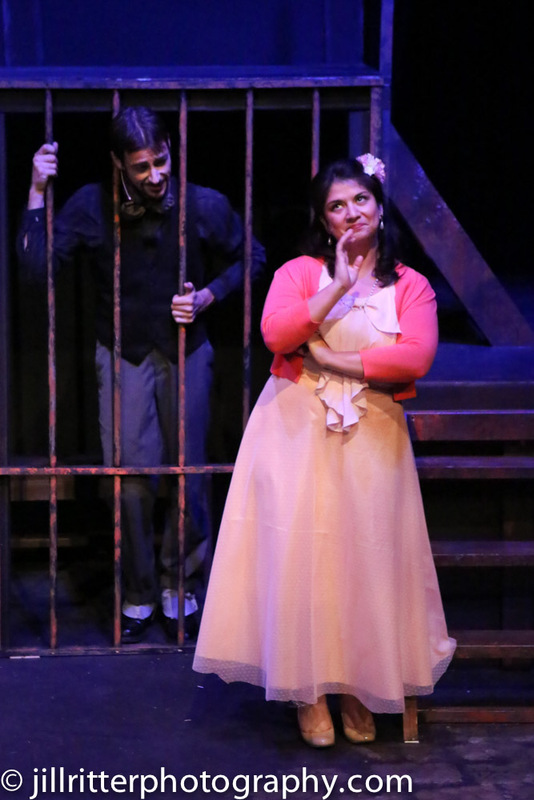 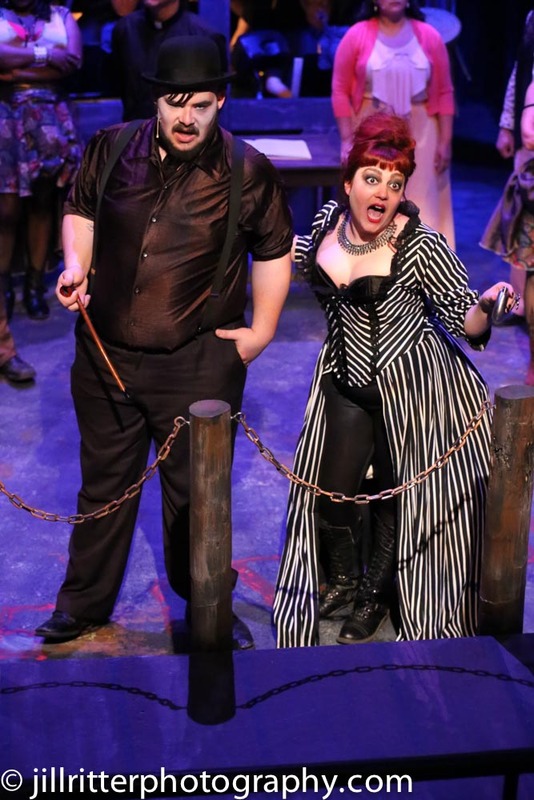 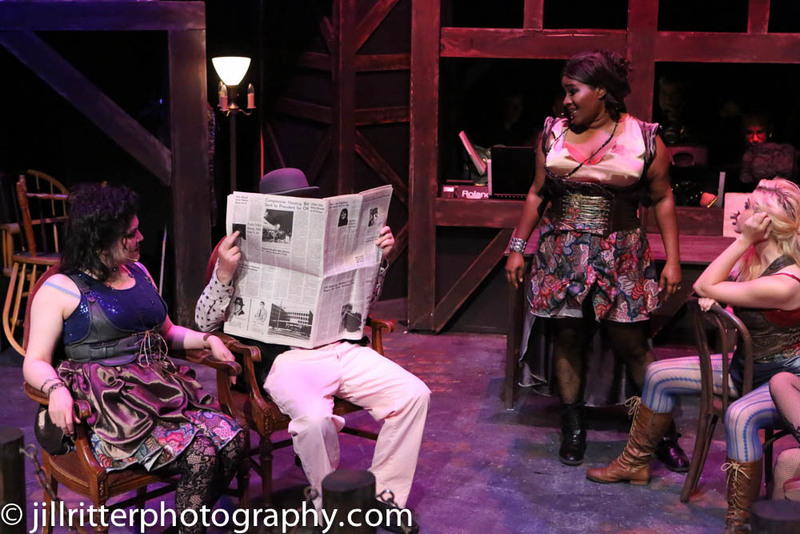 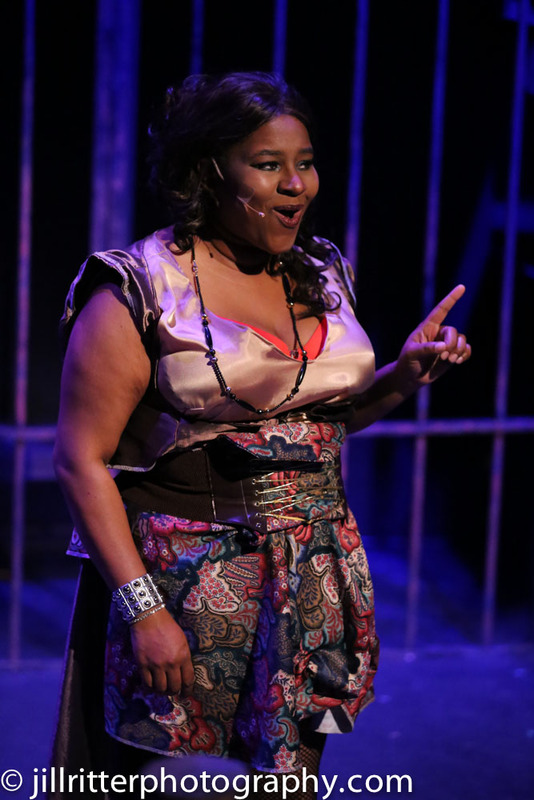 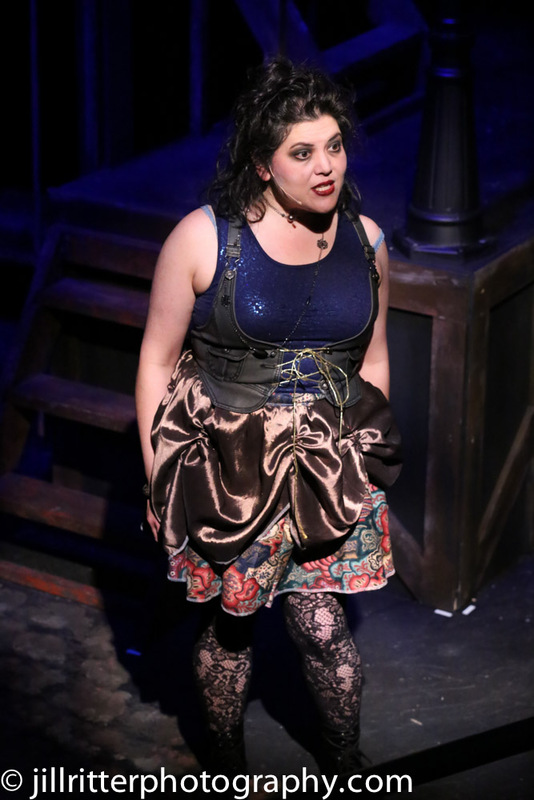 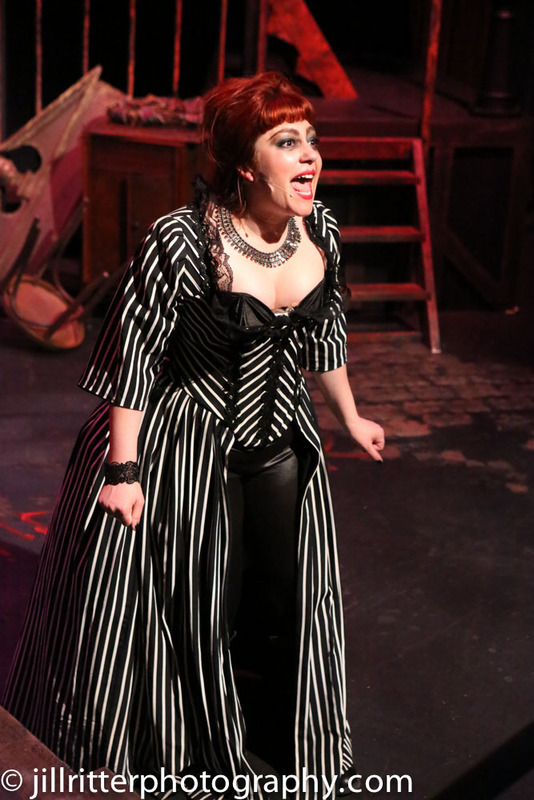 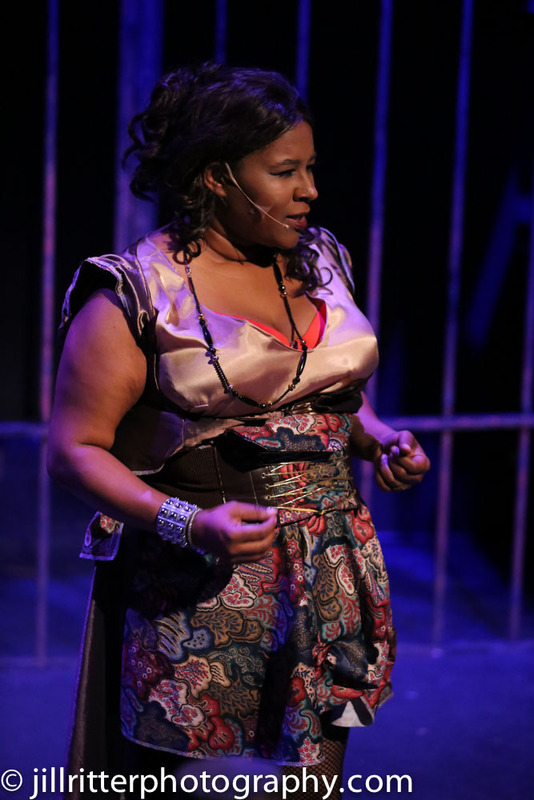 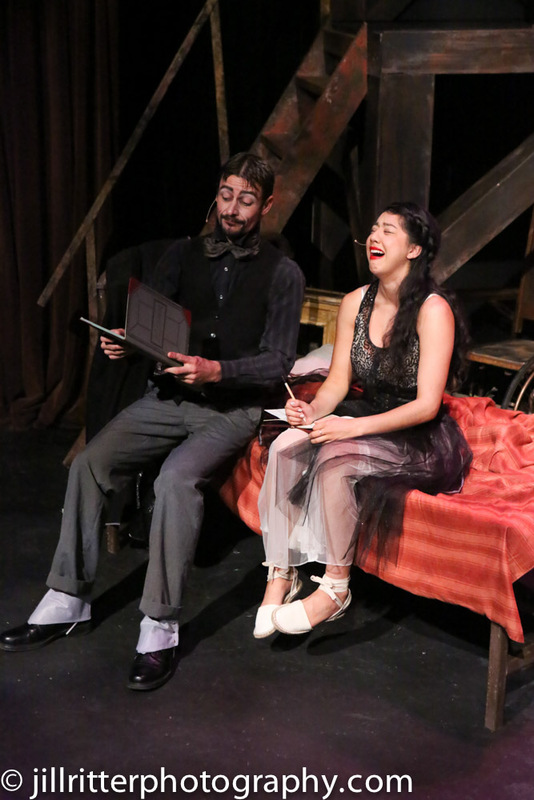 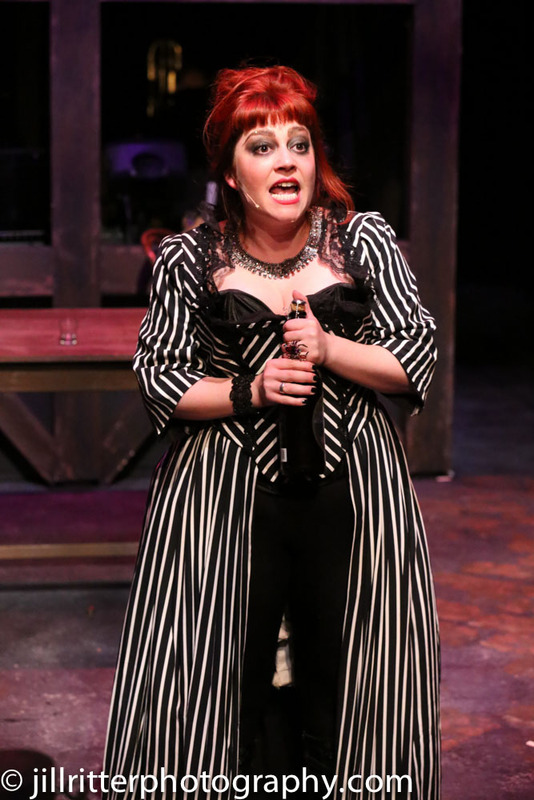 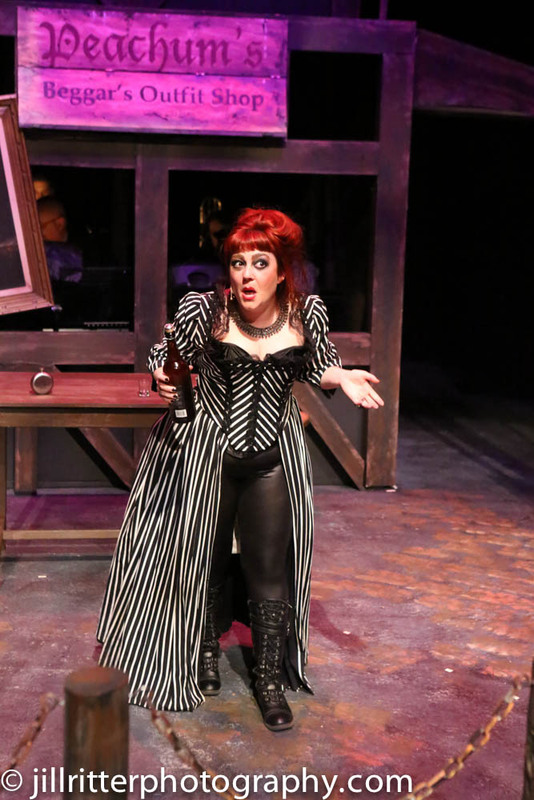 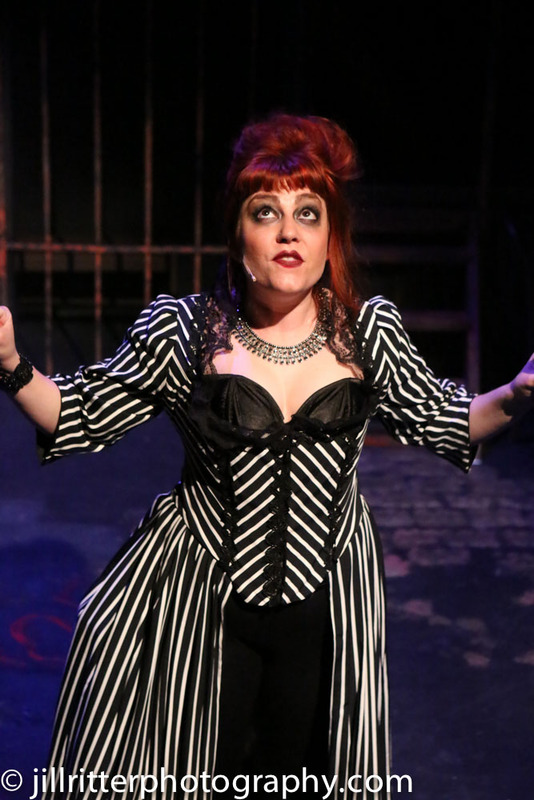 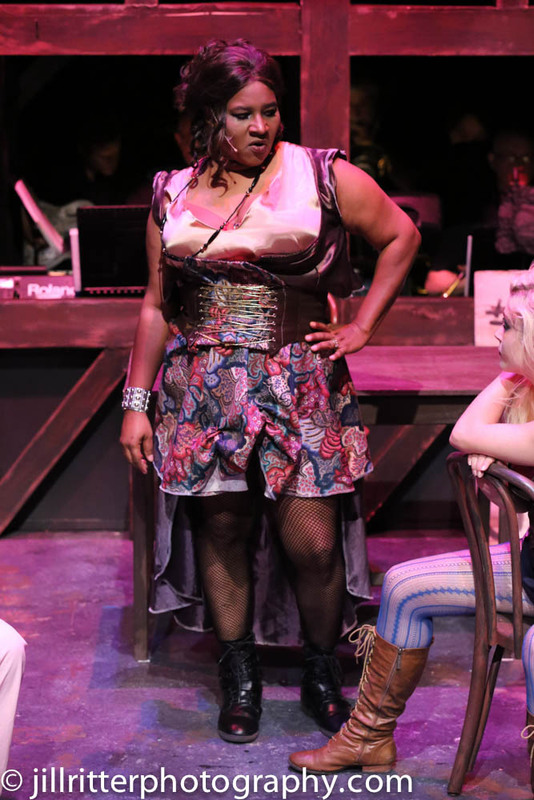 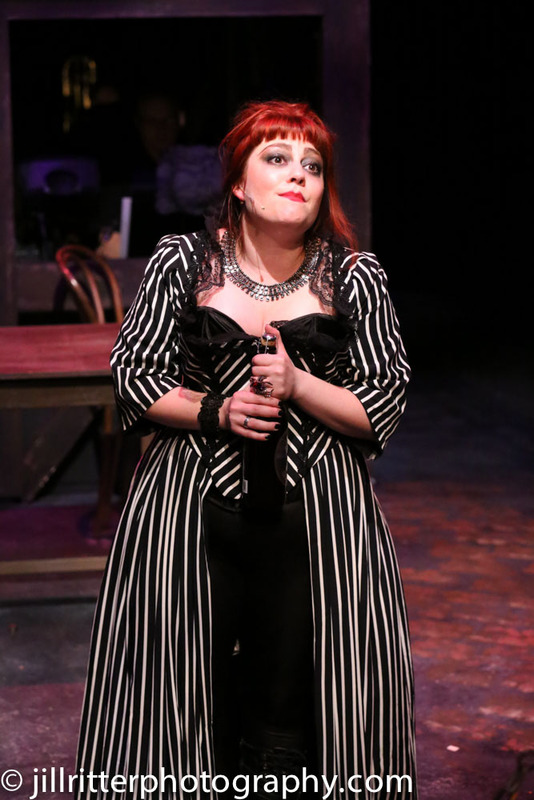 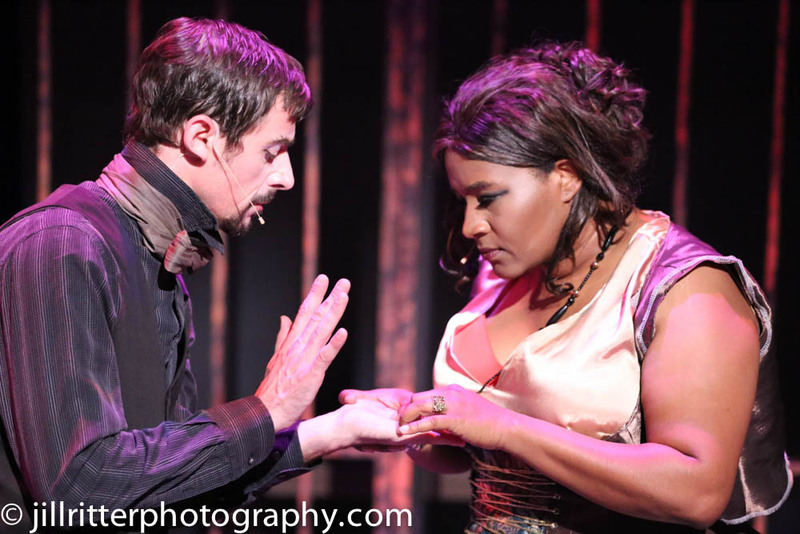 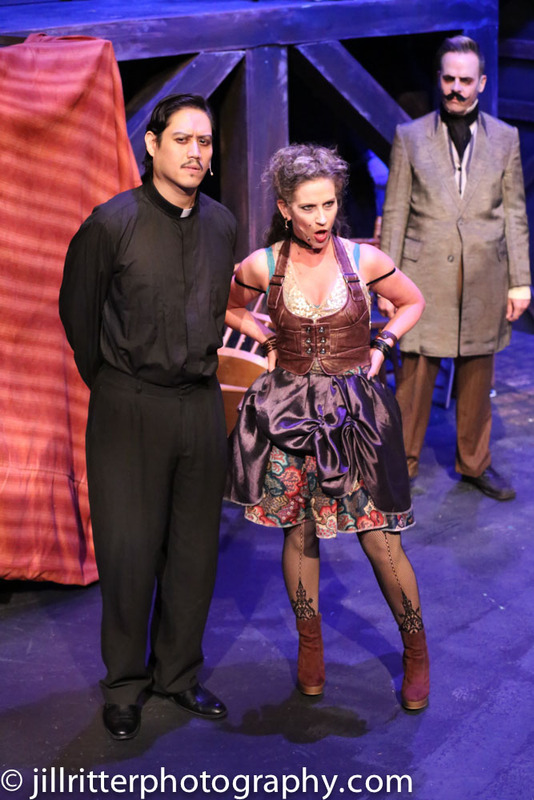 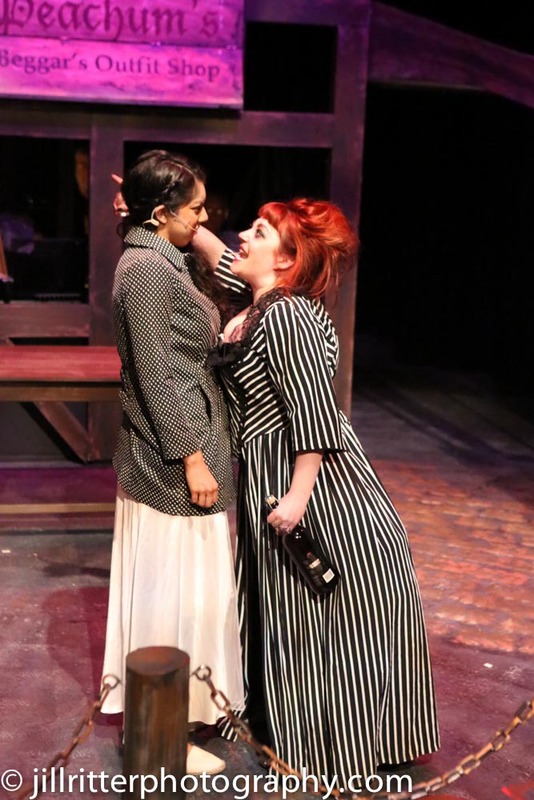 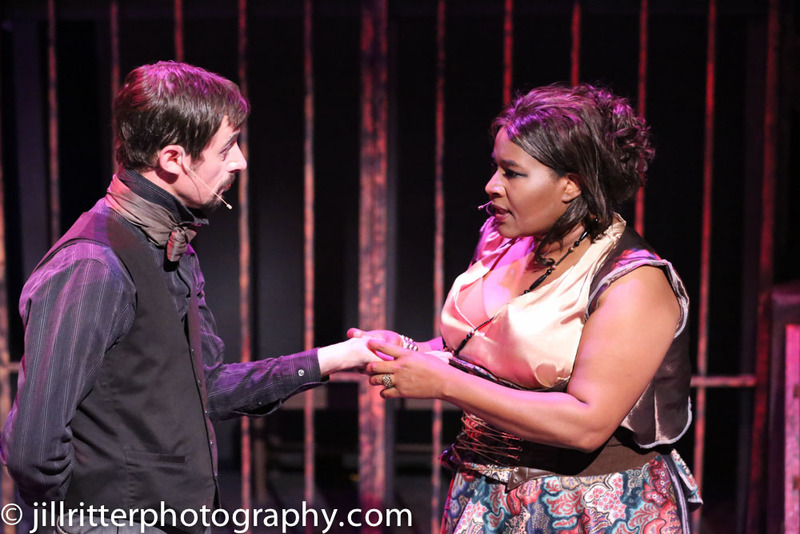 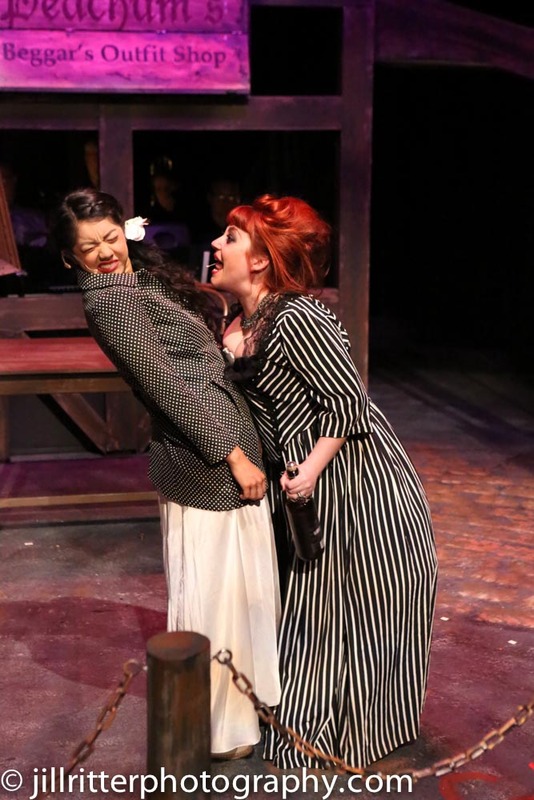 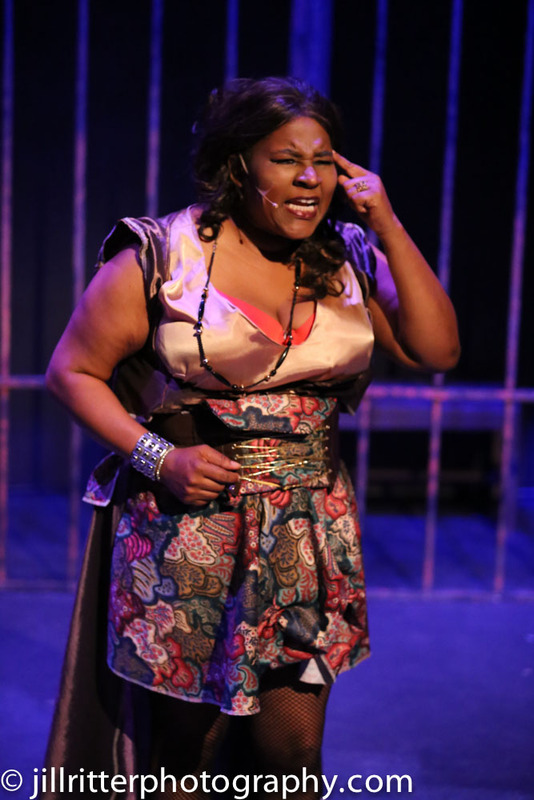 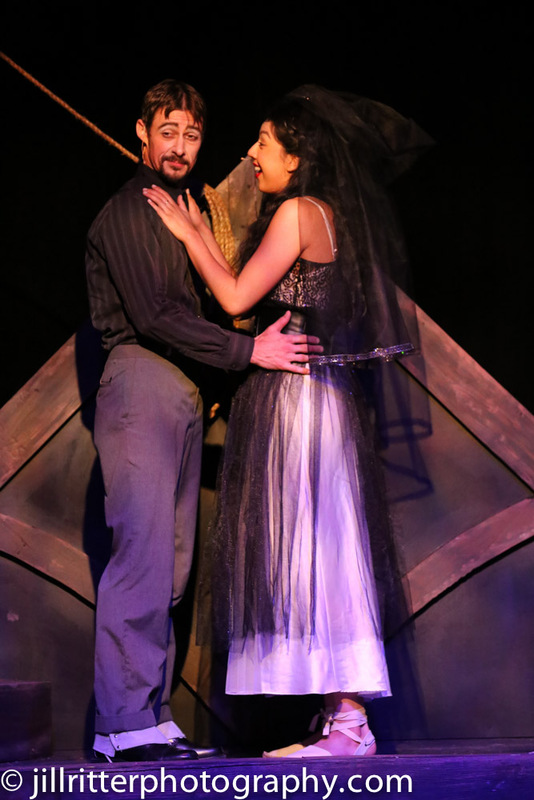 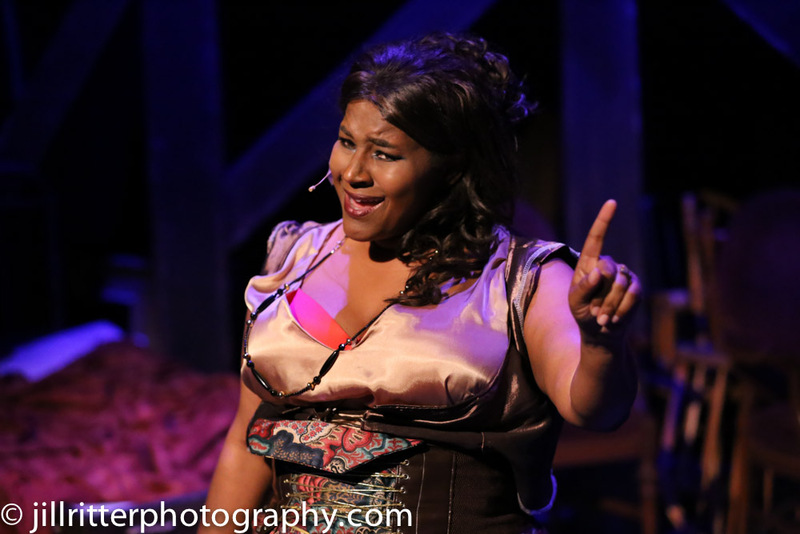 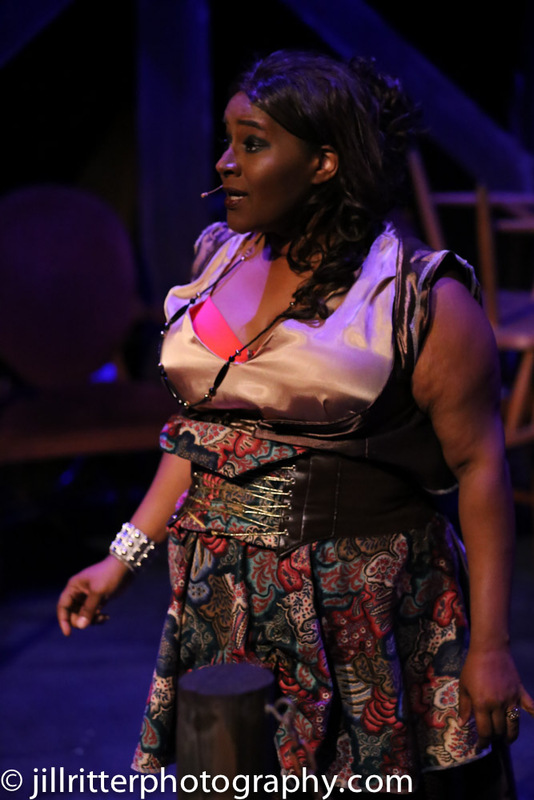 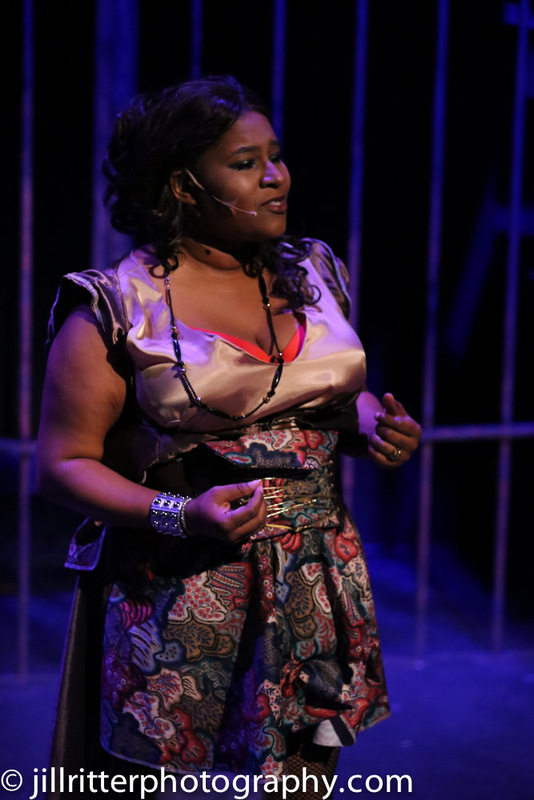 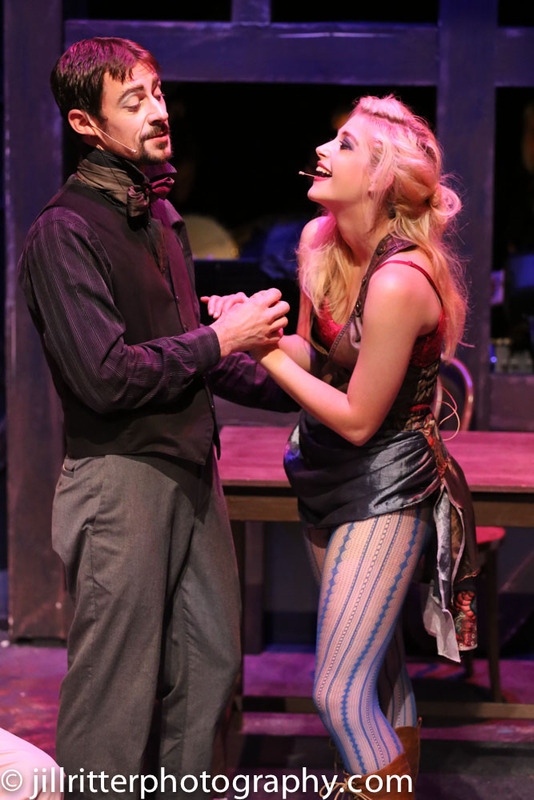 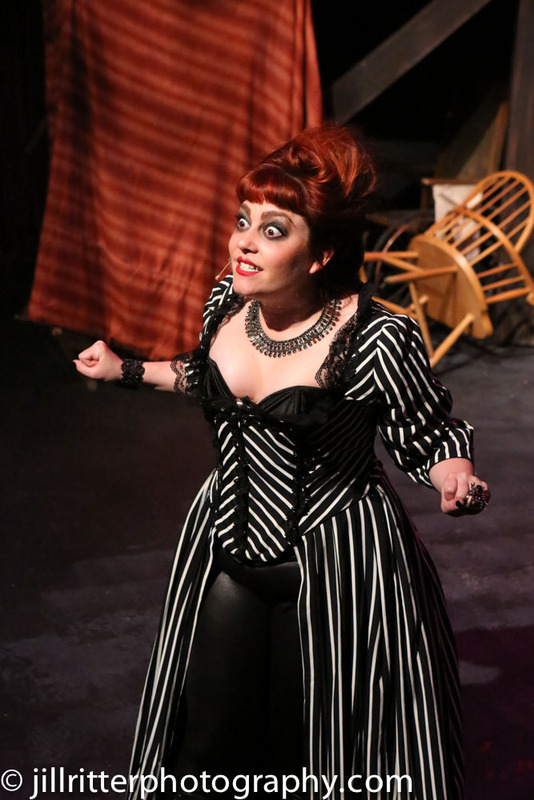 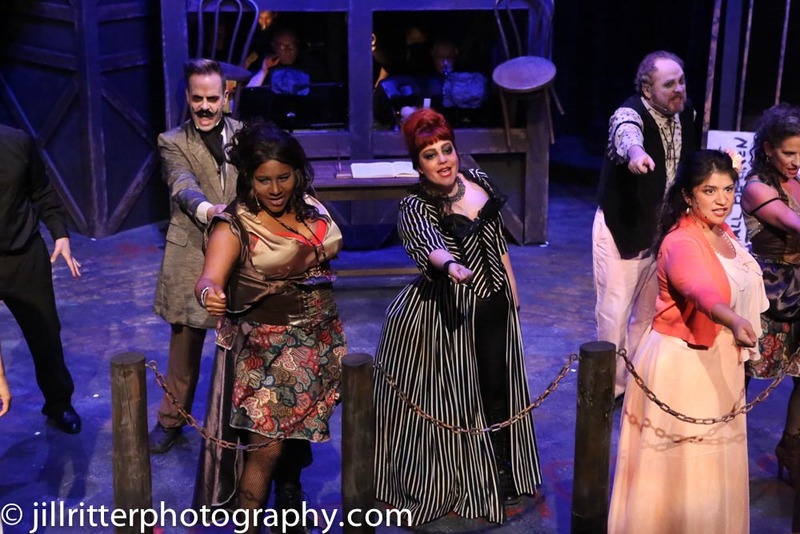 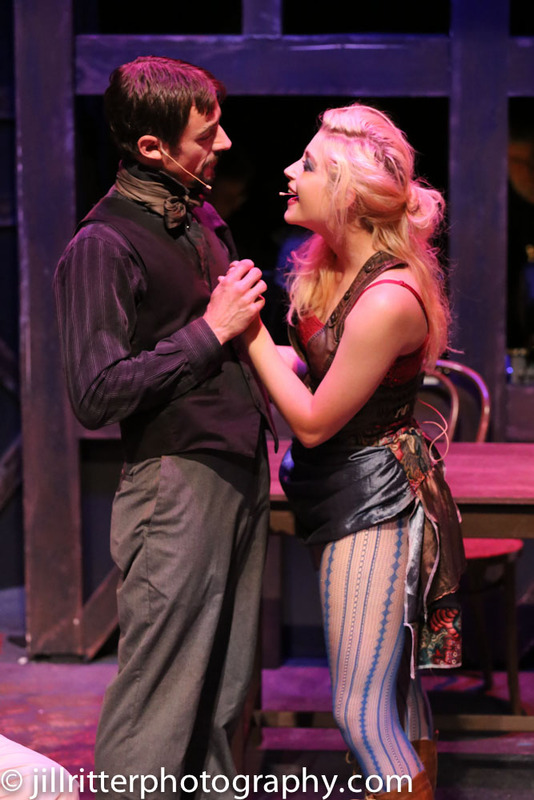 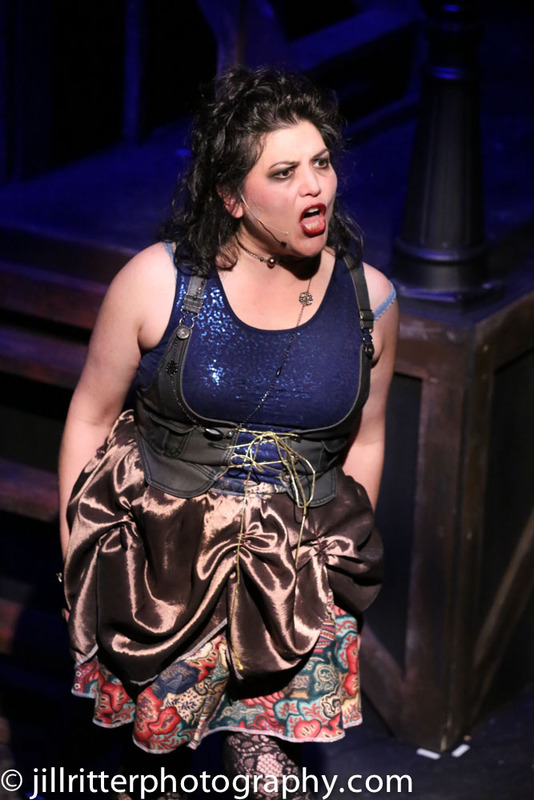 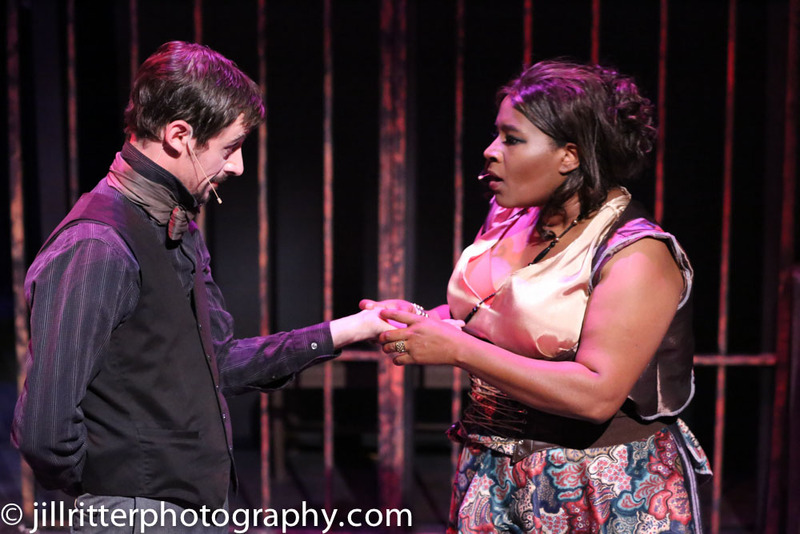 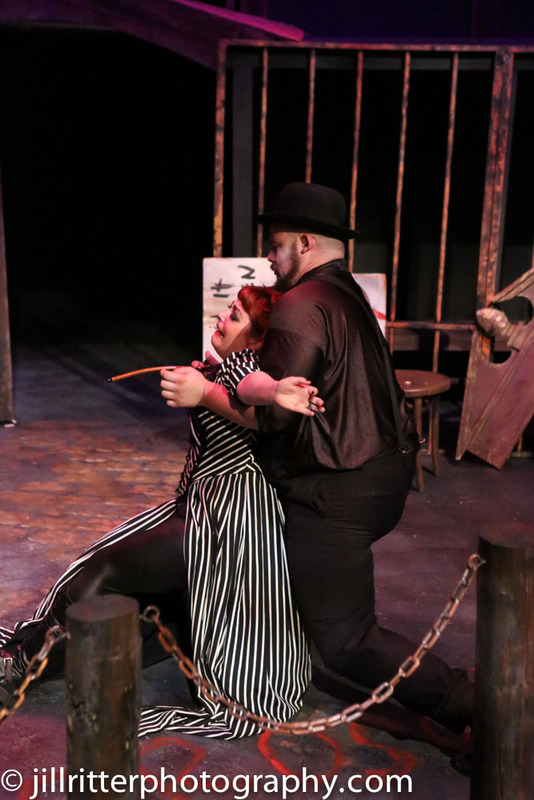 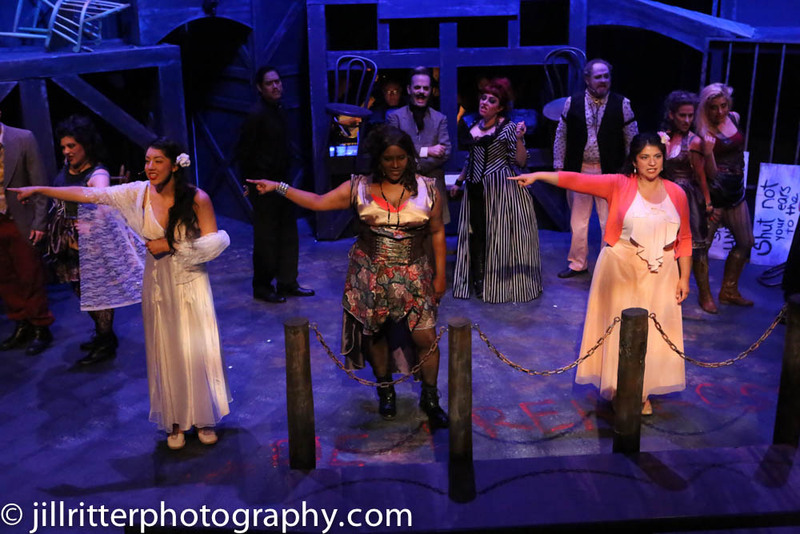 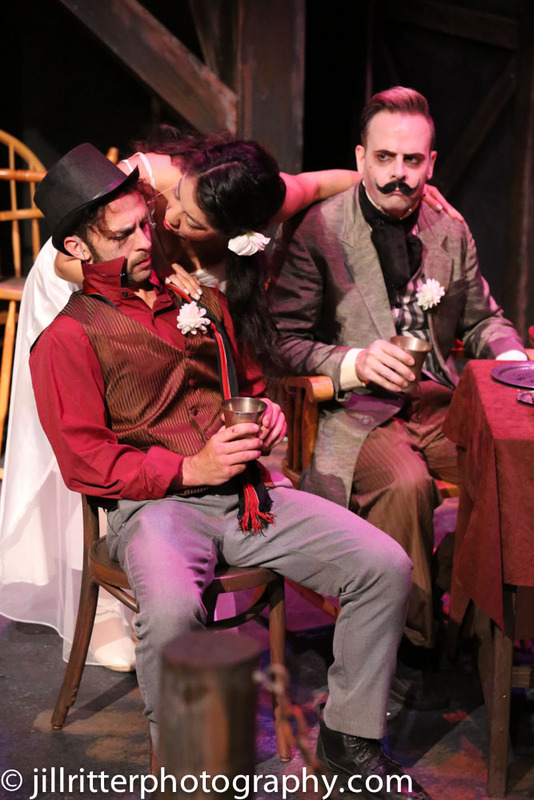 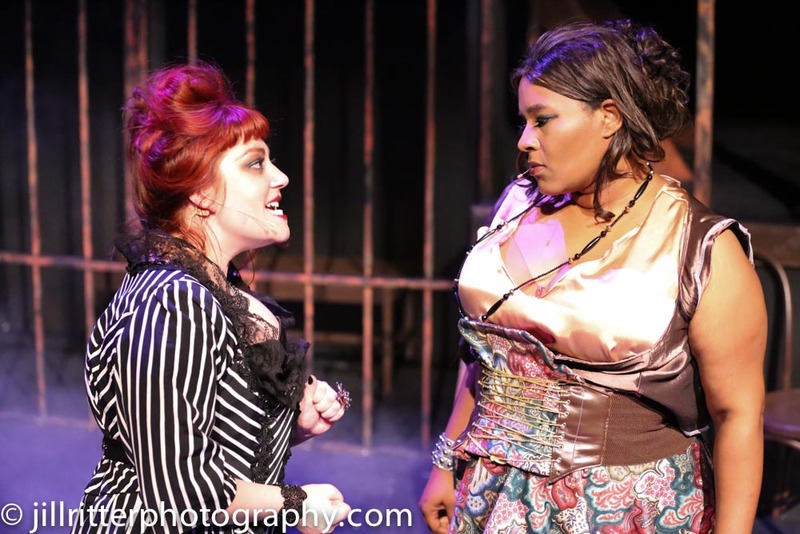 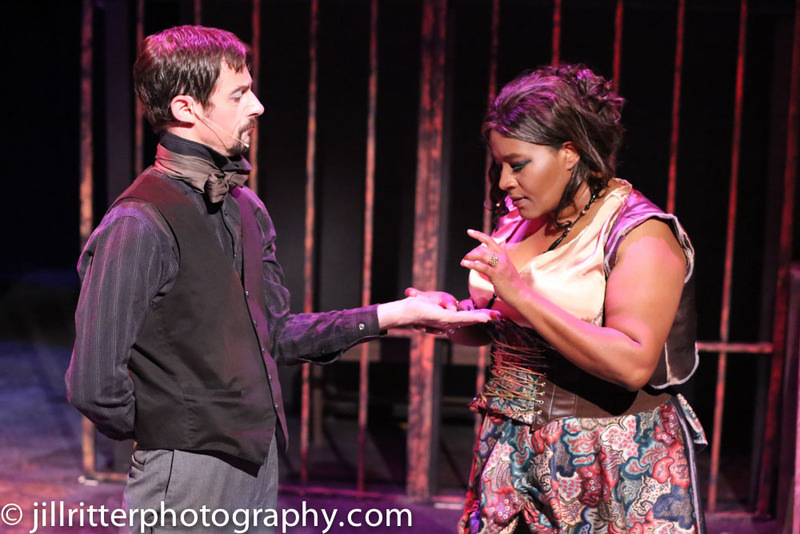 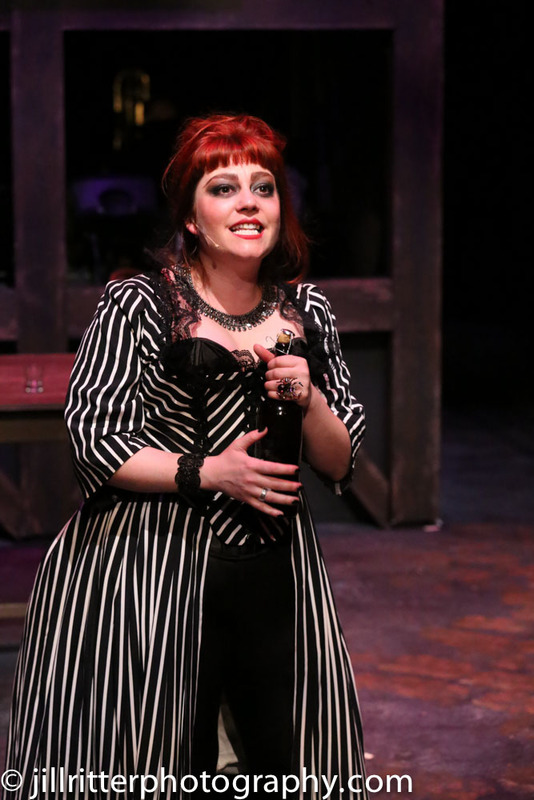 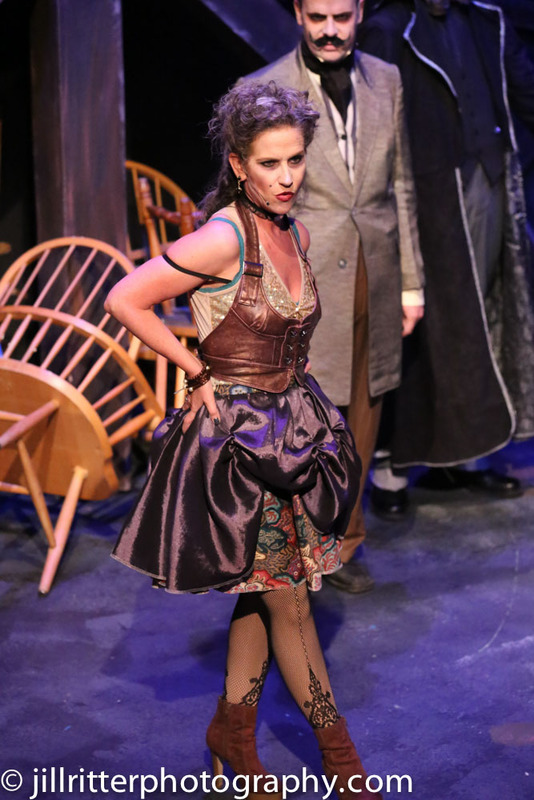 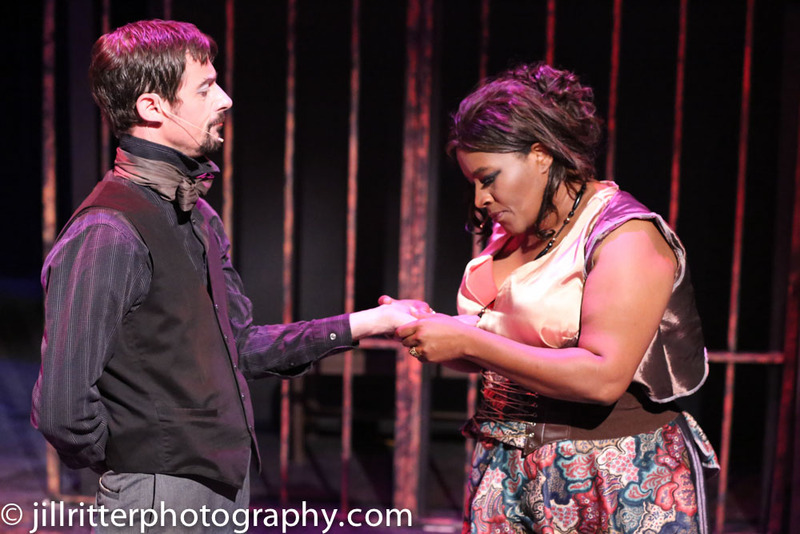 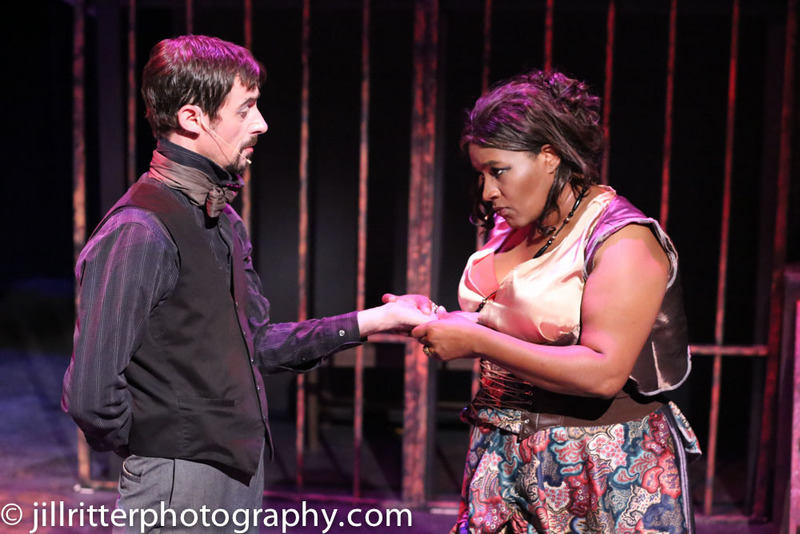 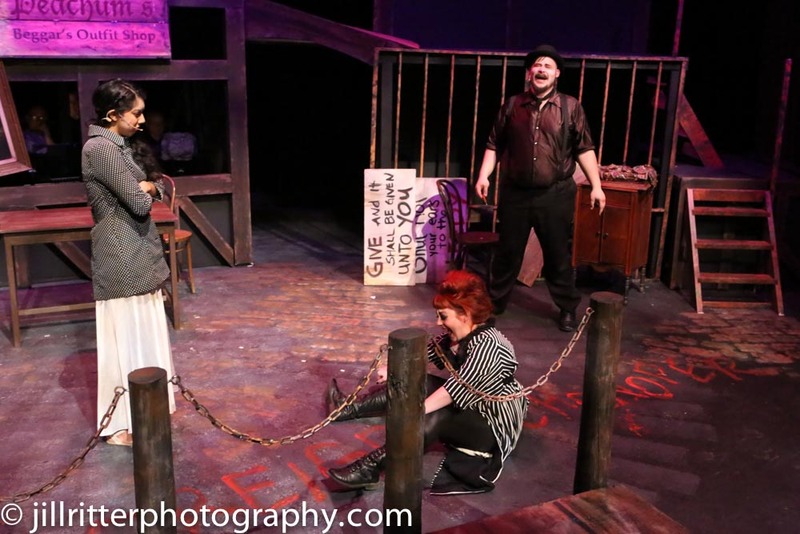 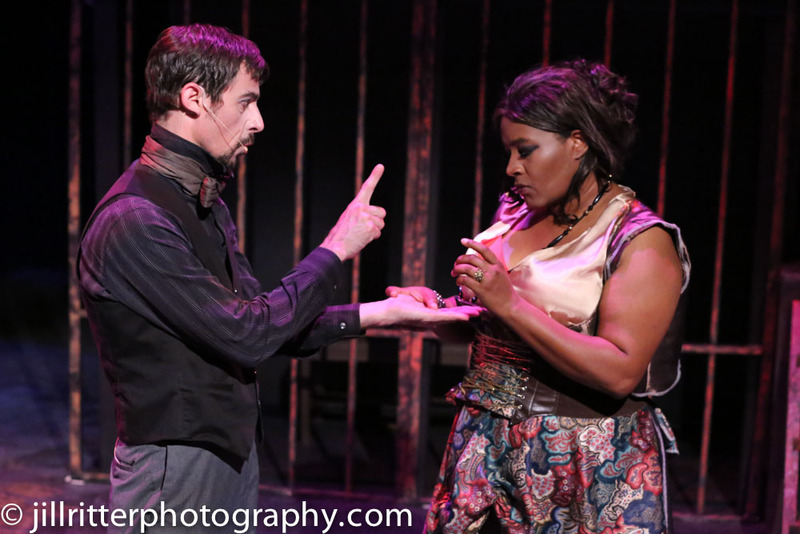 Consistently surprising, eminently rewarding and endlessly fascinating, New Line’s Threepenny Opera was the show that set a new standard for St. Louis musical theater. 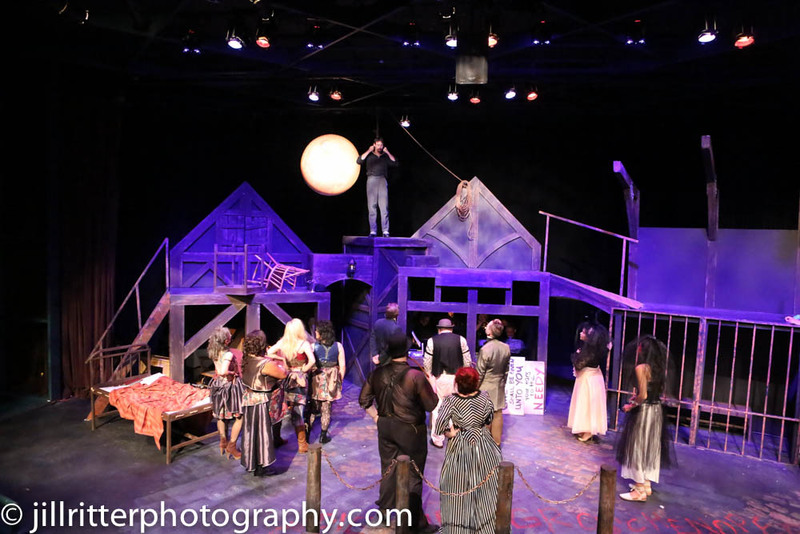 http://www.newlinetheatre.com. 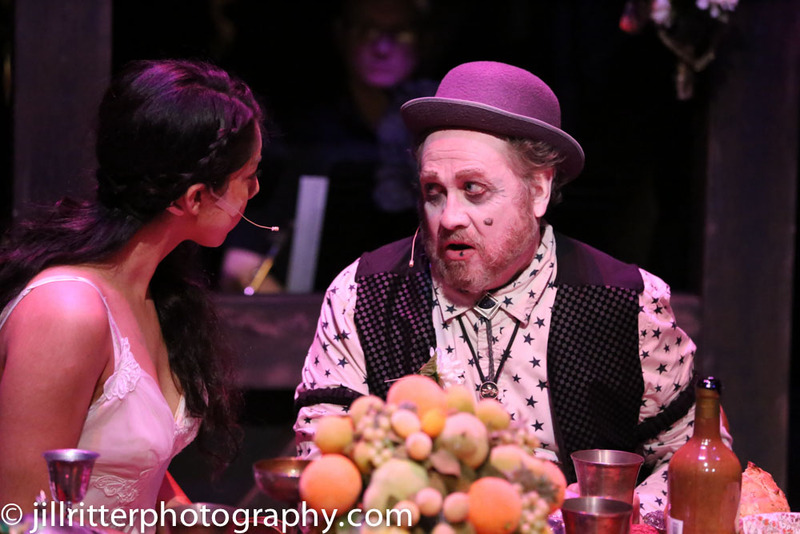 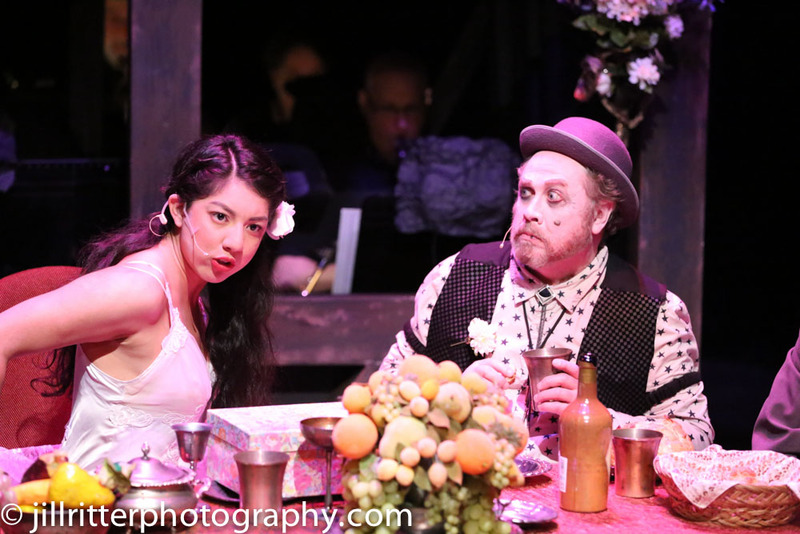 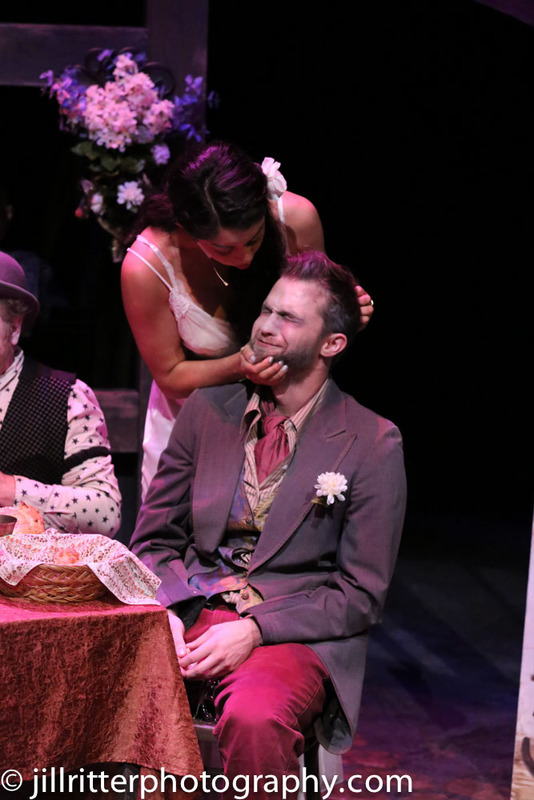 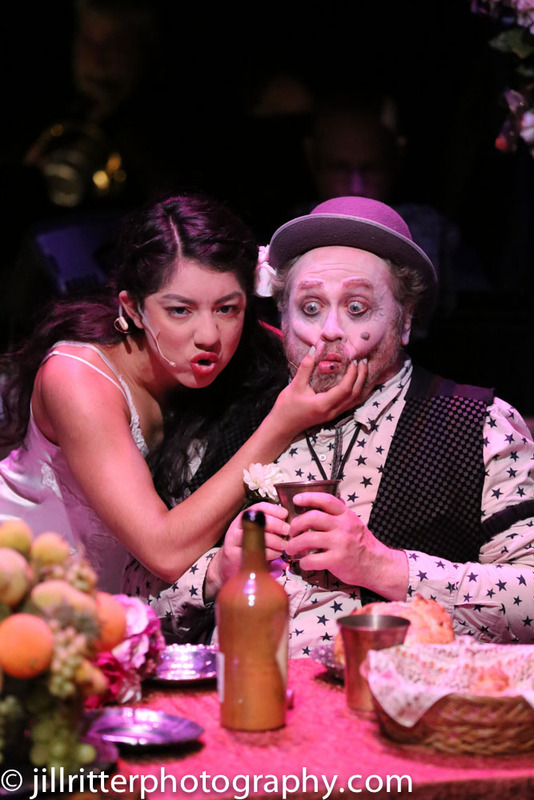 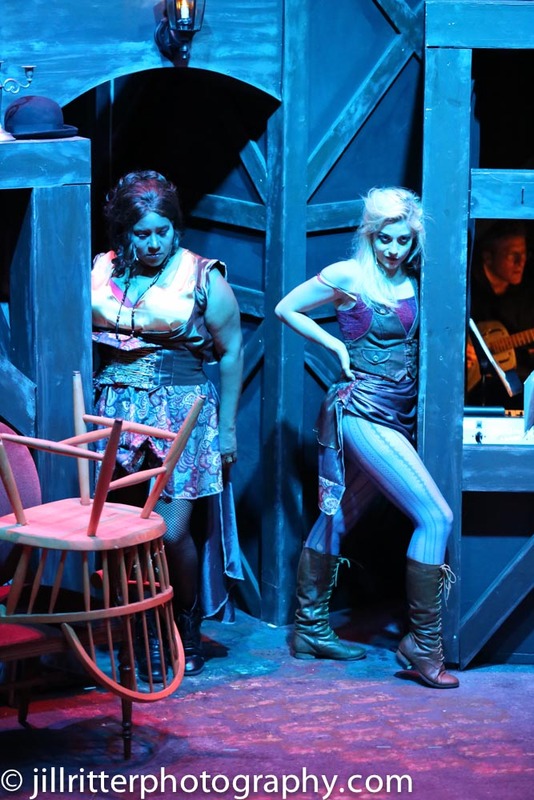 The granddaddy of dark, decadent musicals, The Threepenny Opera still packs a punch with its biting social commentary that has remained relevant through the ages. 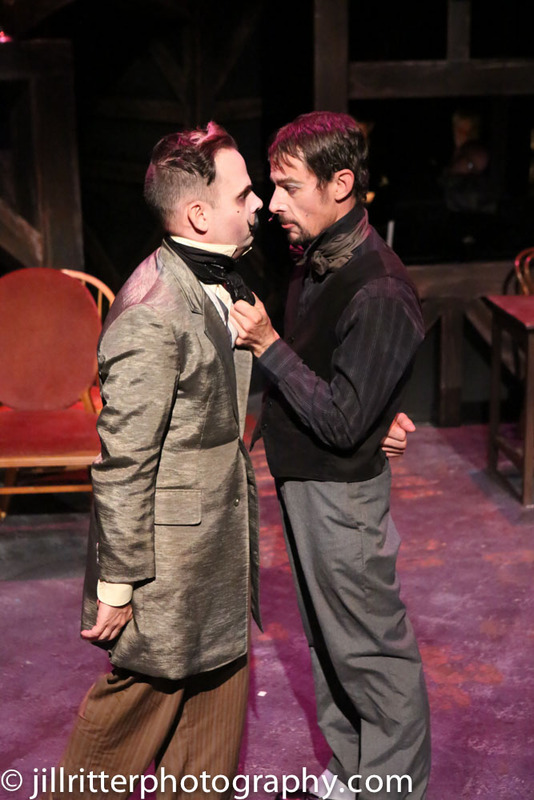 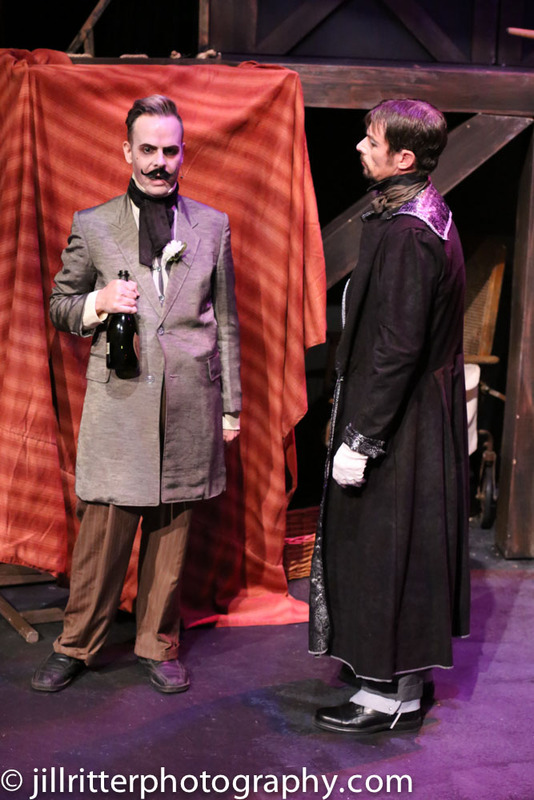 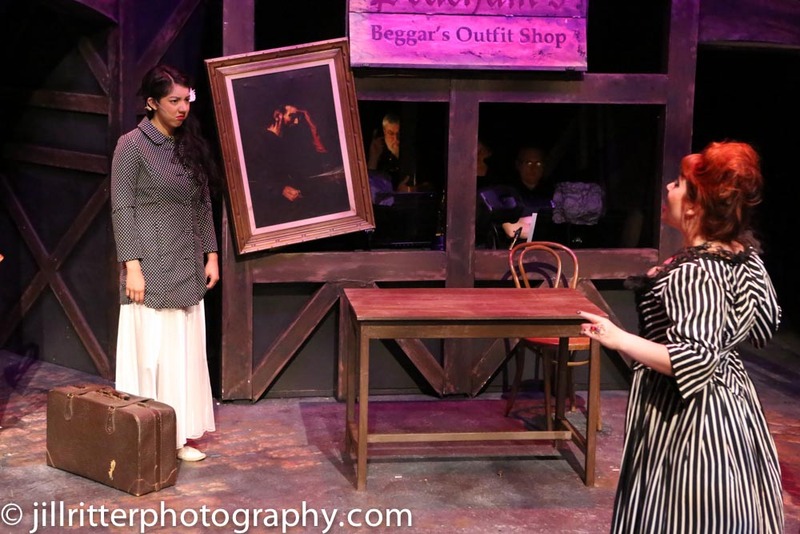 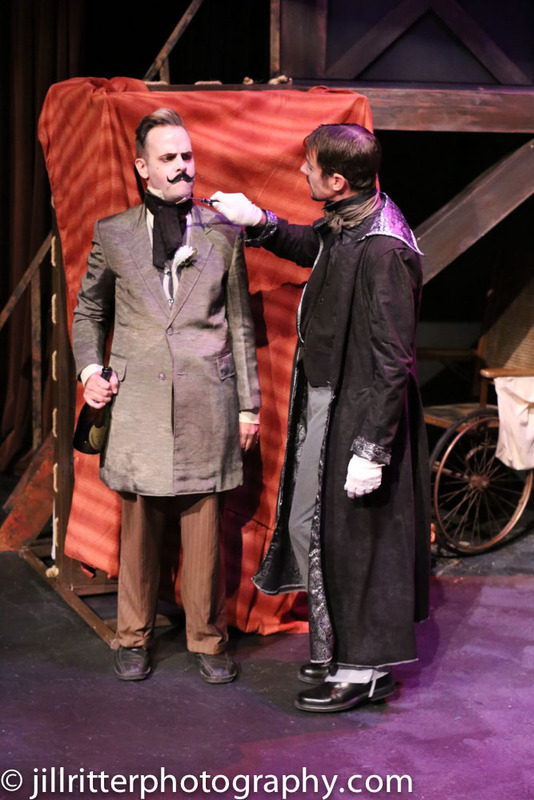 The current production being staged by New Line Theatre is fresh, vital and deliciously subversive, underscoring author Bertolt Brecht’s sly observations that crime does indeed pay, whether for a rogue like Macheath or for the pillars of a society that diminishes the humanity of the less fortunate. 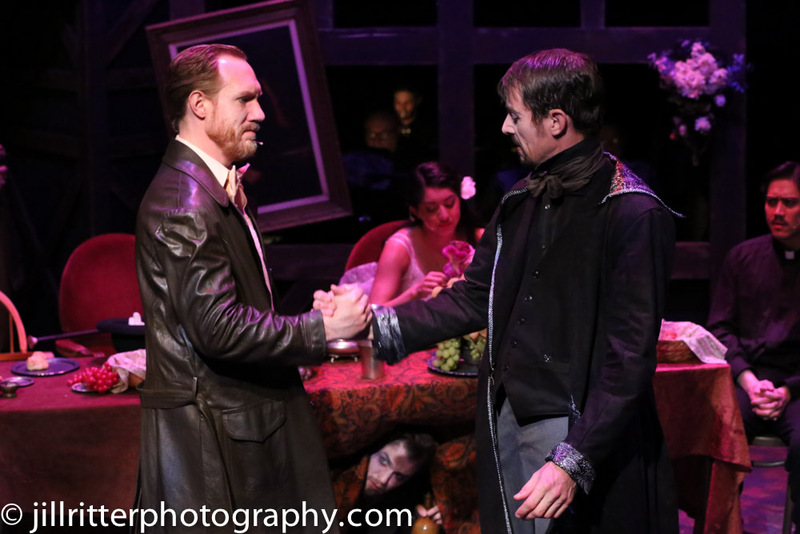 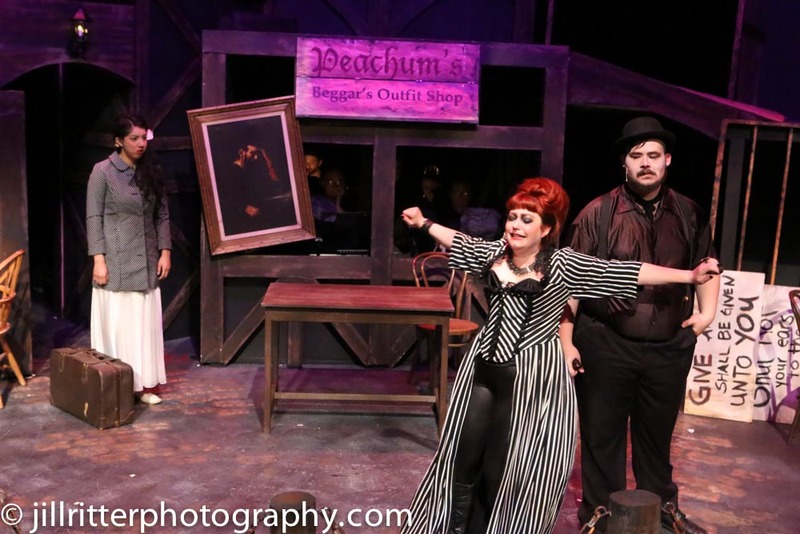 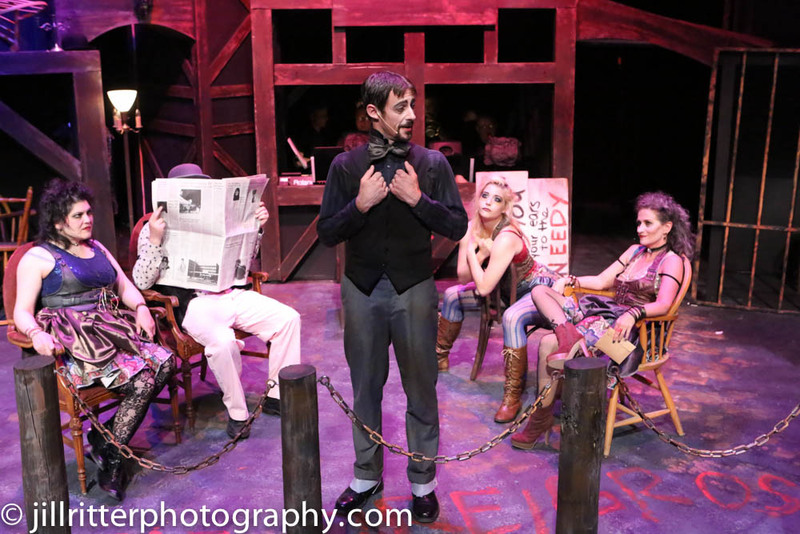 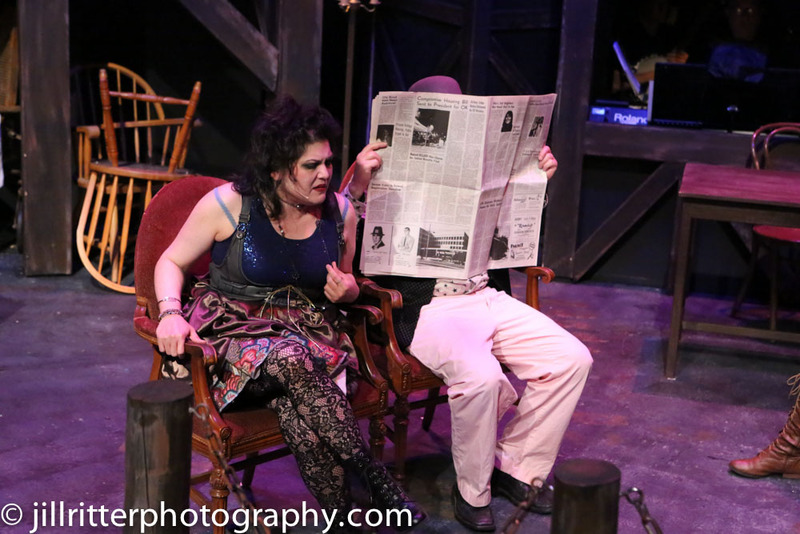 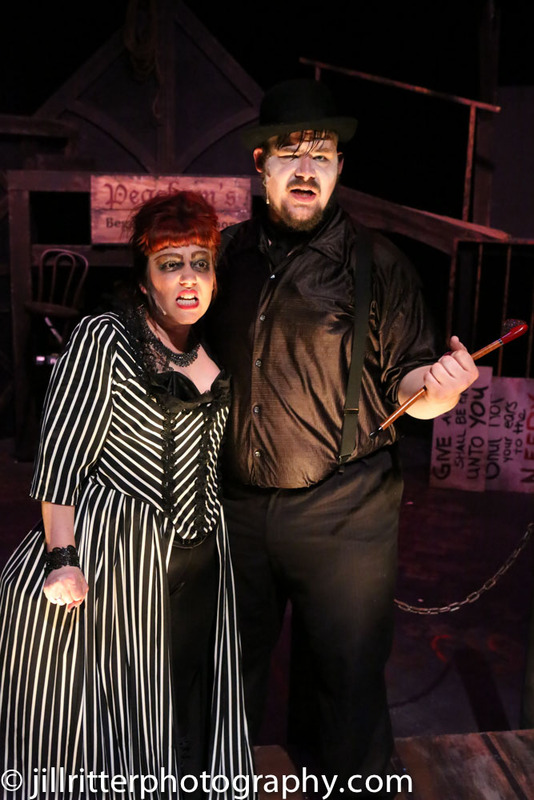 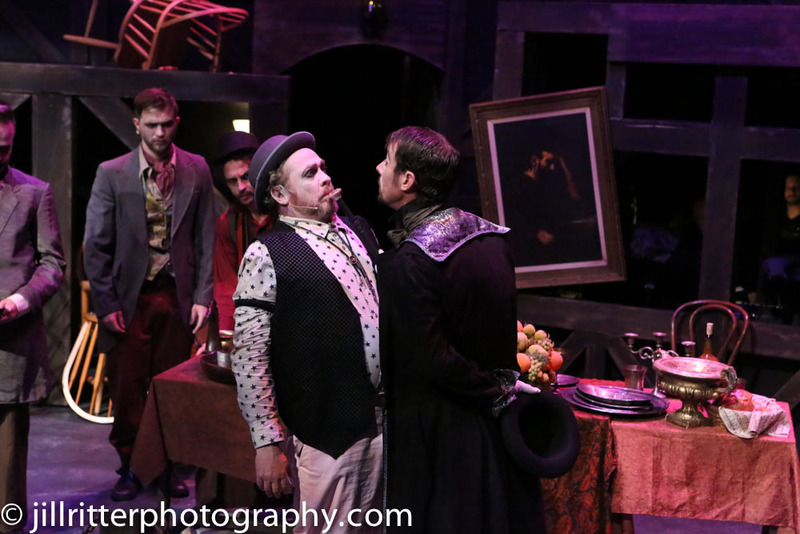 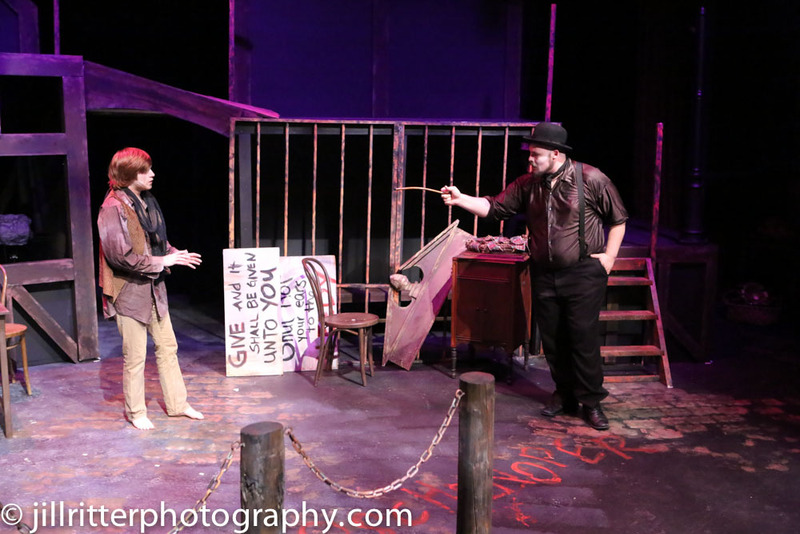 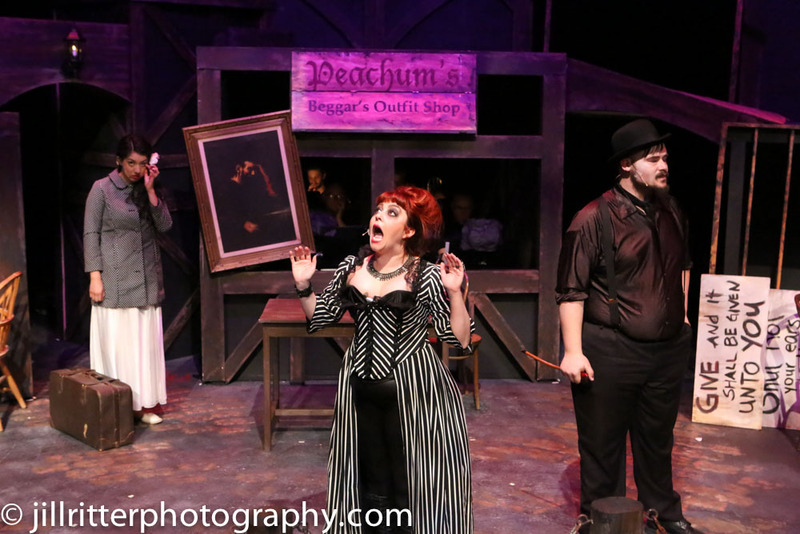 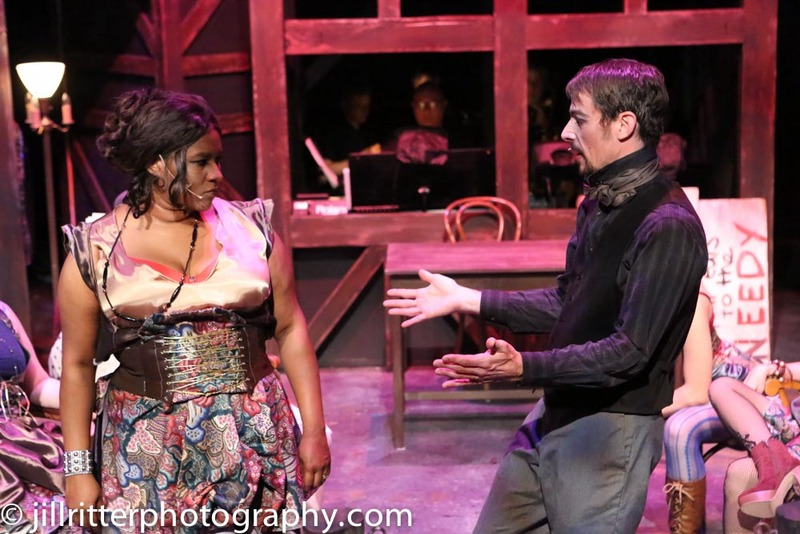 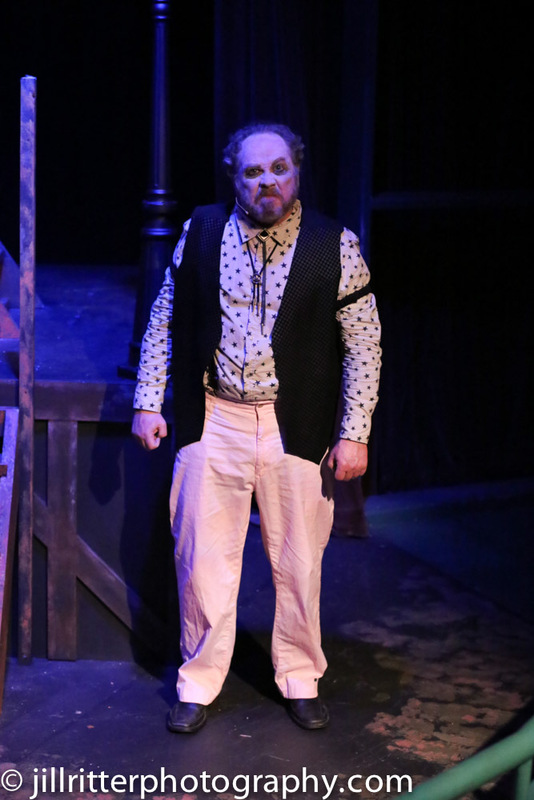 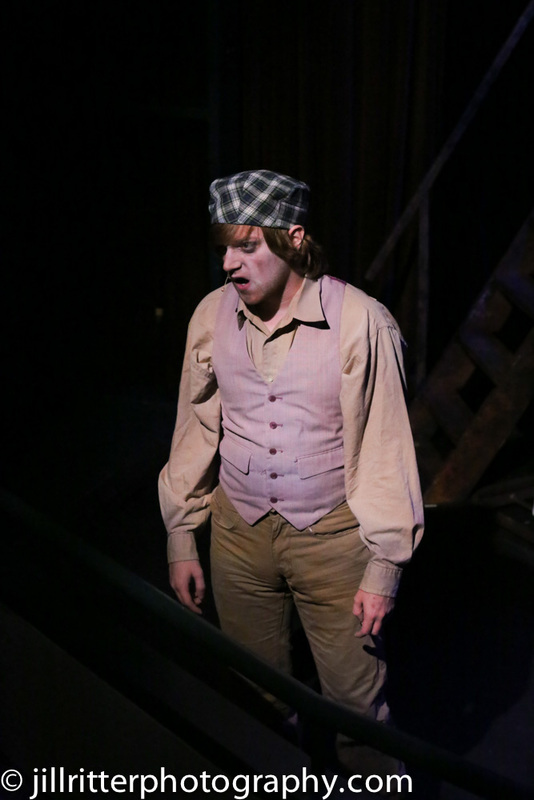 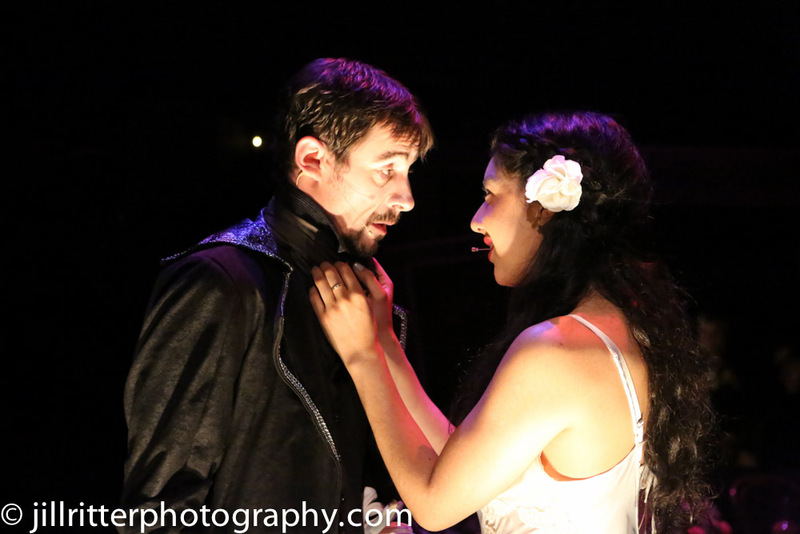 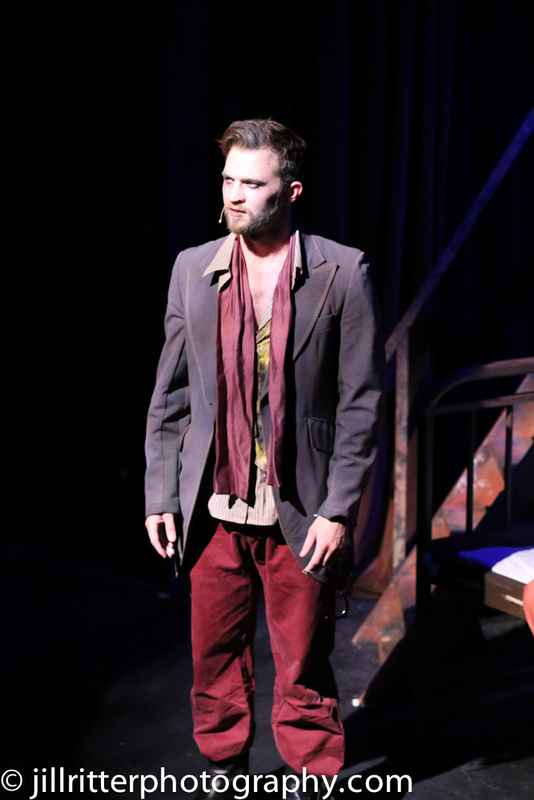 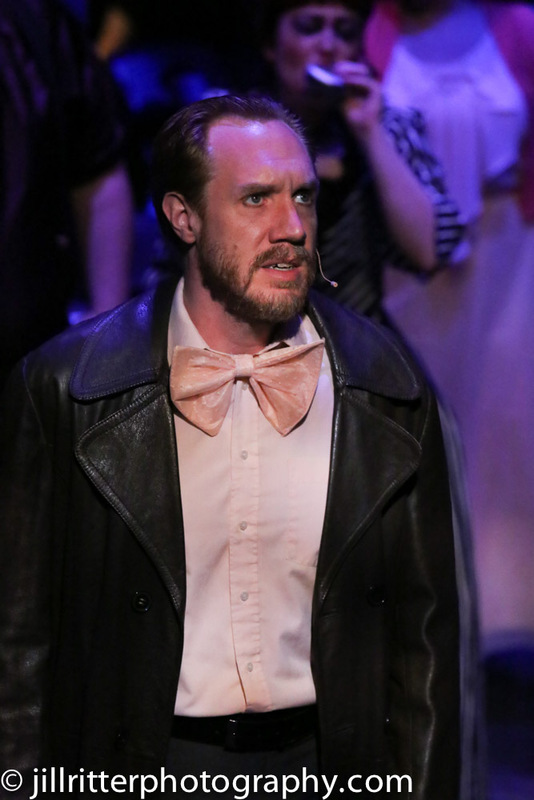 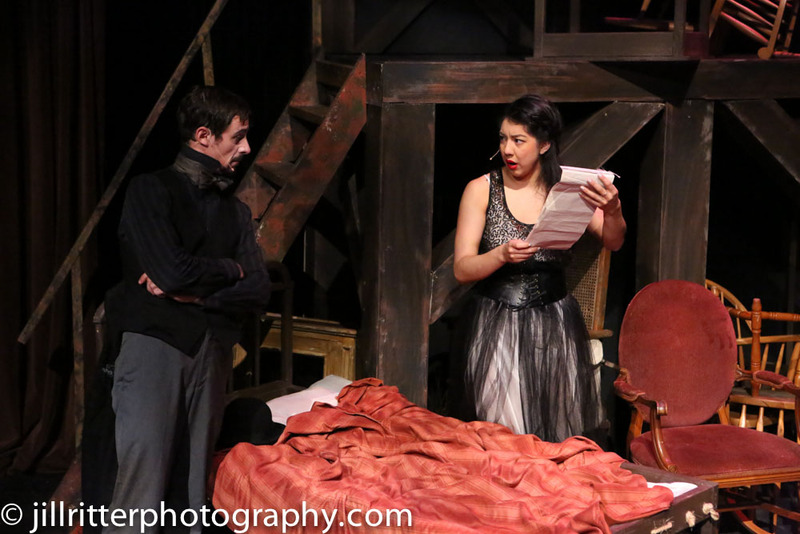 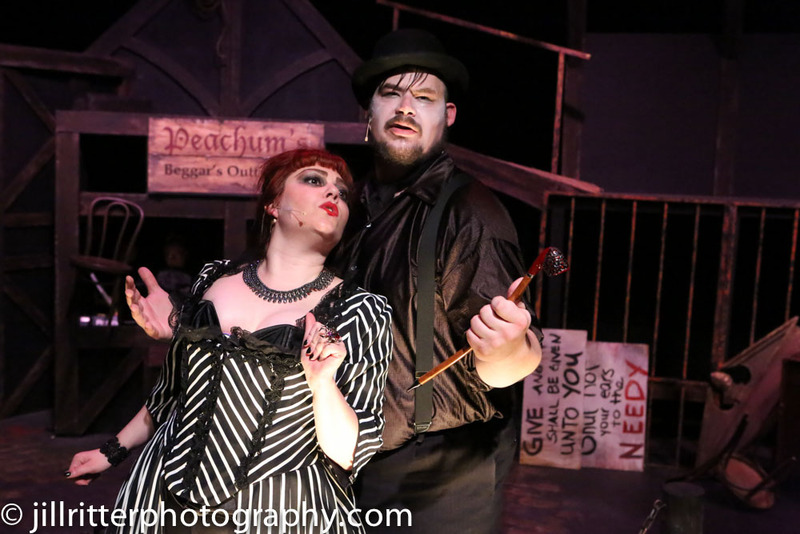 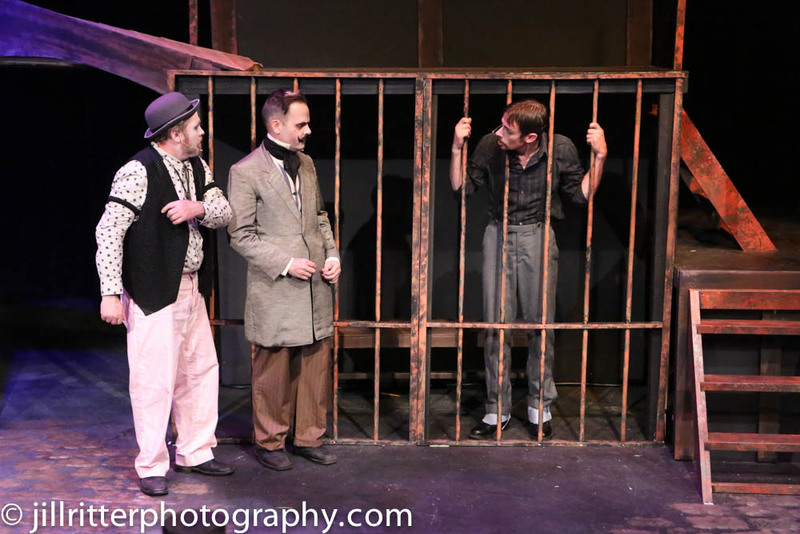 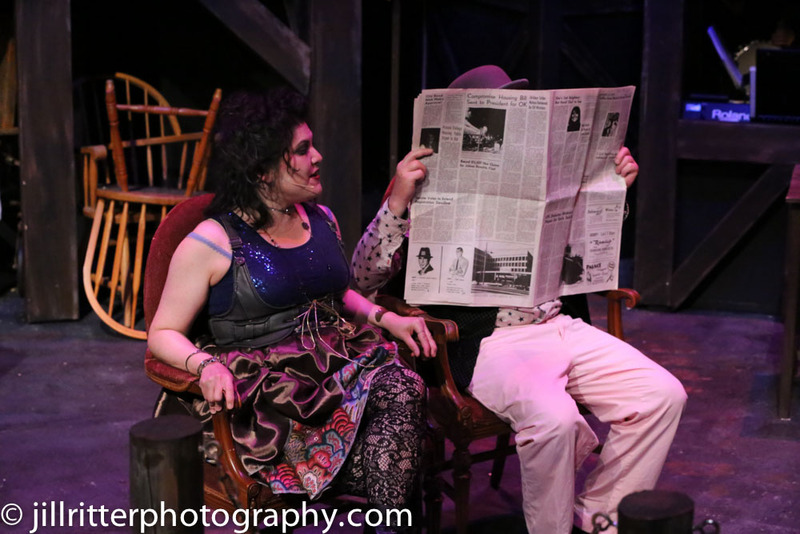 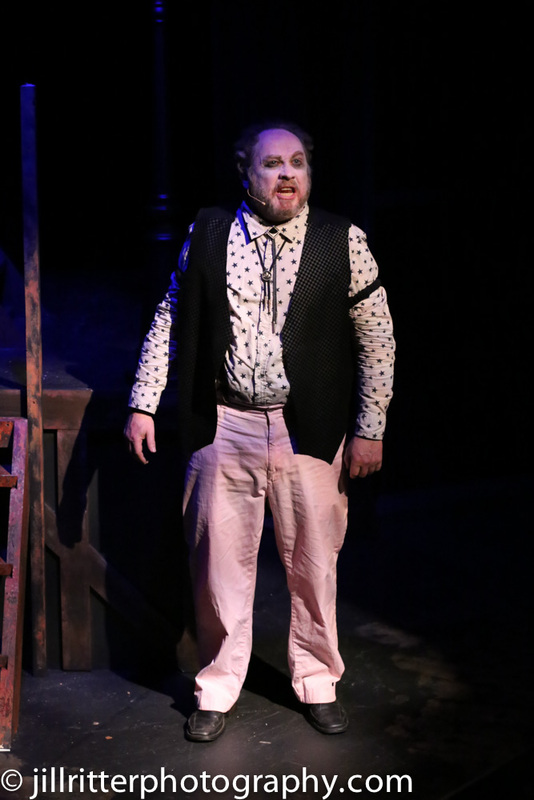 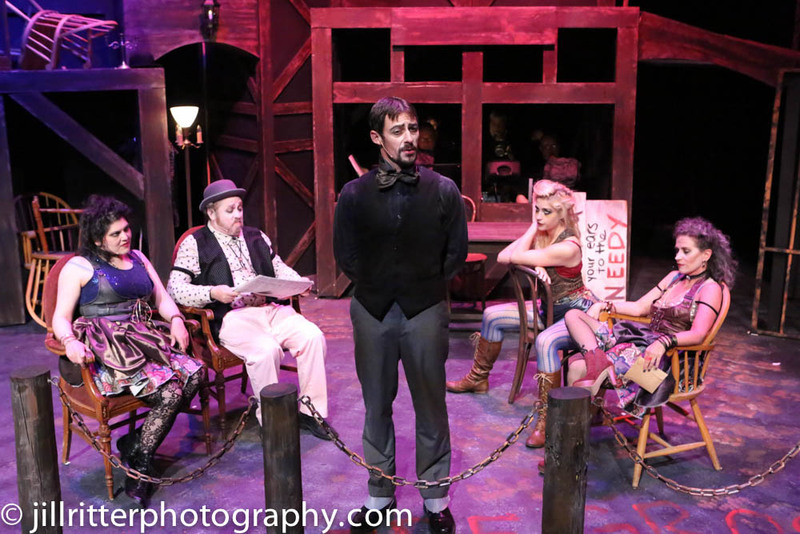 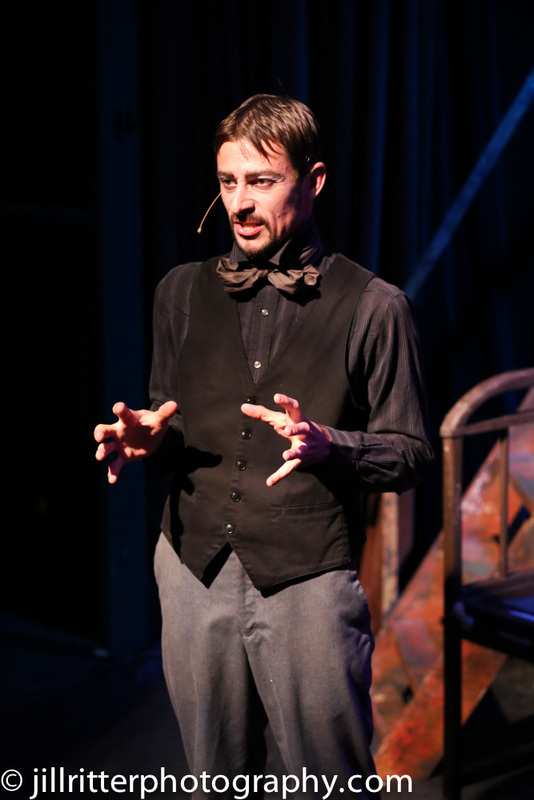 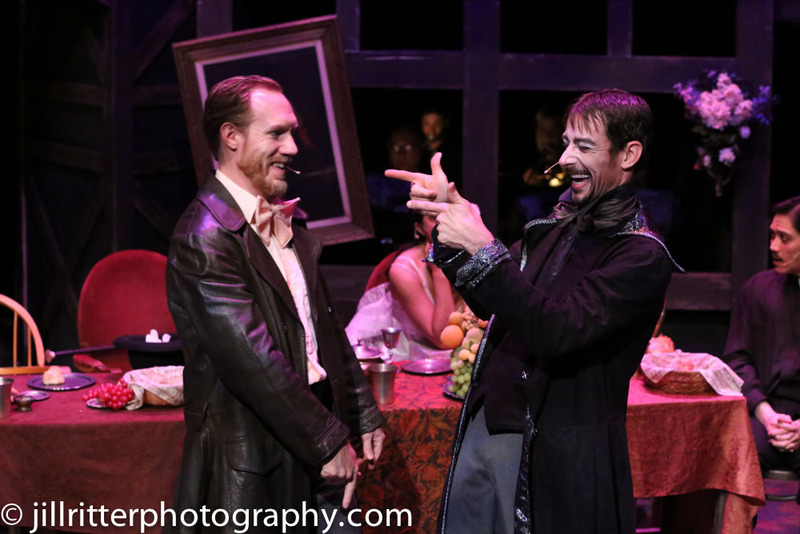 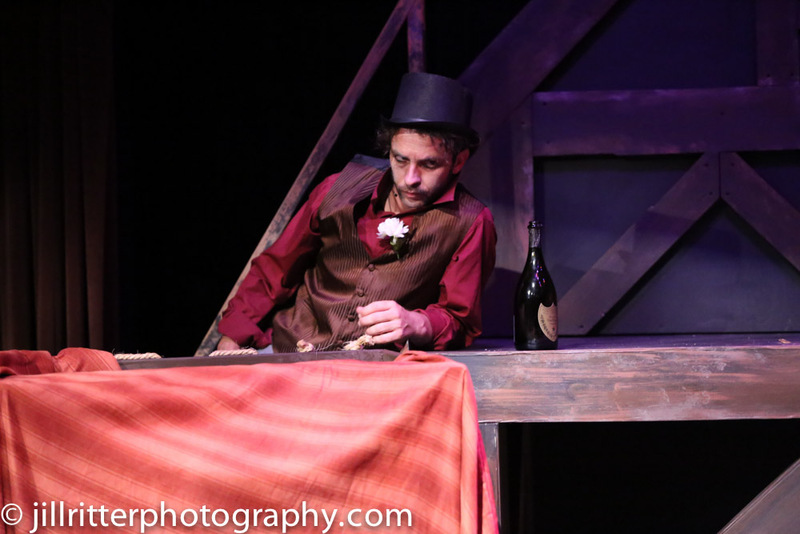 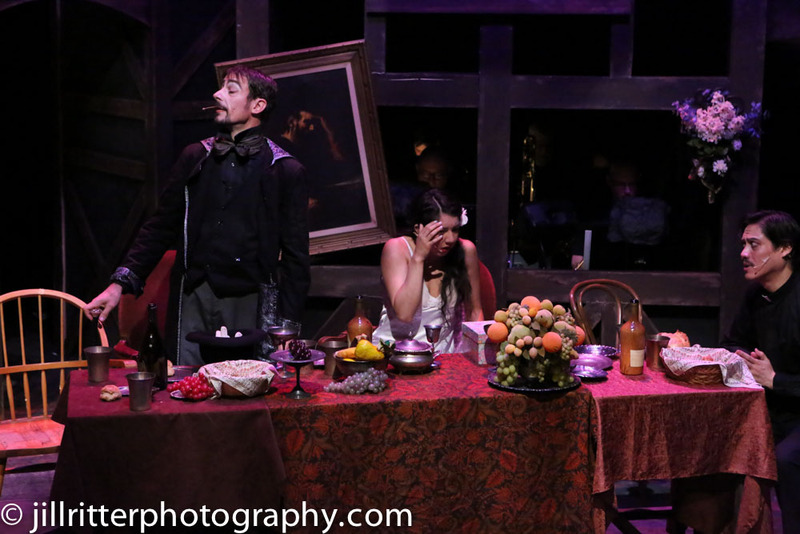 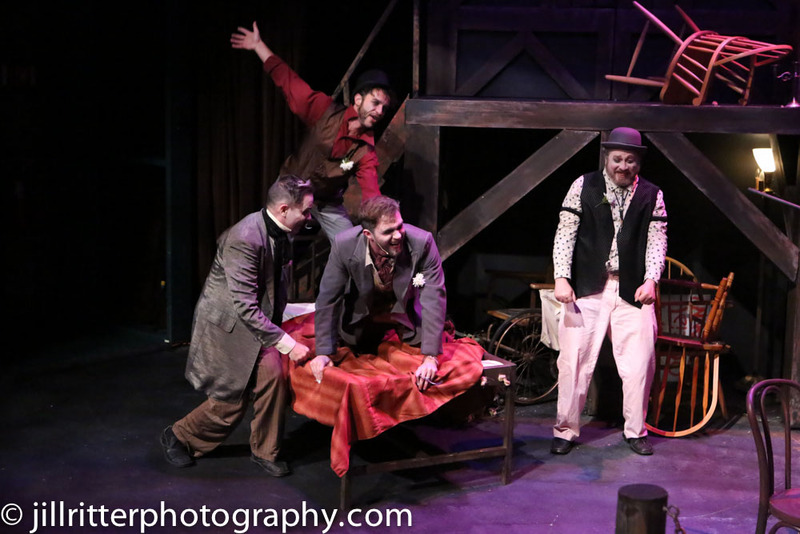 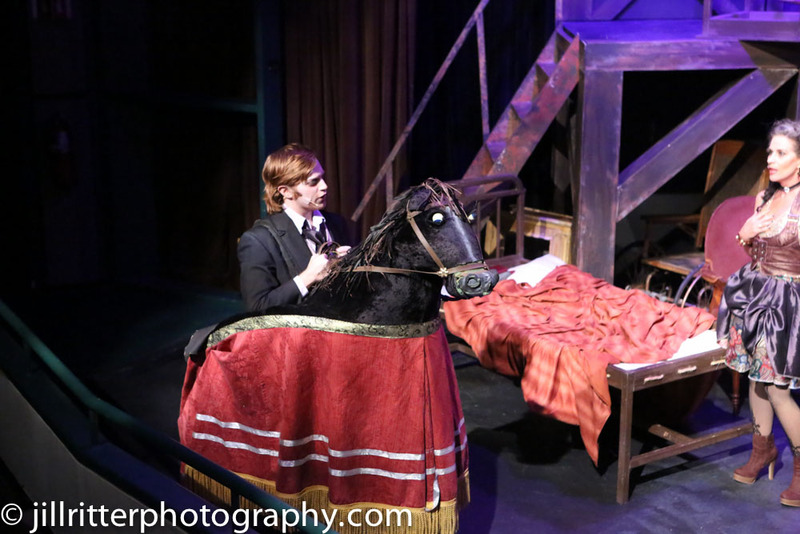 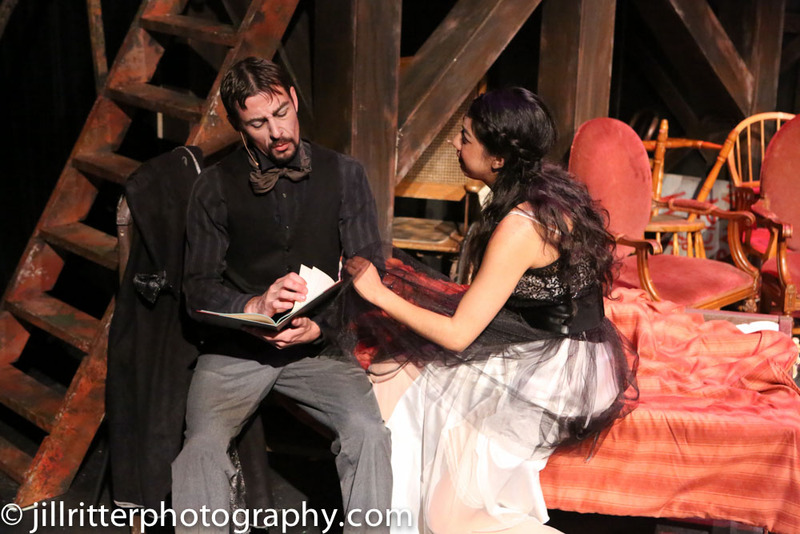 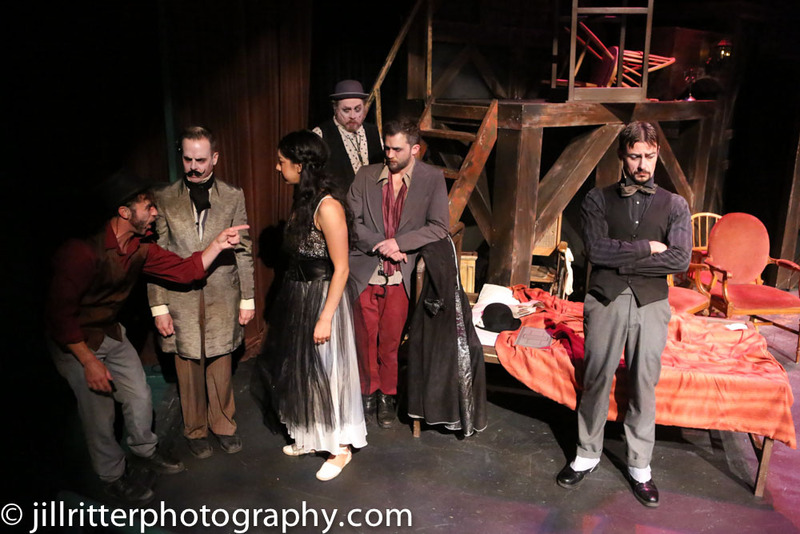 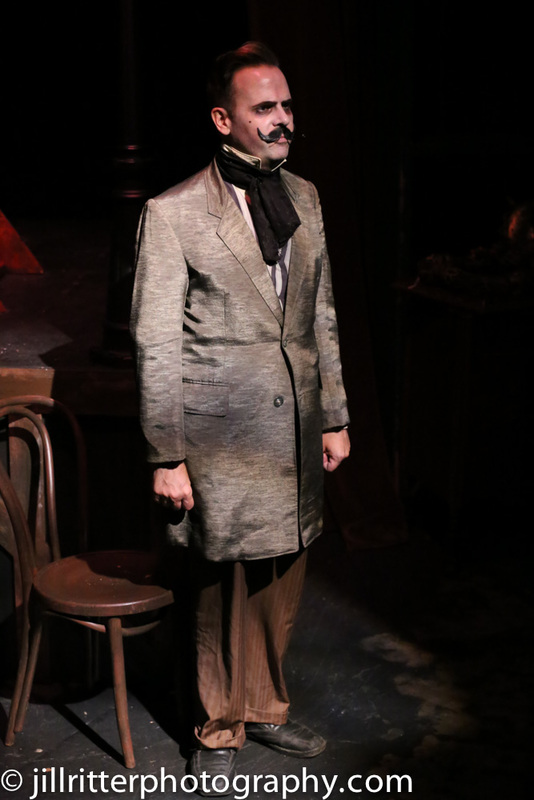 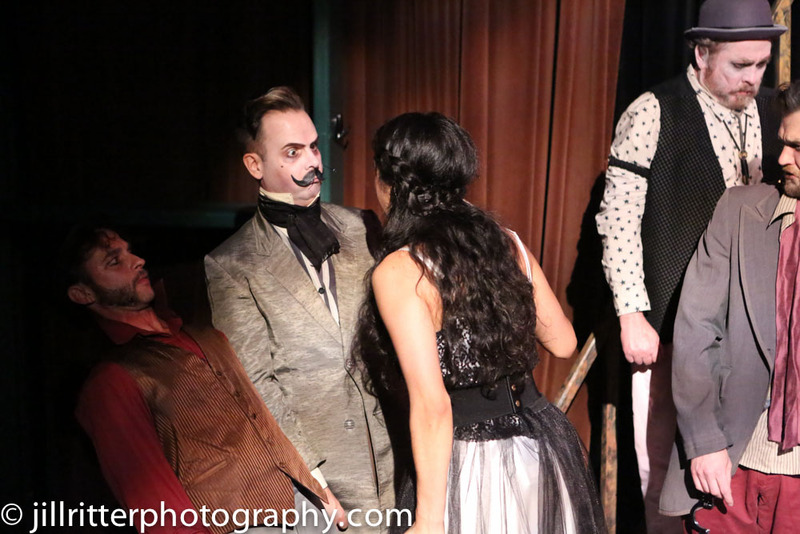 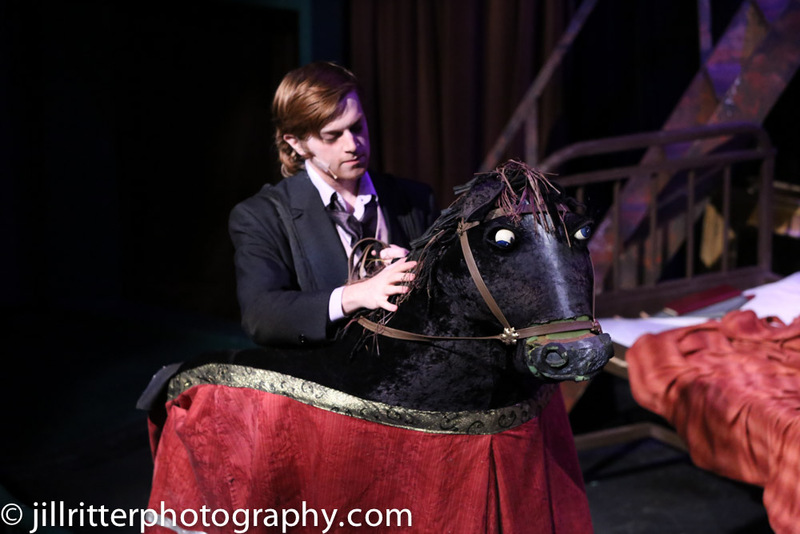 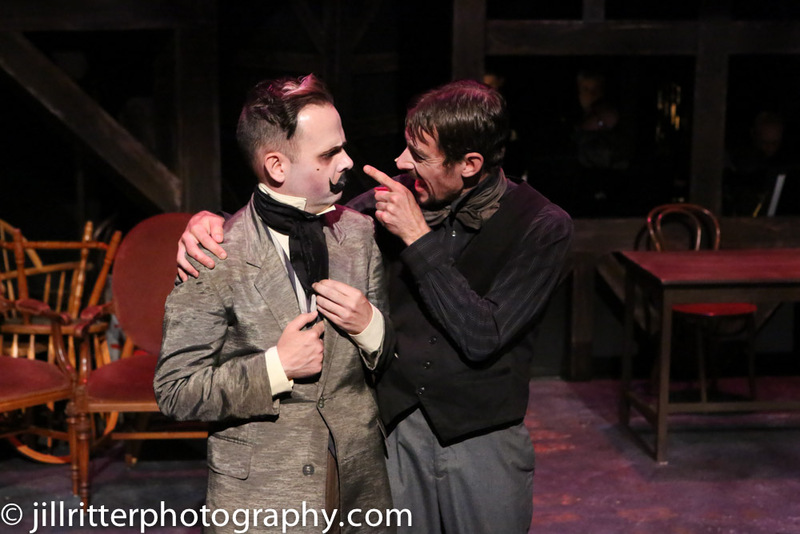 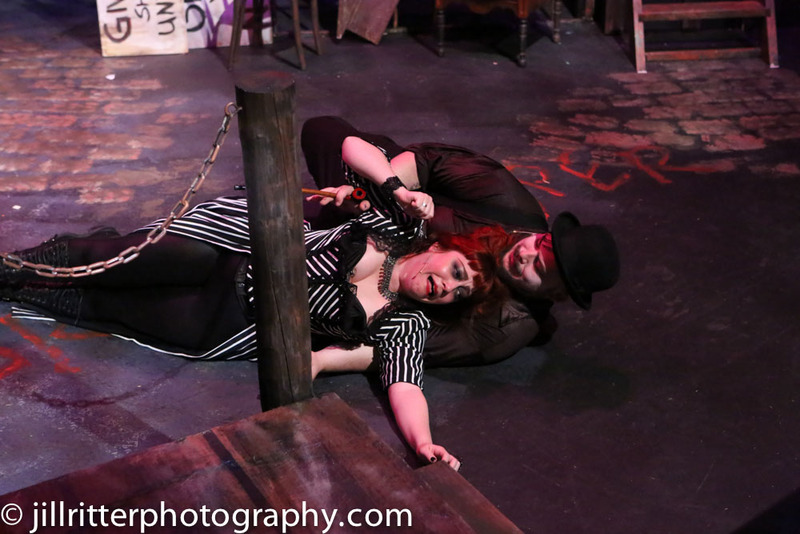 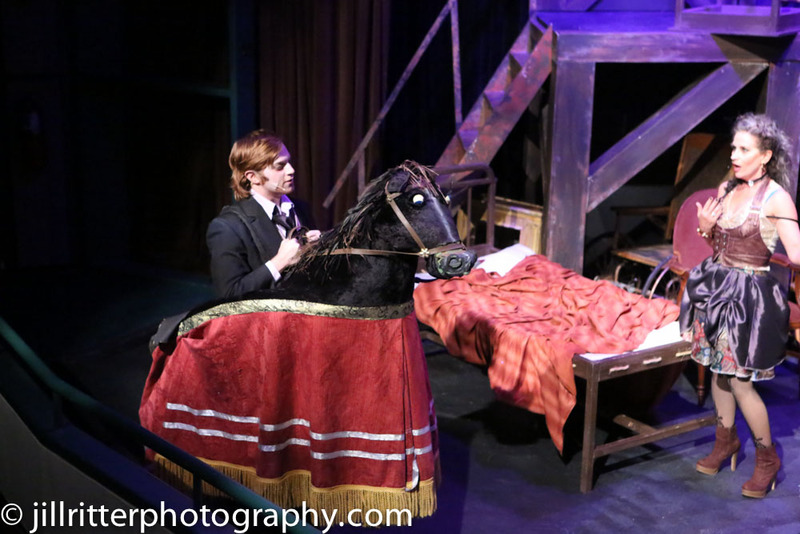 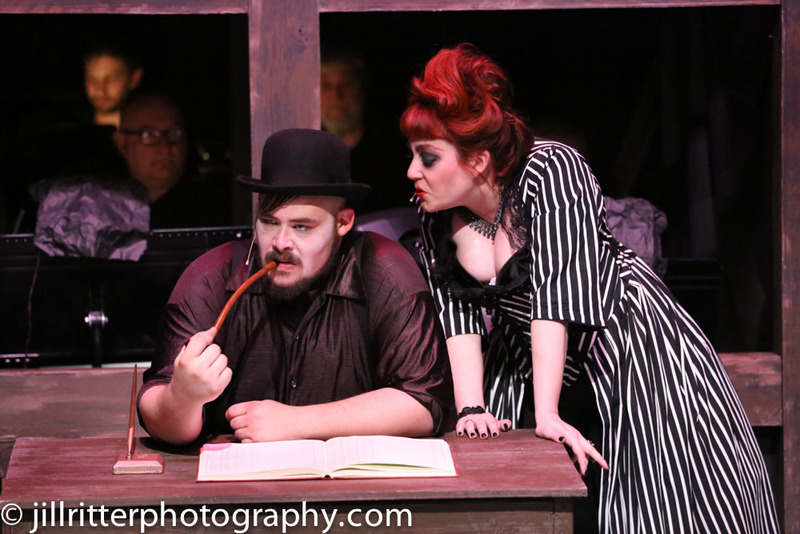 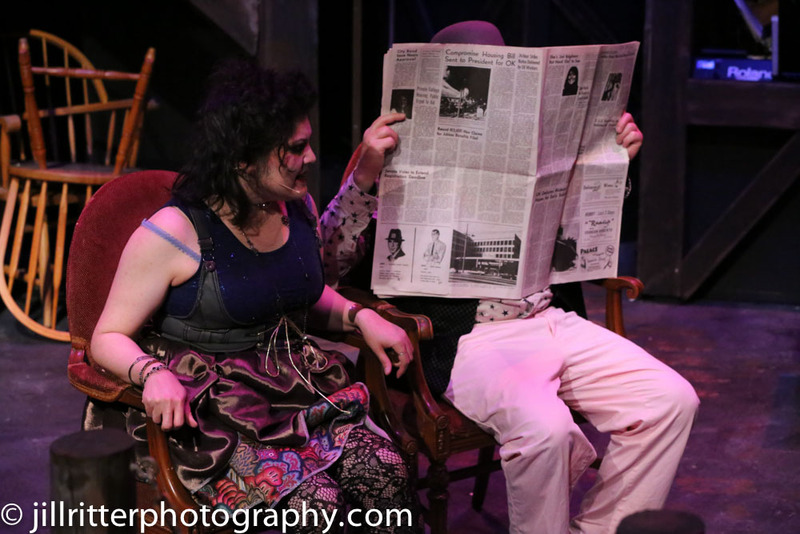 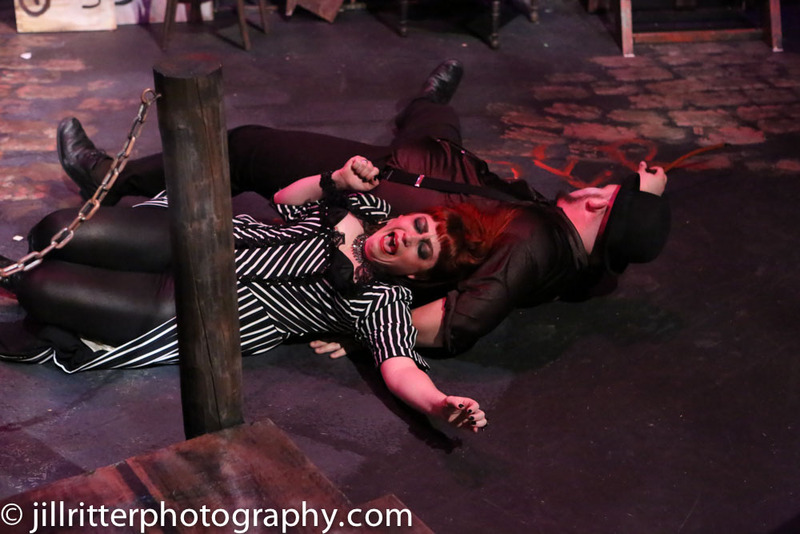 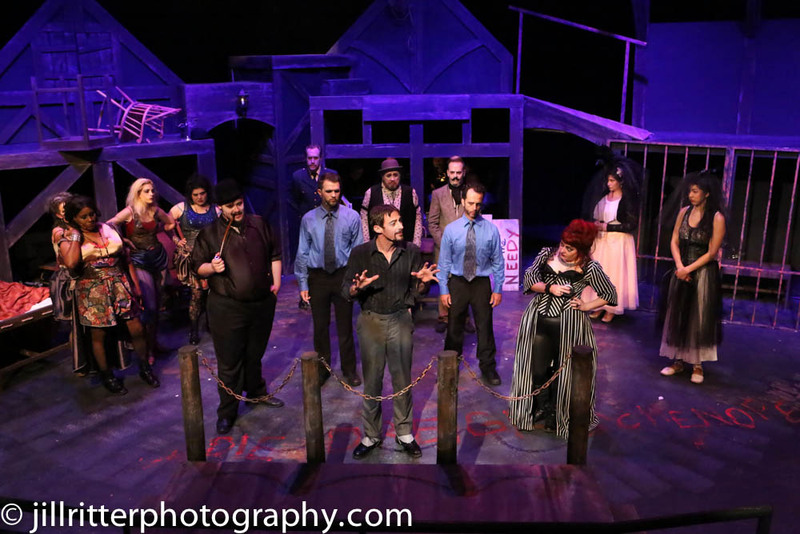 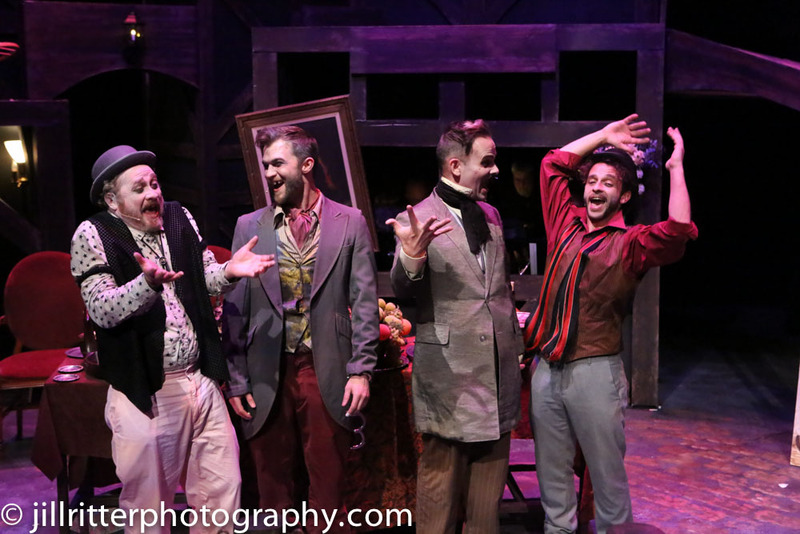 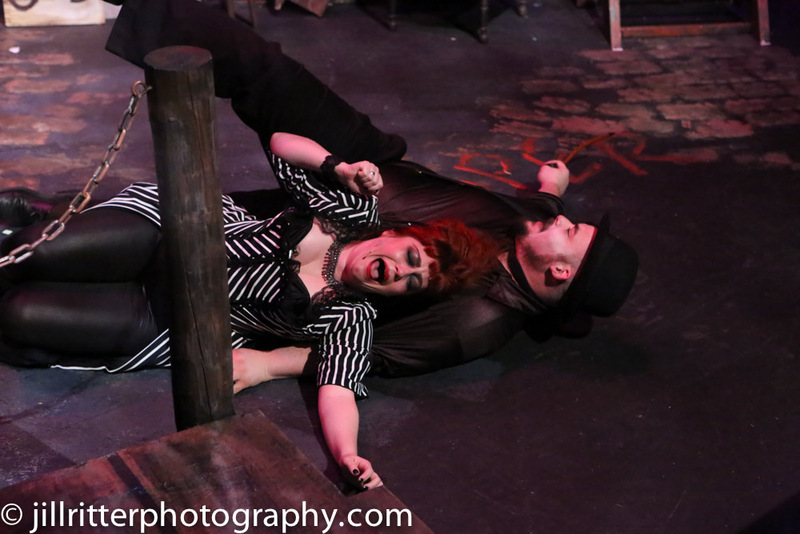 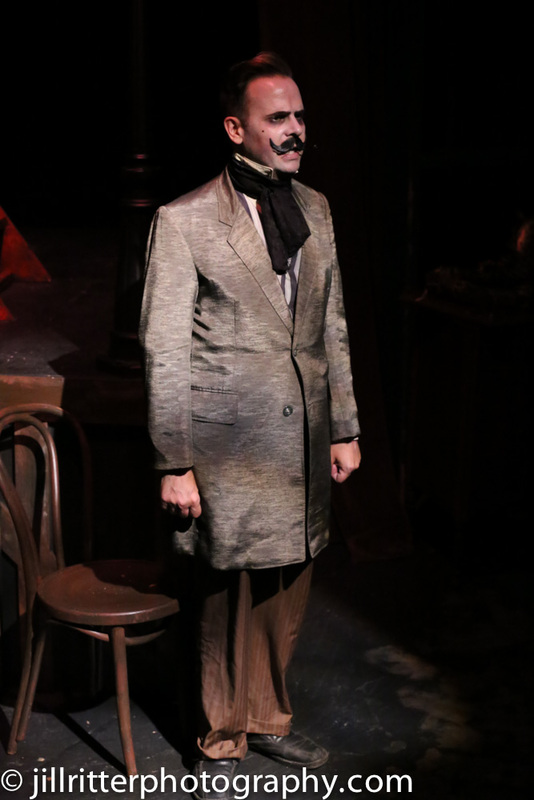 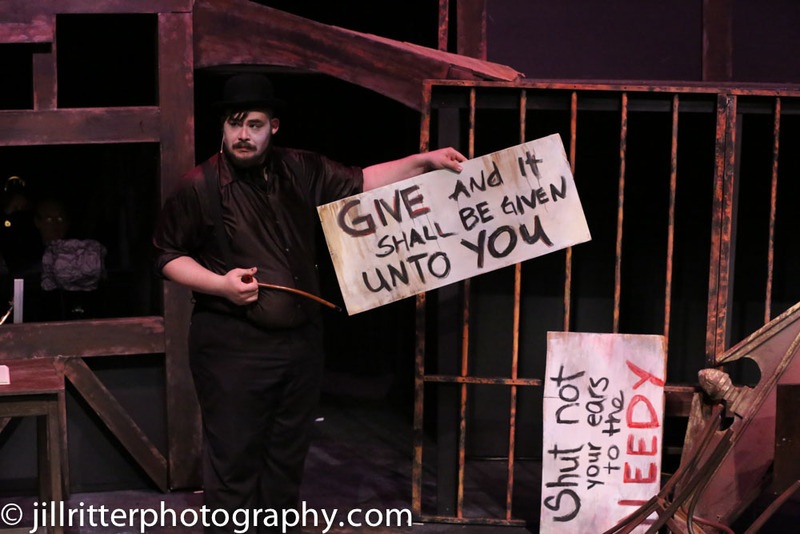 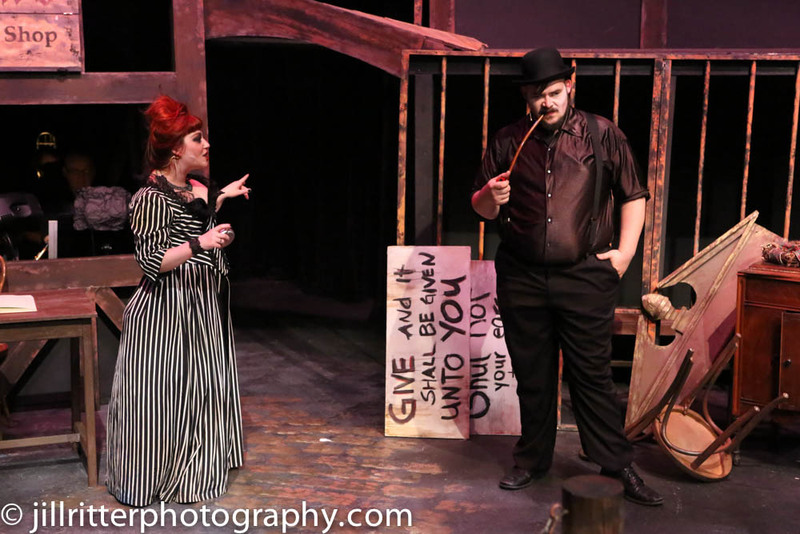 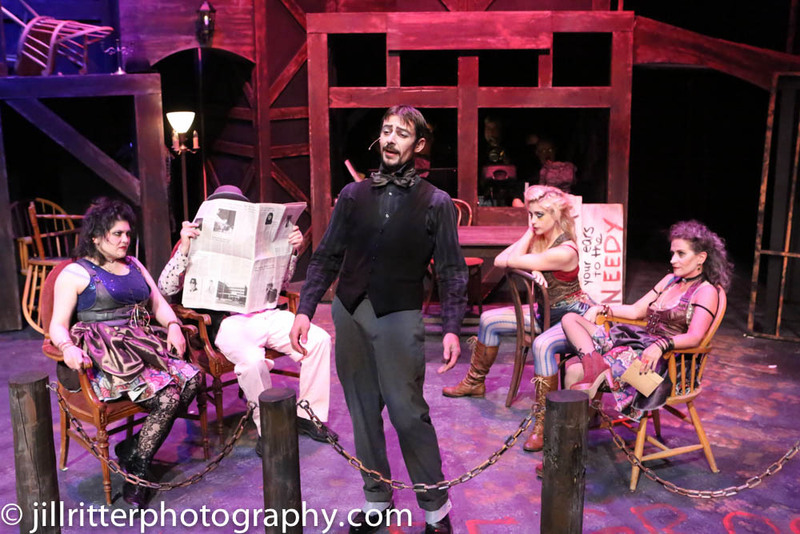 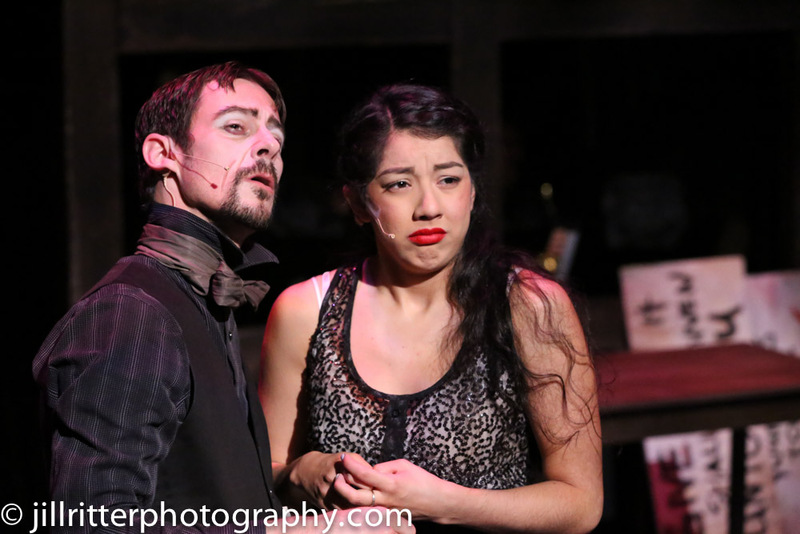 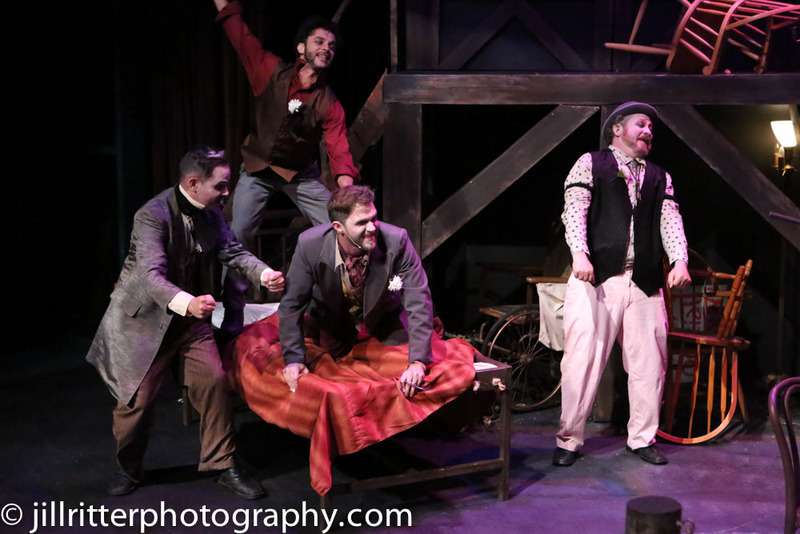 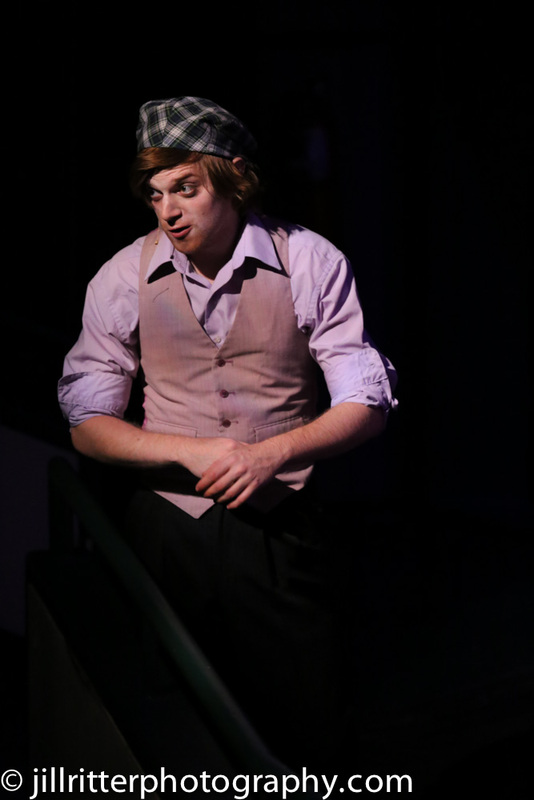 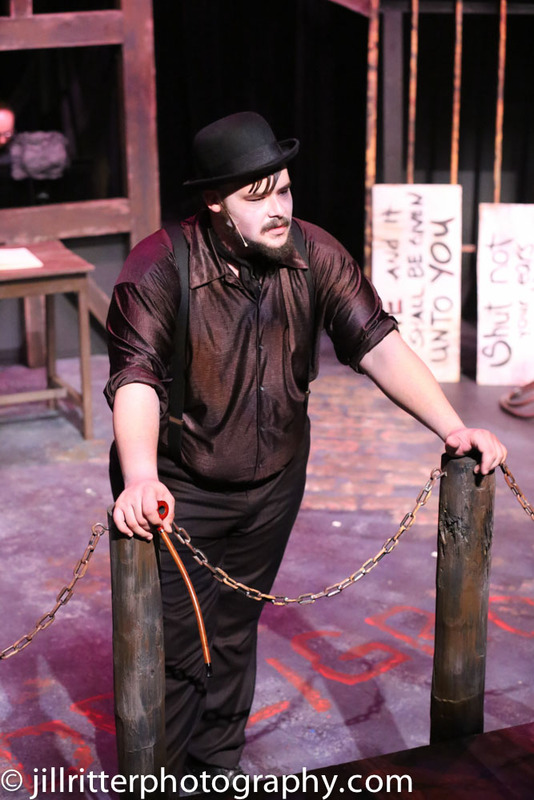 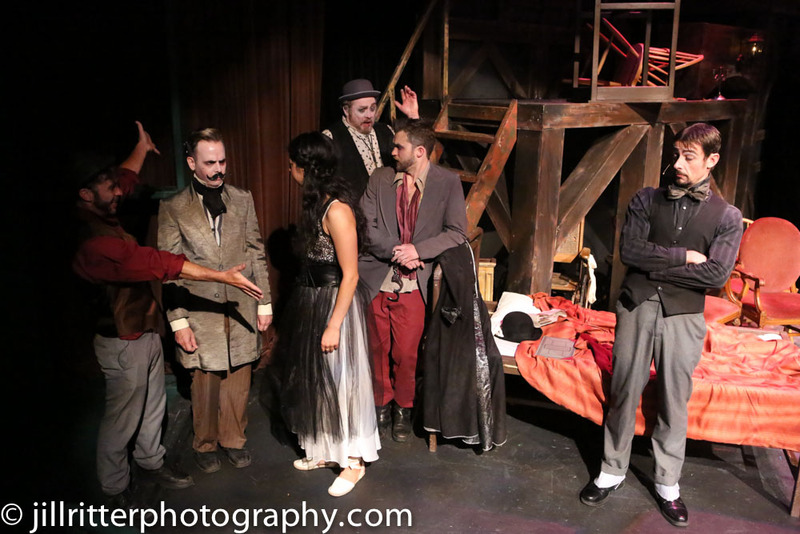 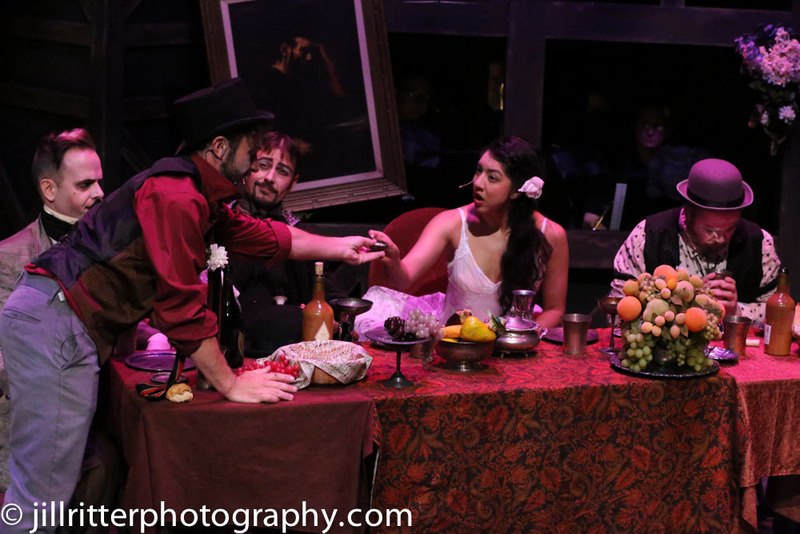 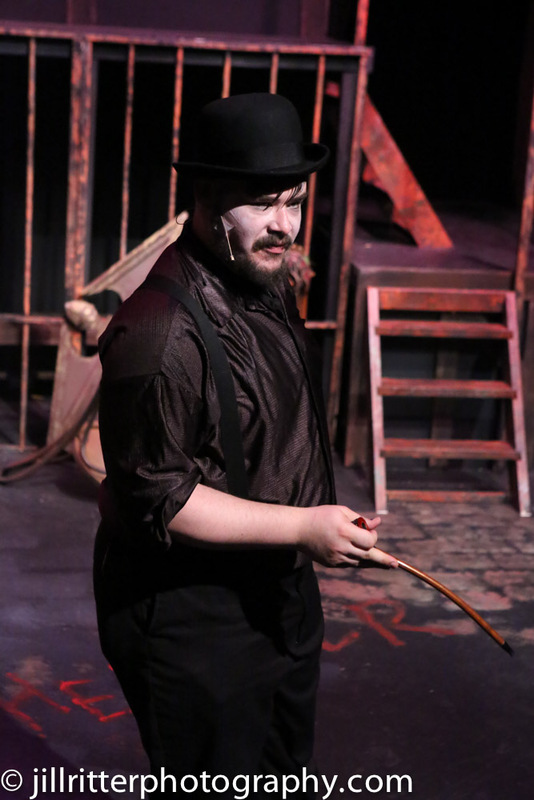 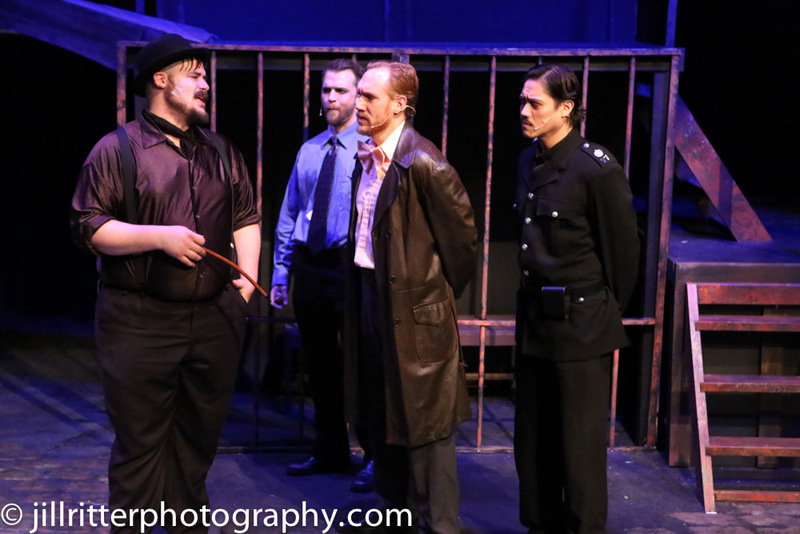 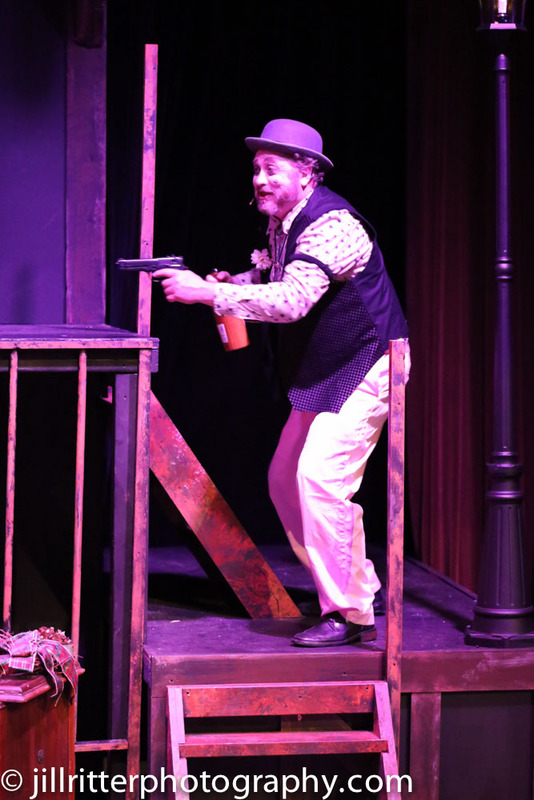 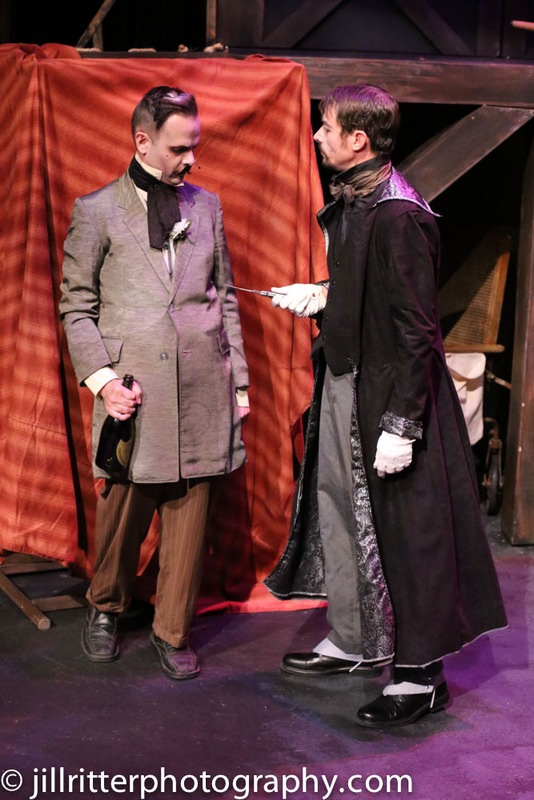 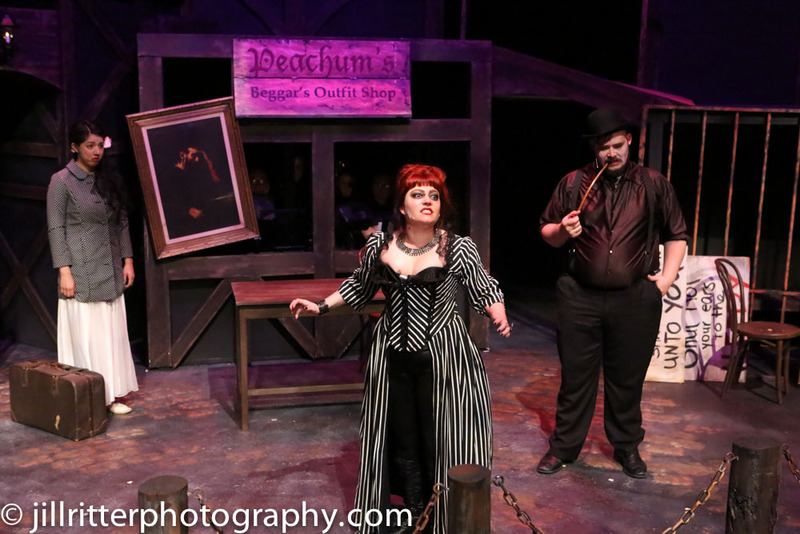 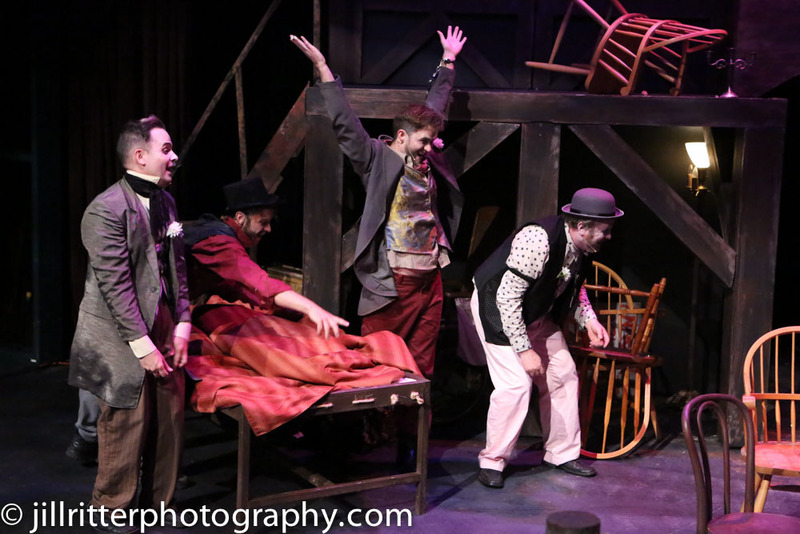 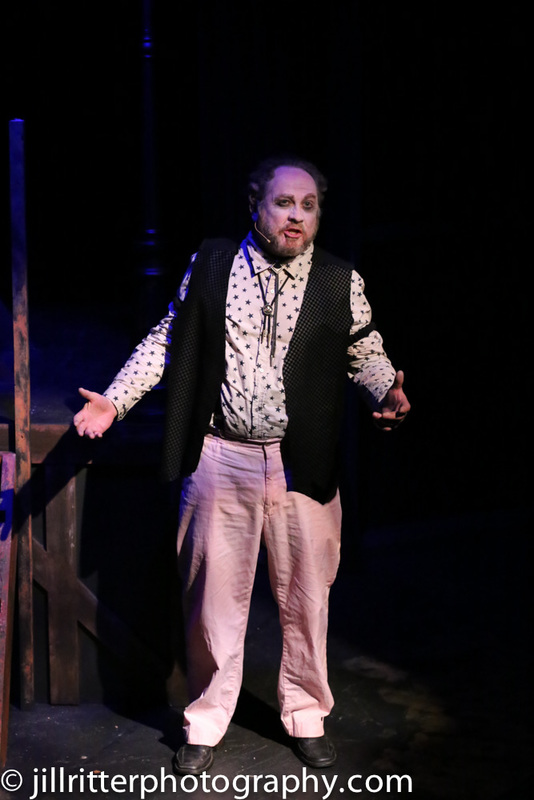 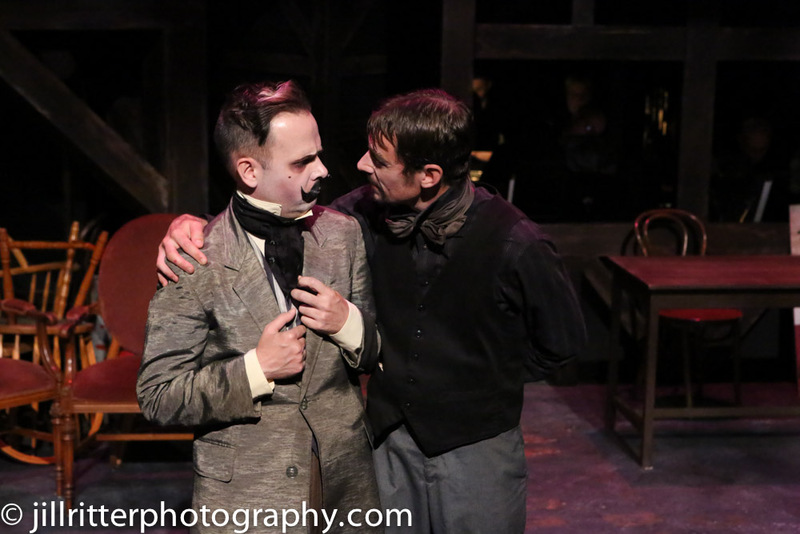 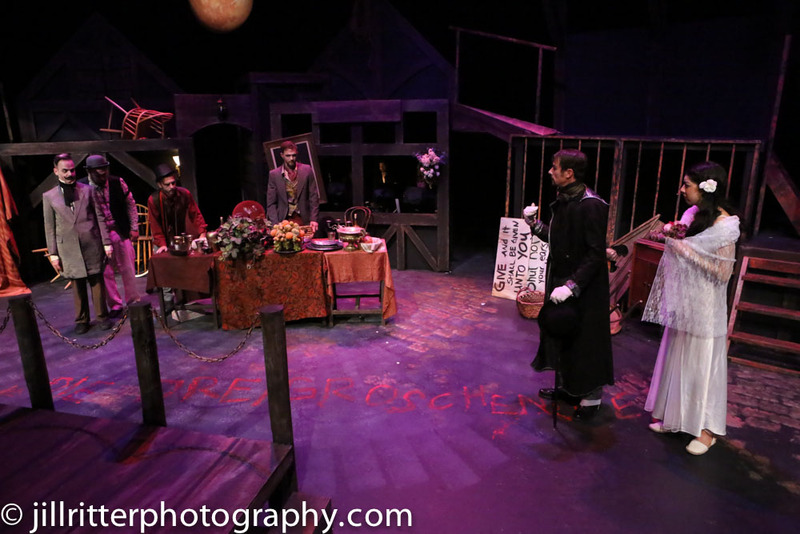 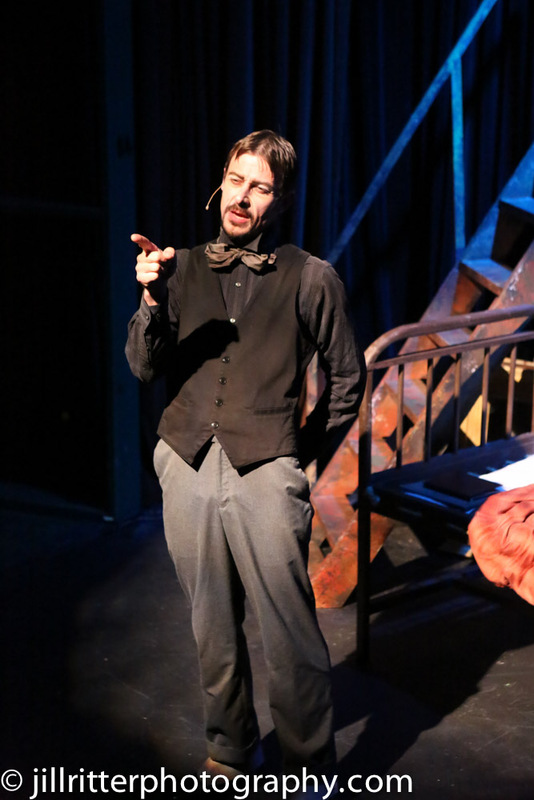 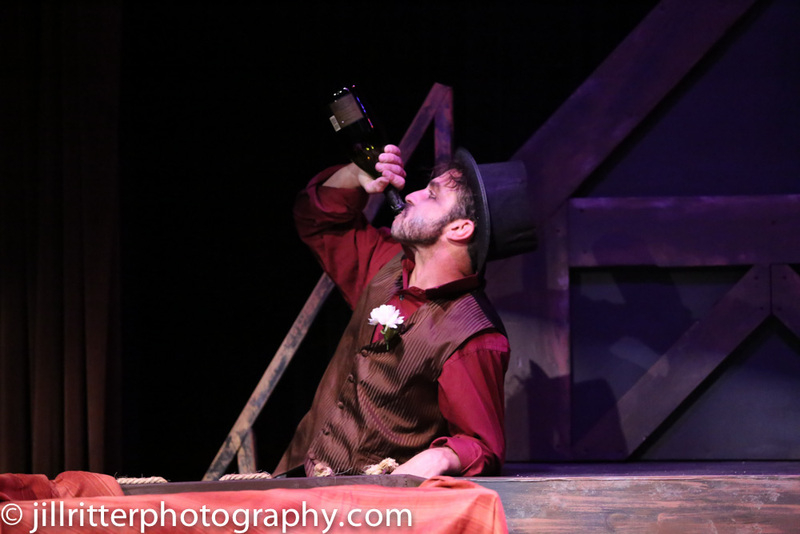 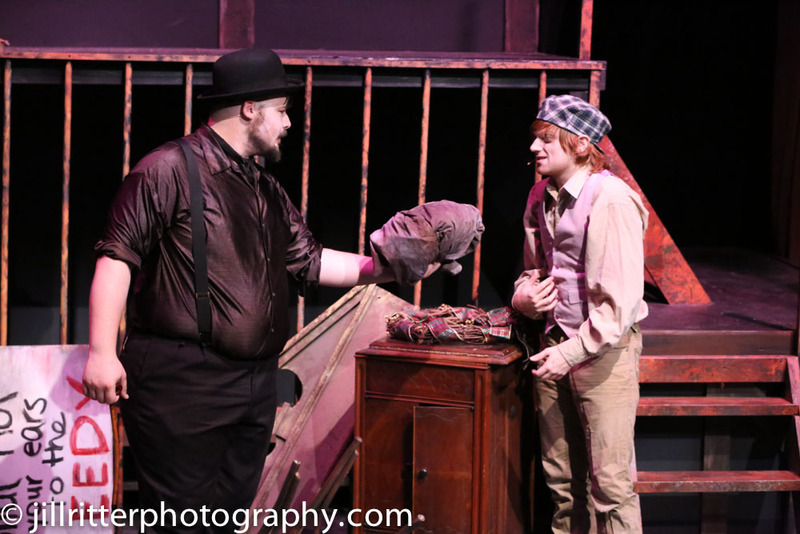 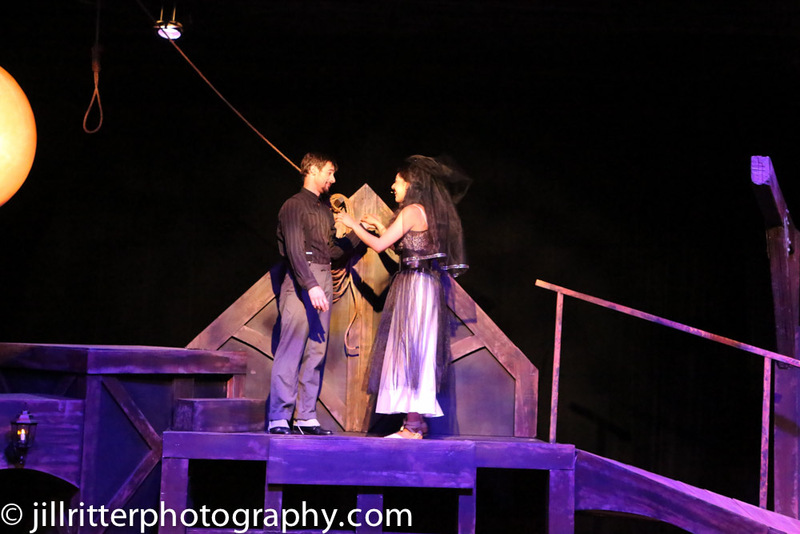 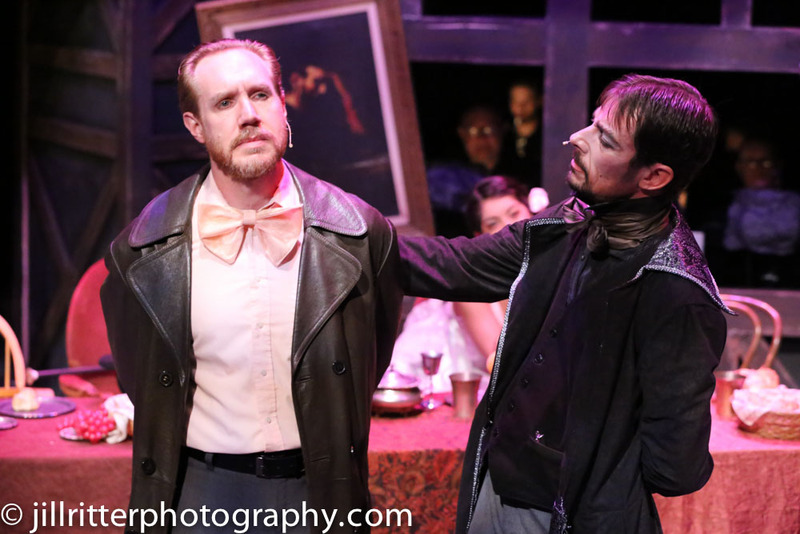 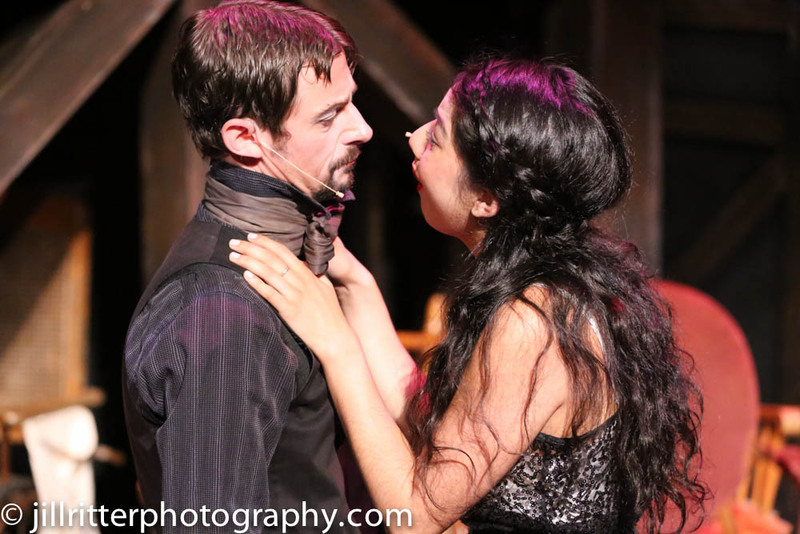 Another stand-out: Luke Steingruby as Bob the Saw, one of Macheath’s imbecilic gang members. 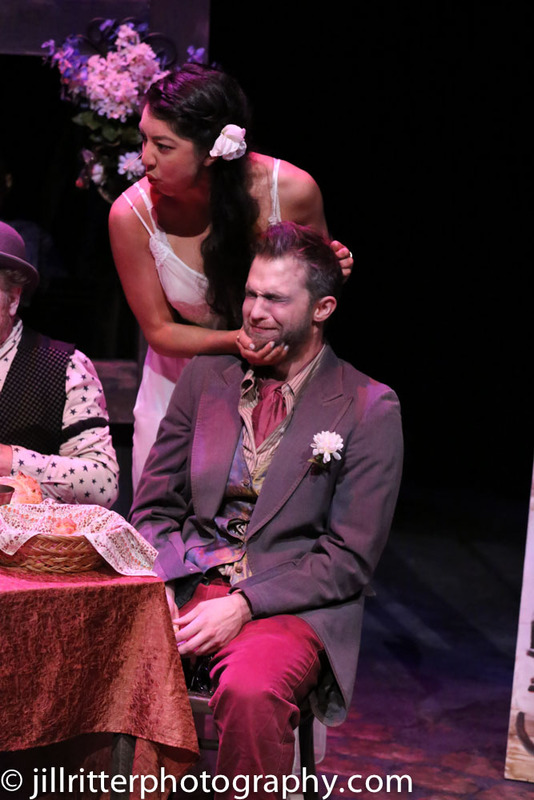 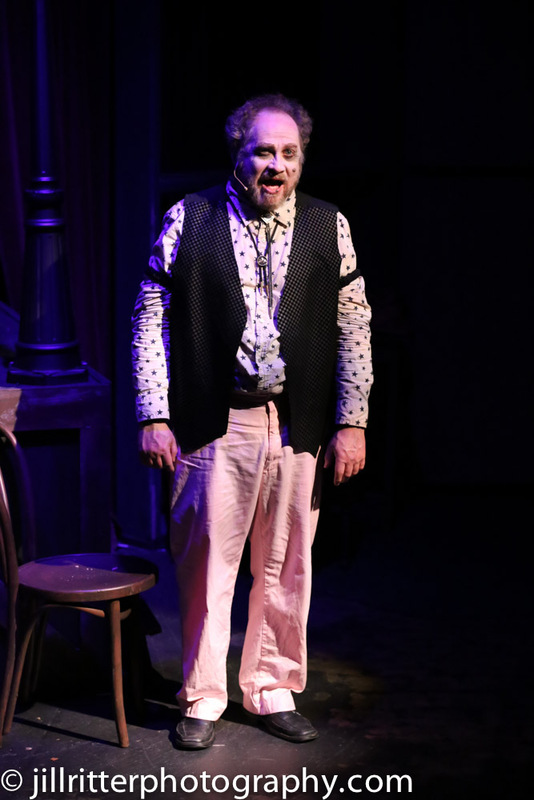 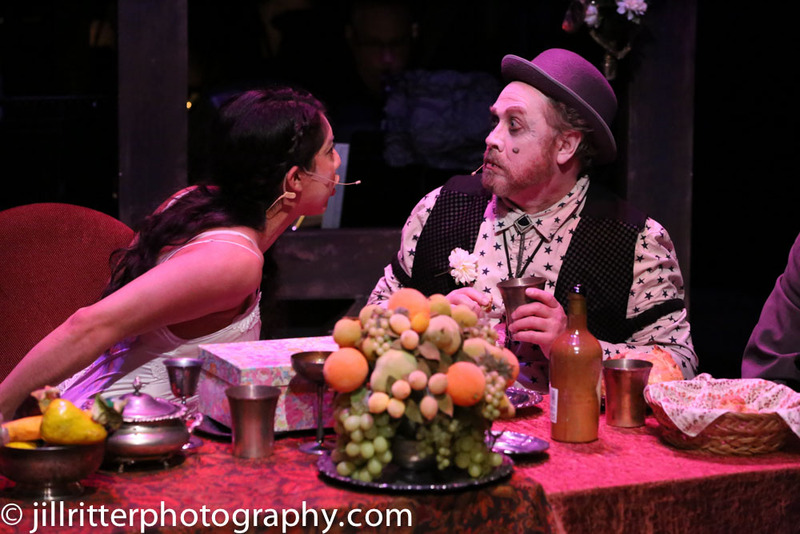 Steingruby’s facial expressions and mumblings (particularly with mouthfuls of food) garnered big laughs from the audience; his comedic timing is impressive. 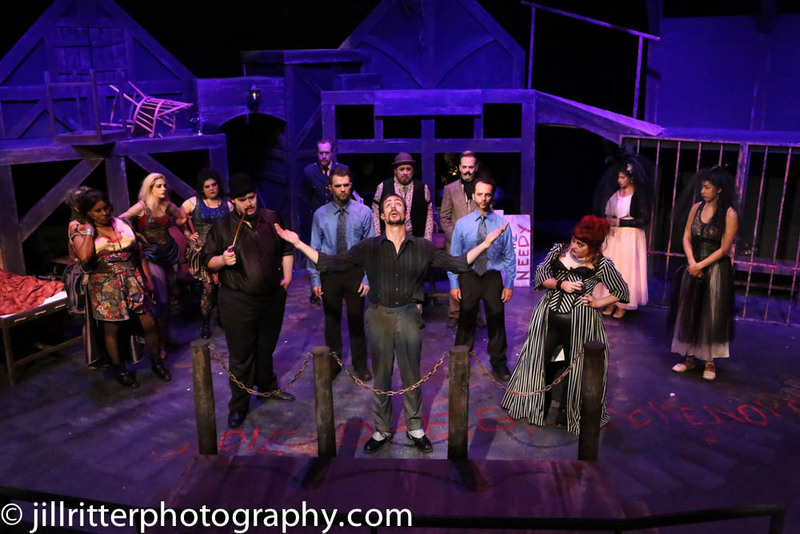 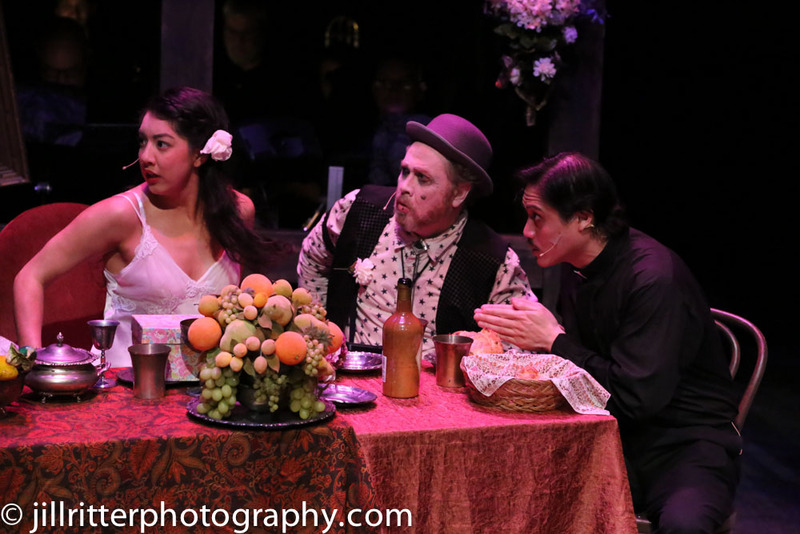 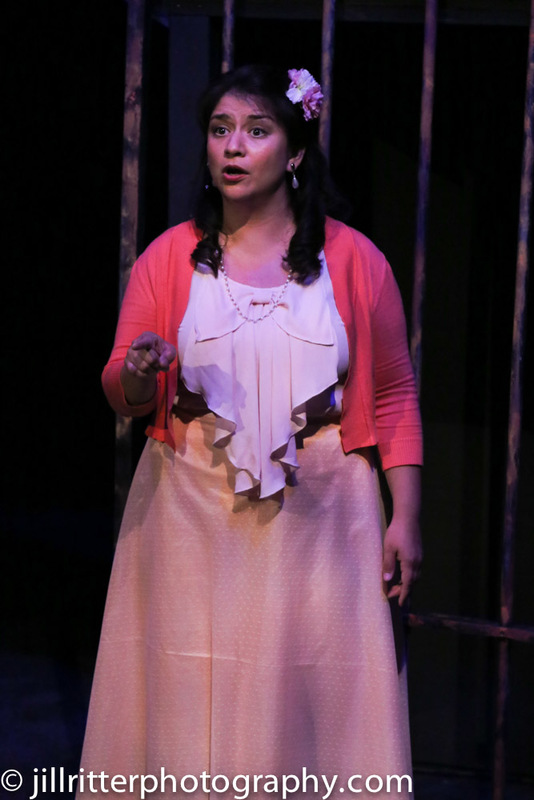 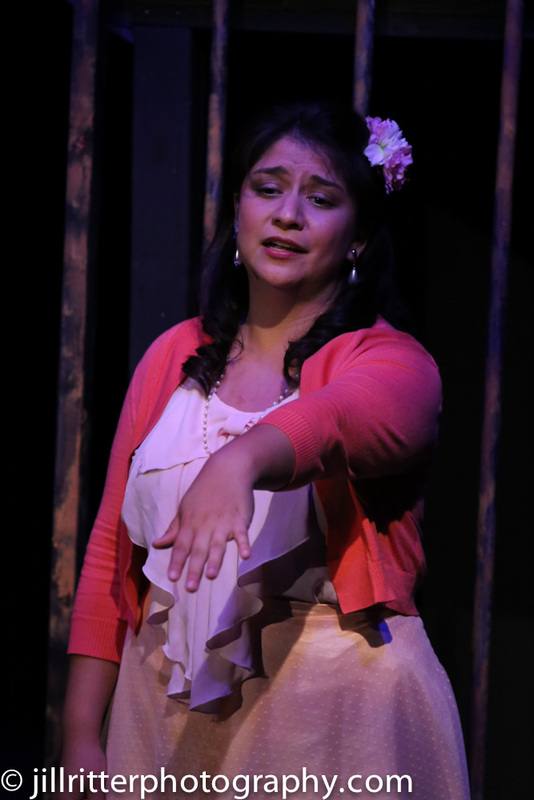 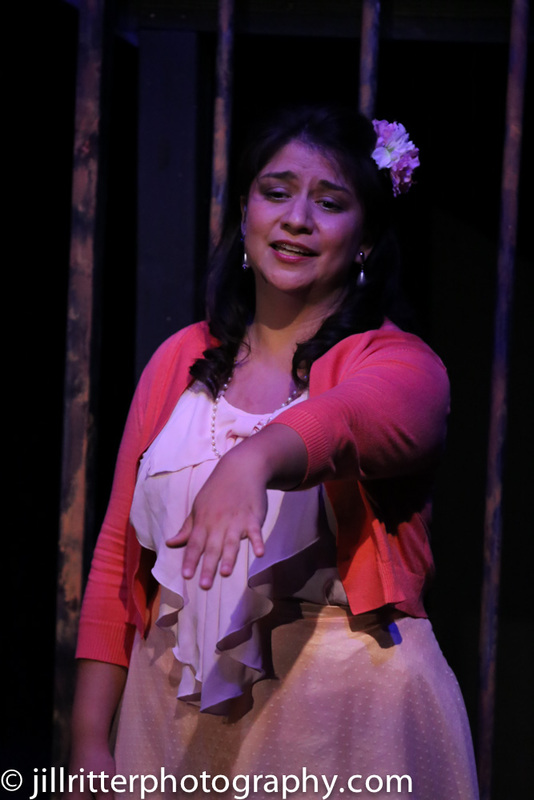 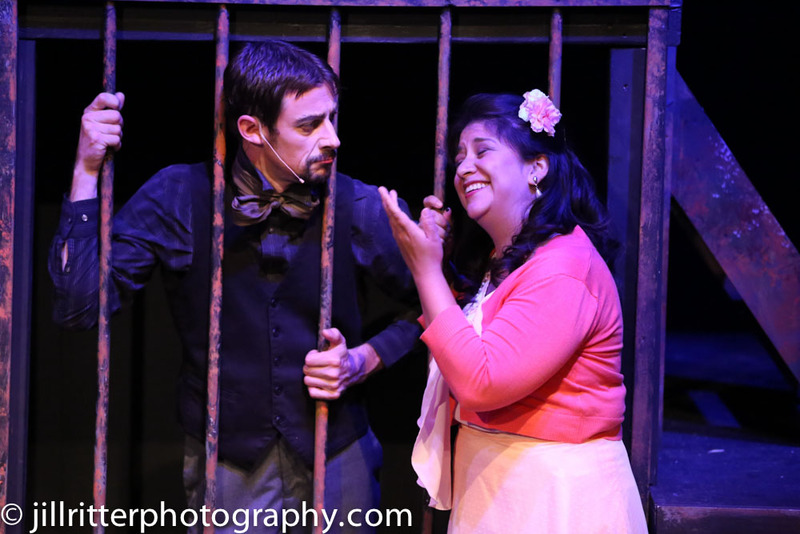 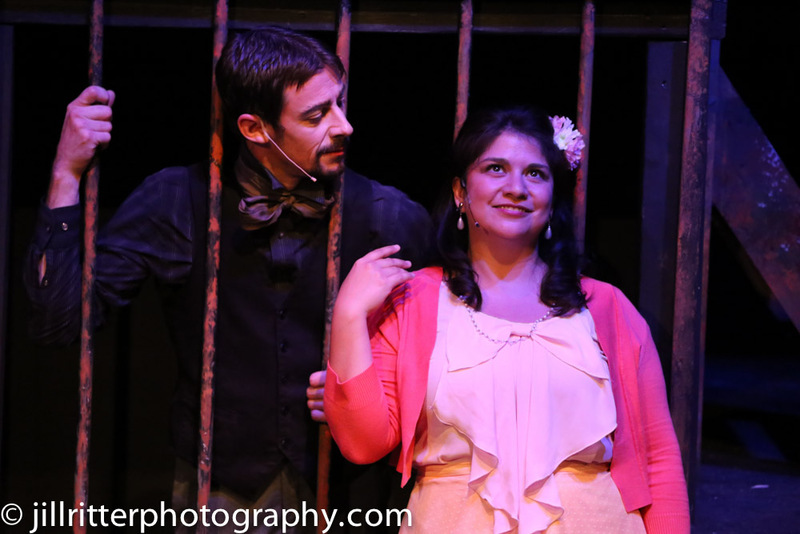 The cast is rounded out with strong performances from Reynaldo Arceno, Brian Claussen, Todd Micali, Kimi Short, Margeau Steinau, Luke Steingruby, and Larissa White. 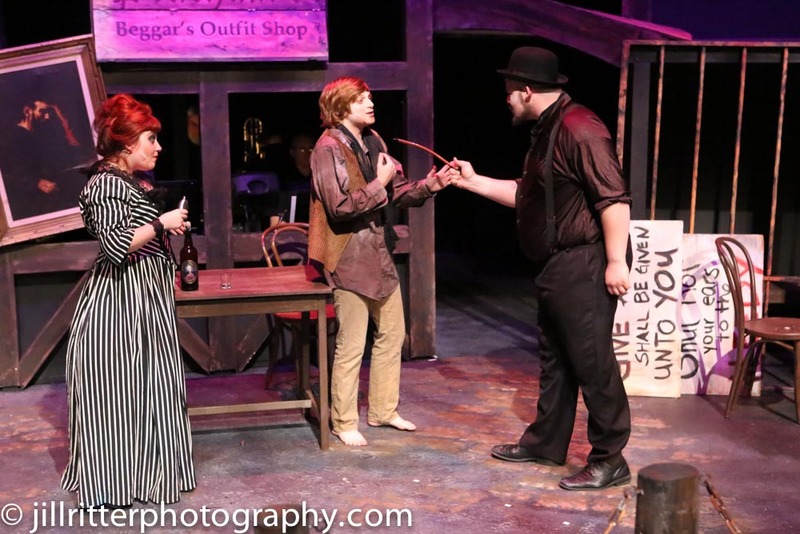 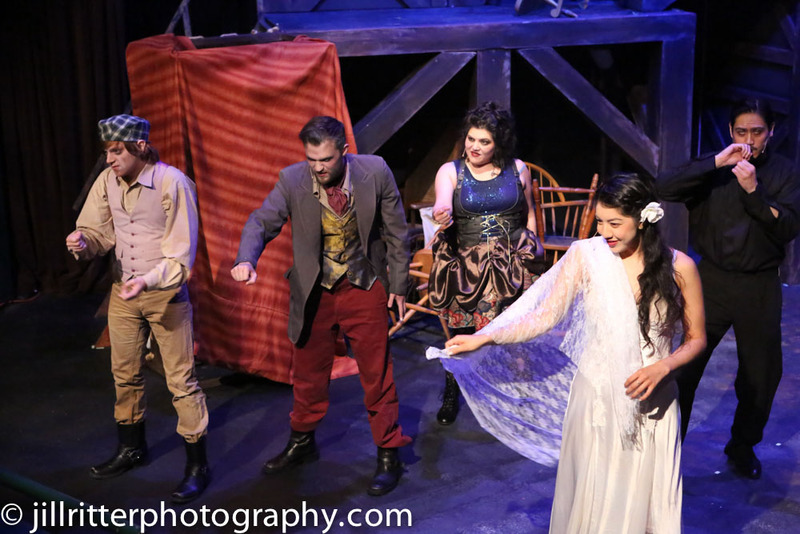 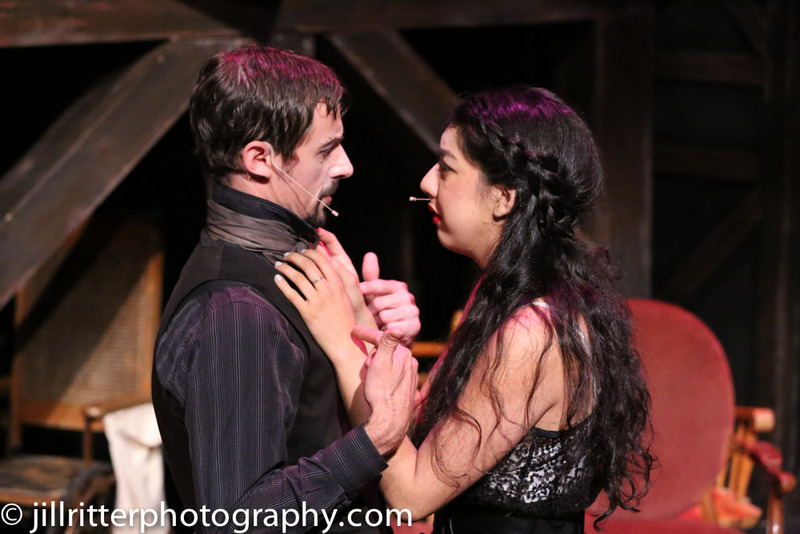 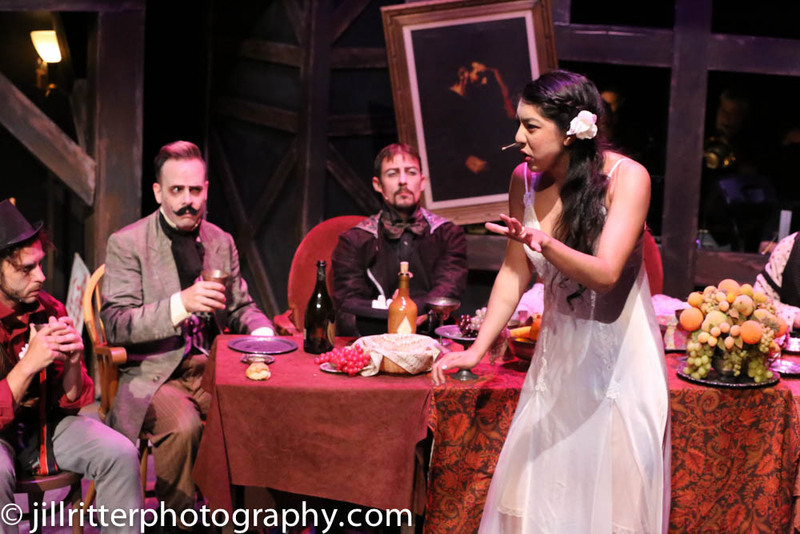 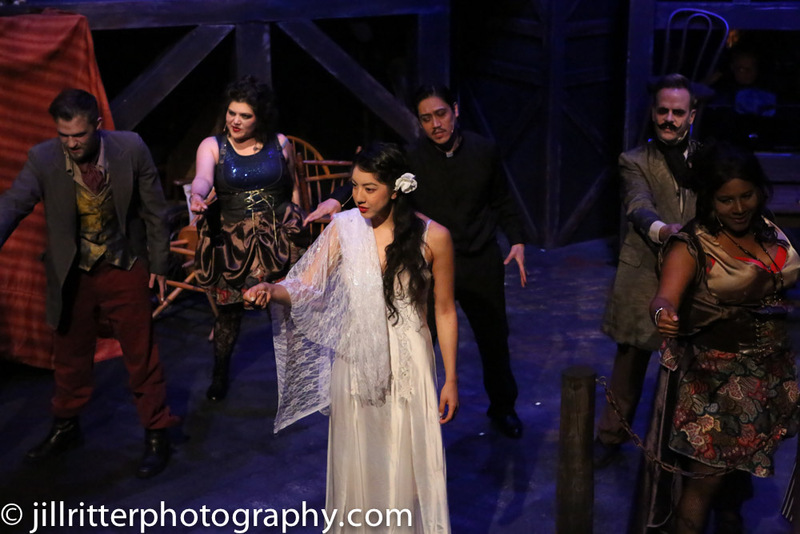 Each adds distinct quirks and qualities to their characters and the entire cast impressively harmonizes, uses dissonance, and flits through the shifting melodies.